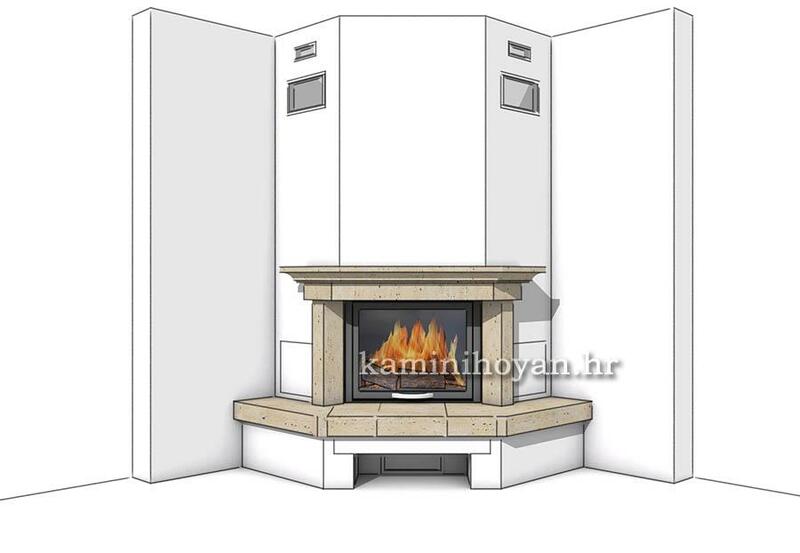 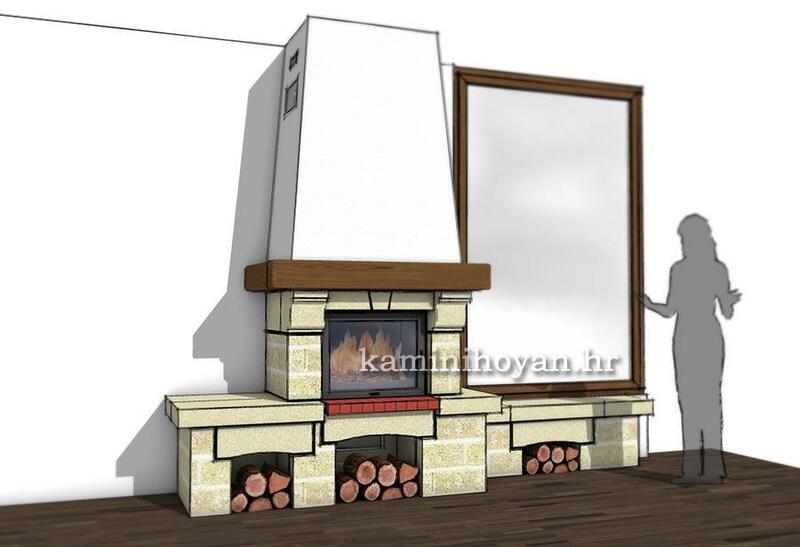 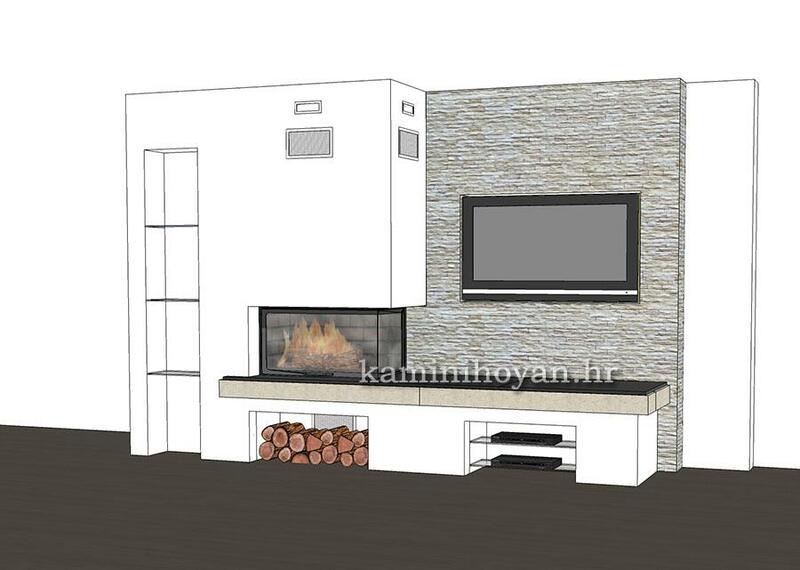 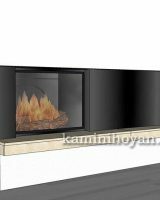 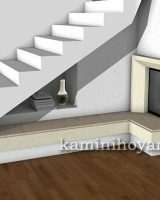 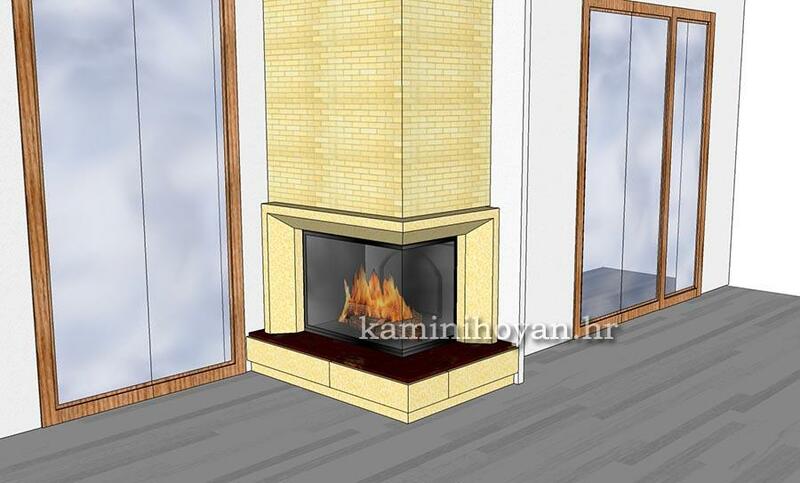 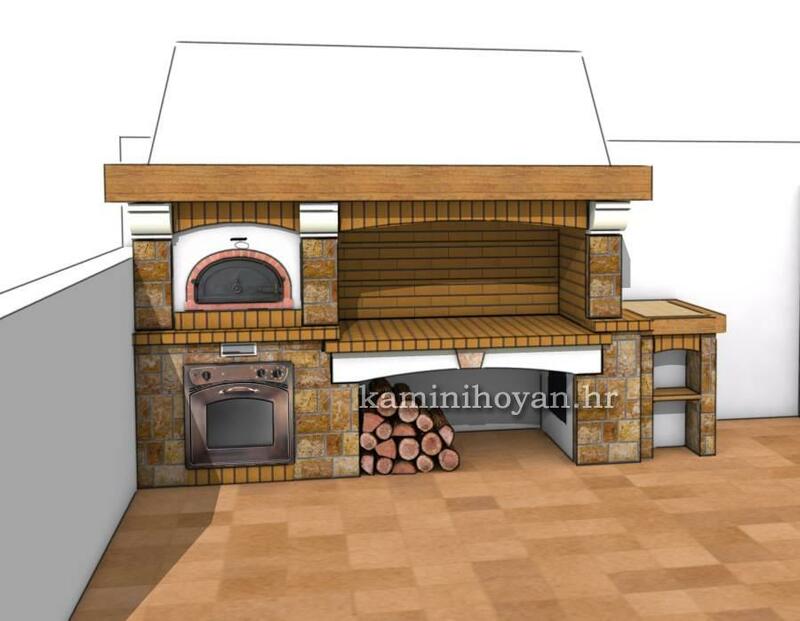 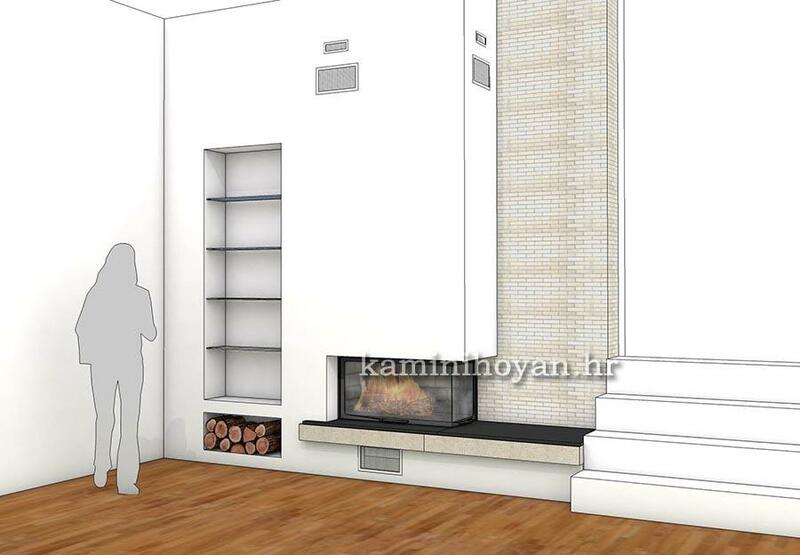 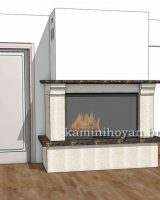 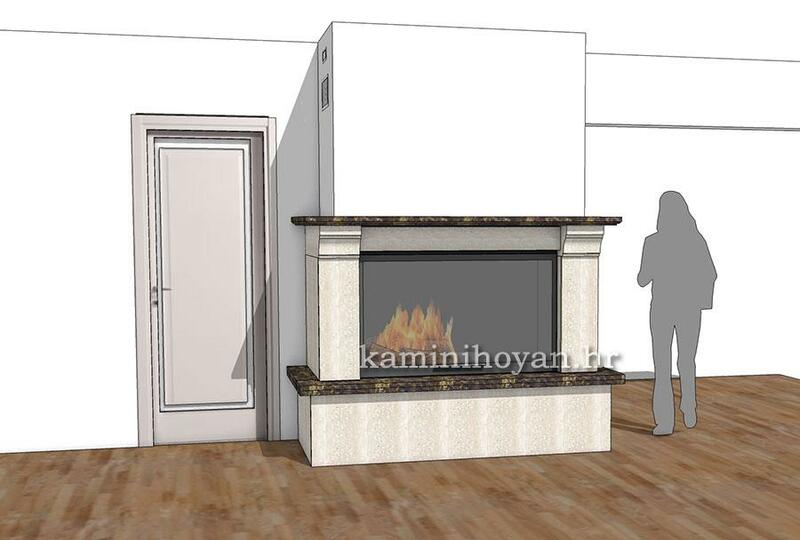 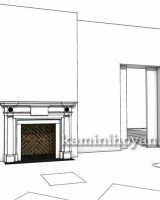 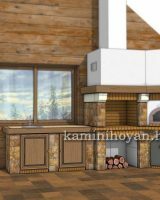 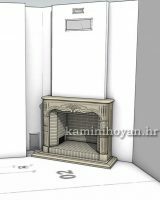 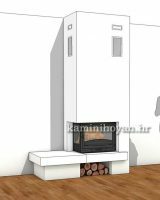 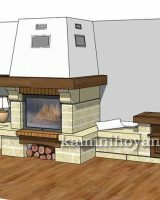 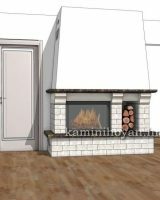 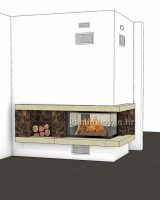 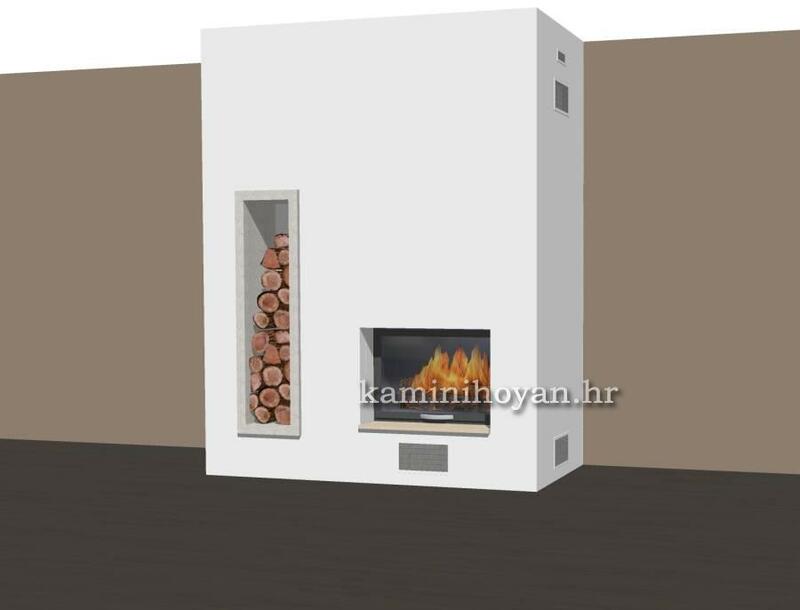 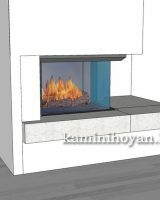 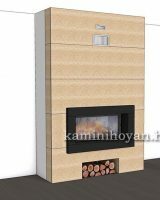 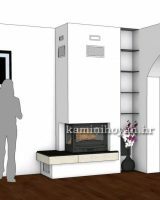 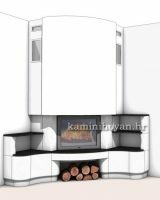 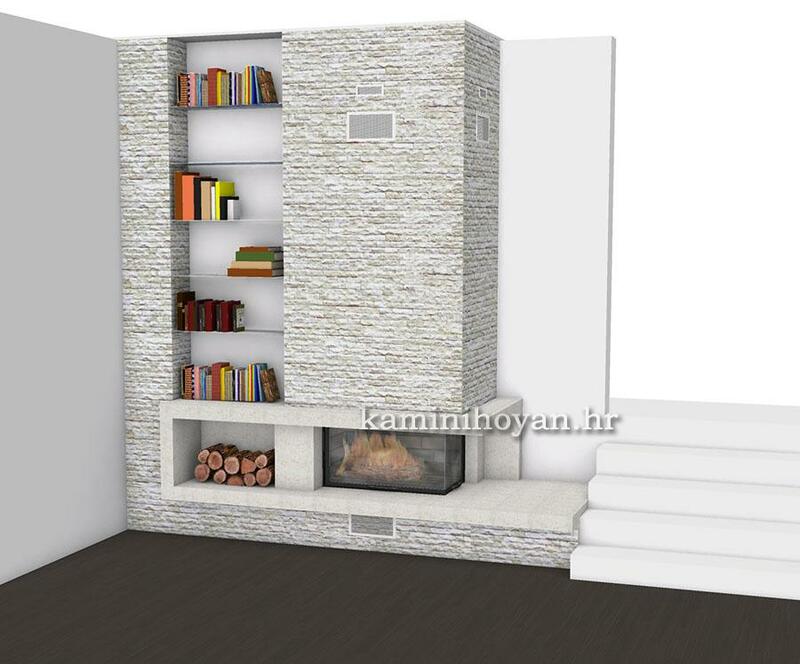 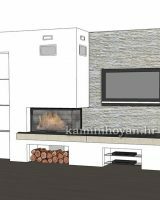 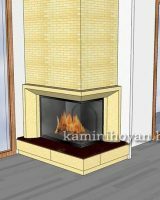 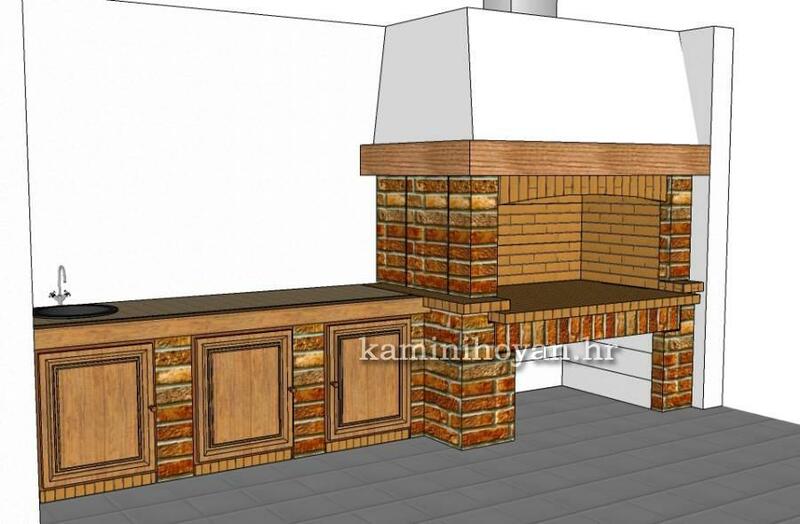 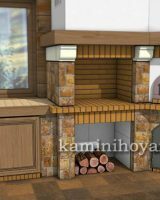 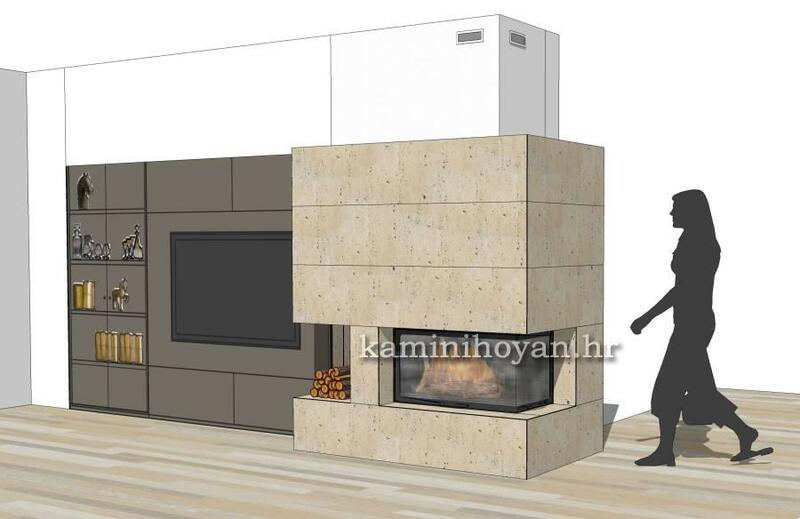 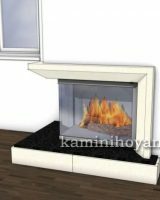 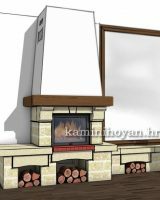 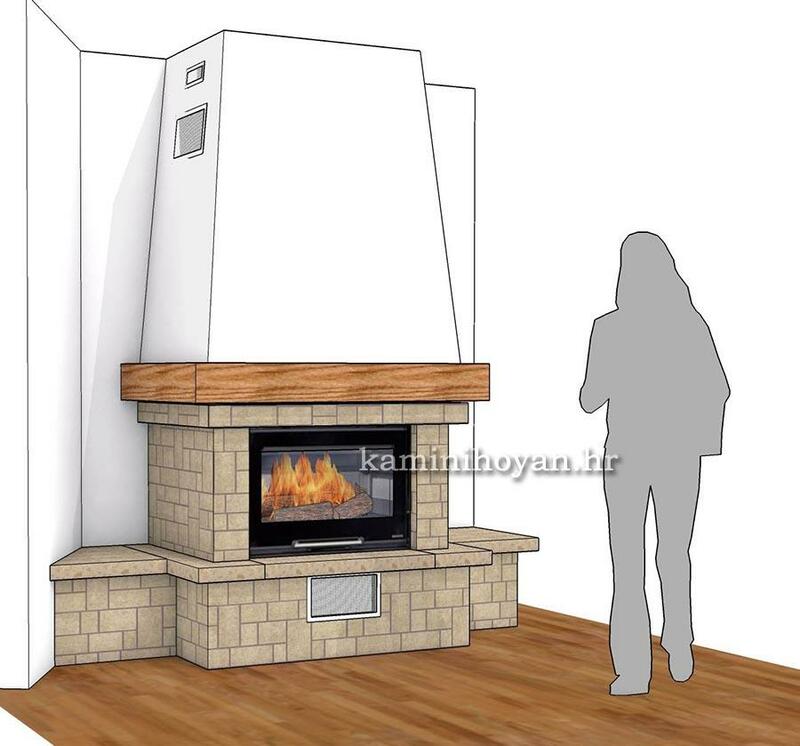 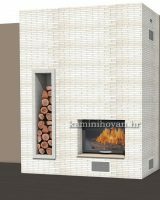 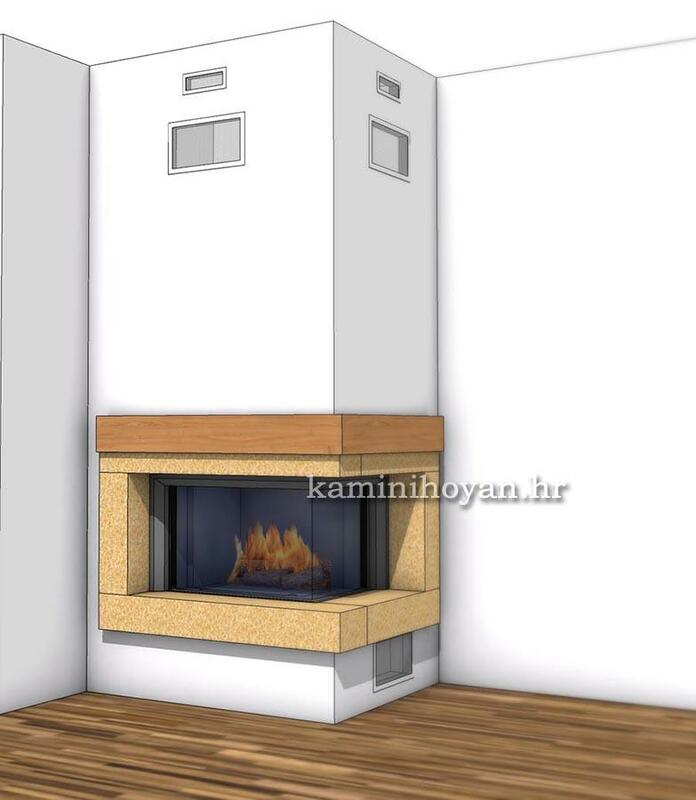 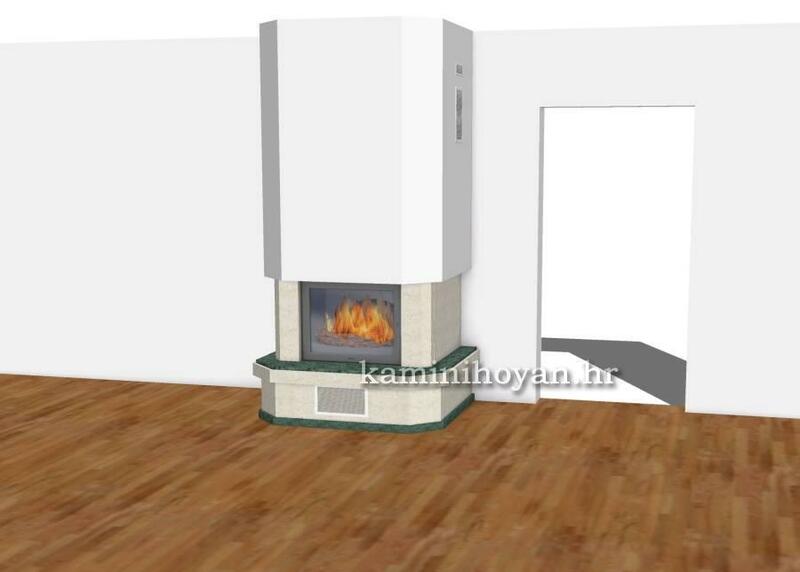 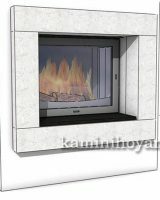 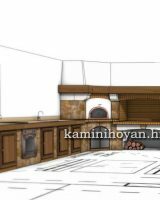 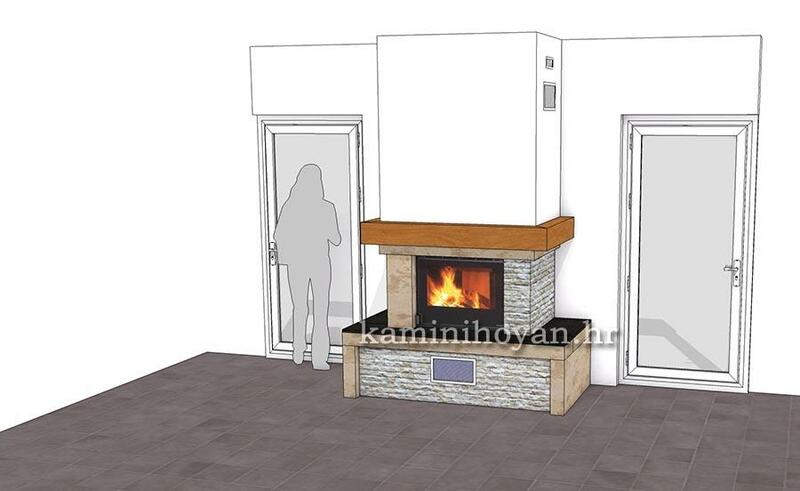 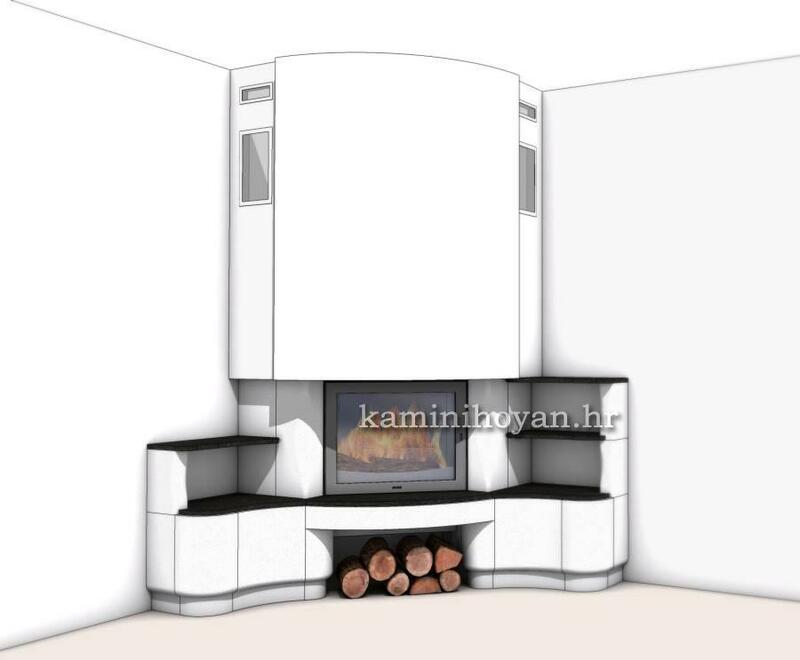 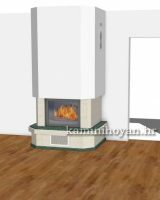 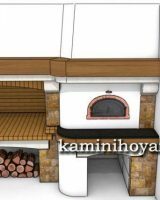 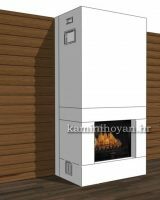 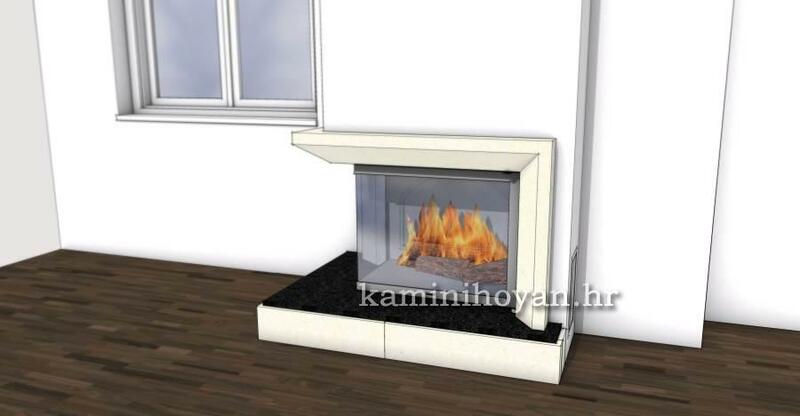 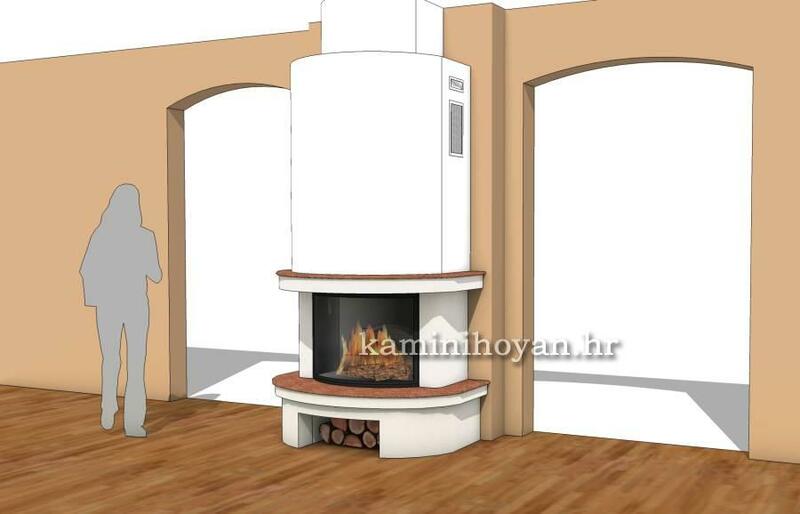 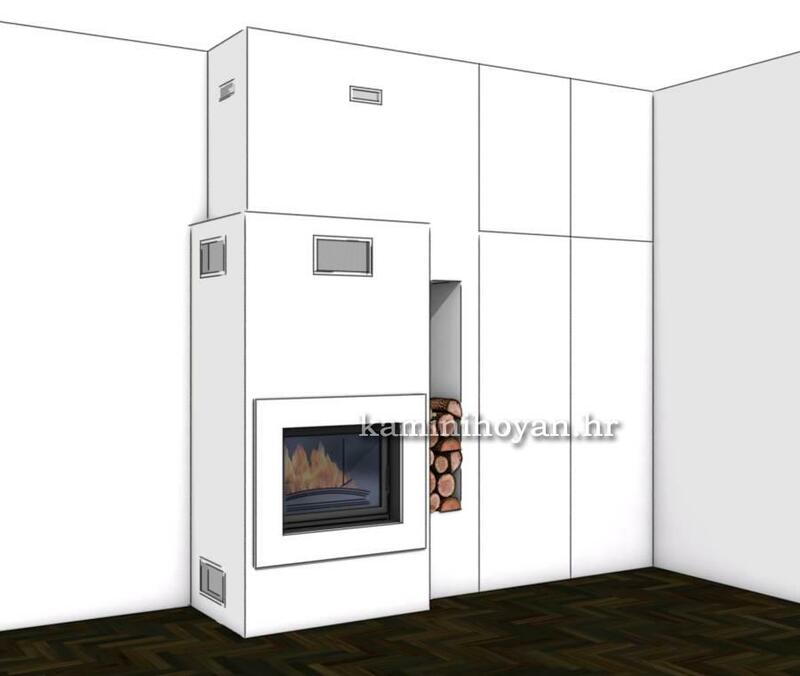 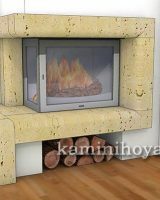 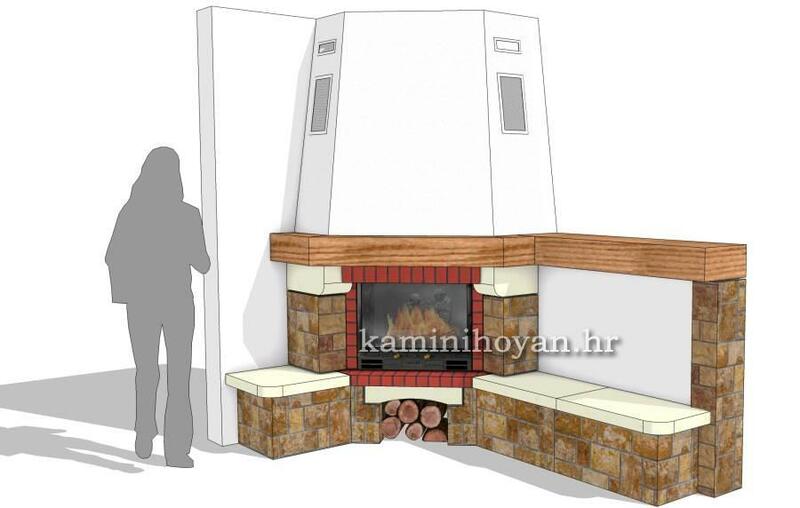 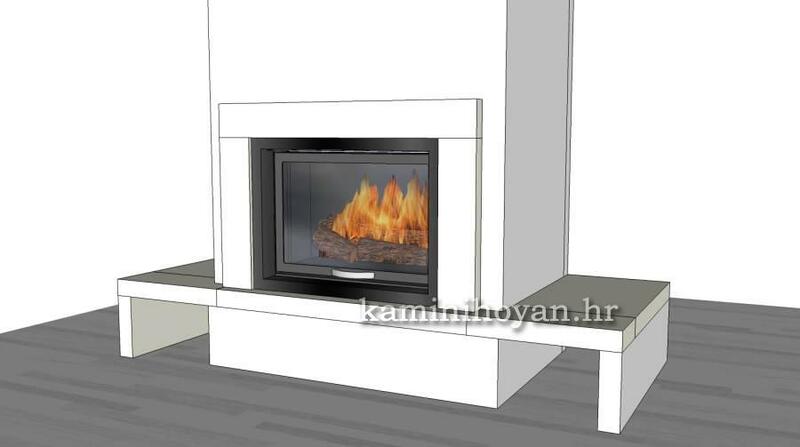 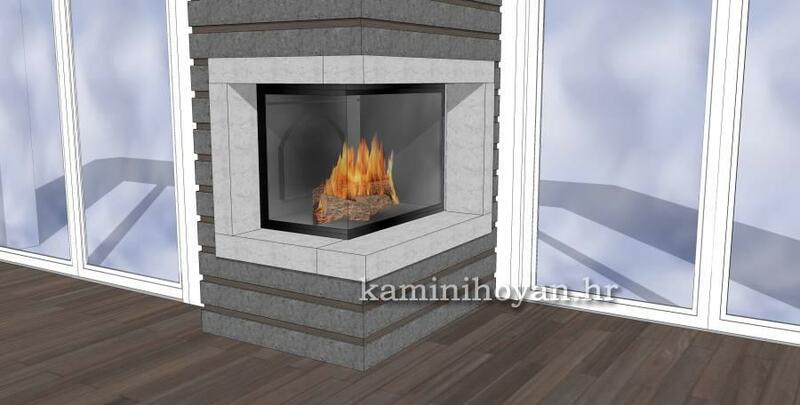 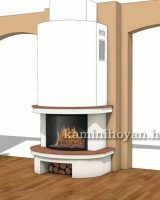 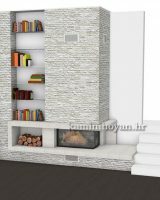 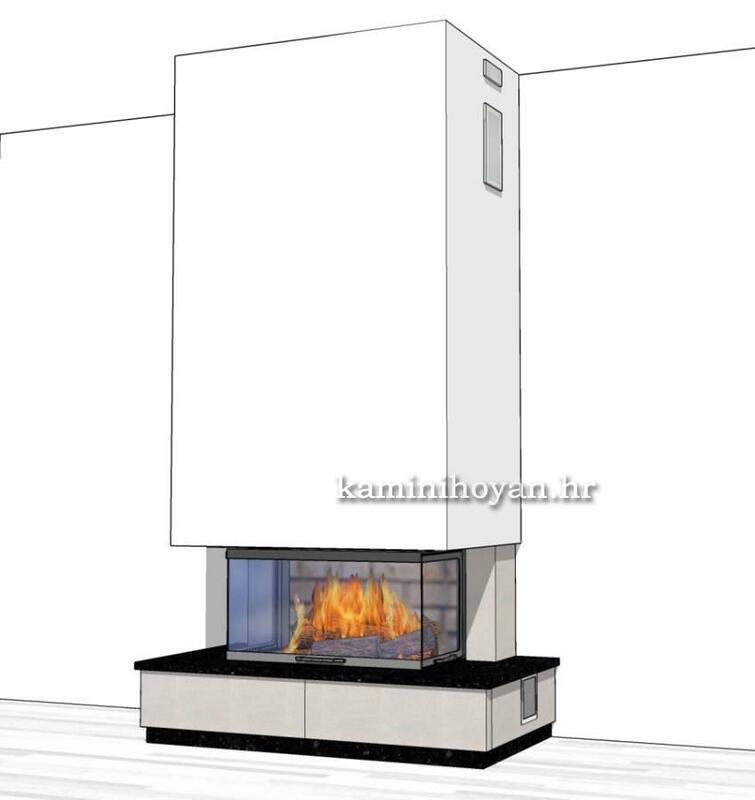 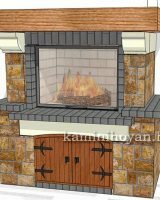 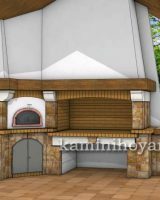 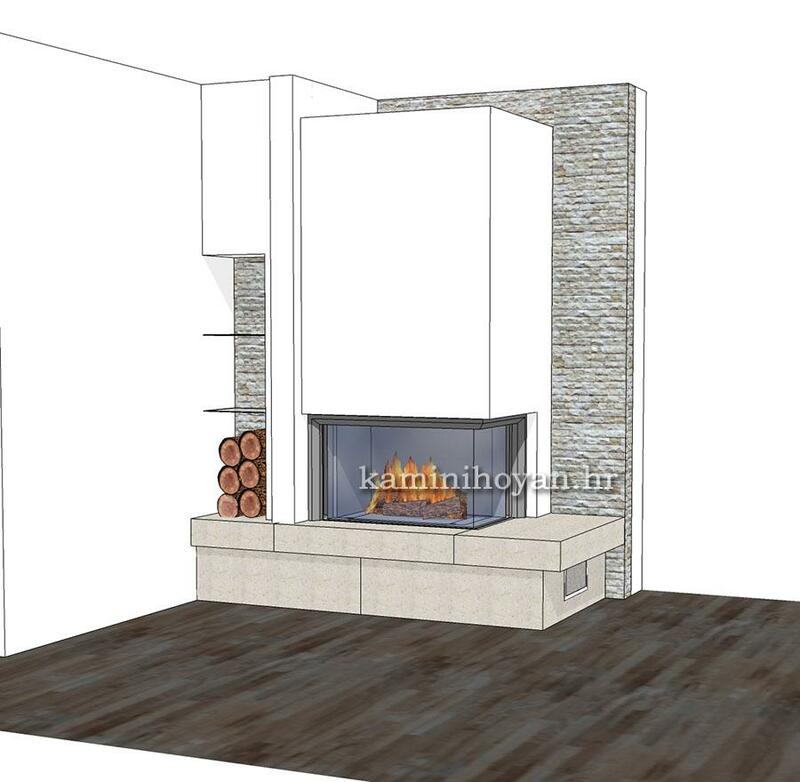 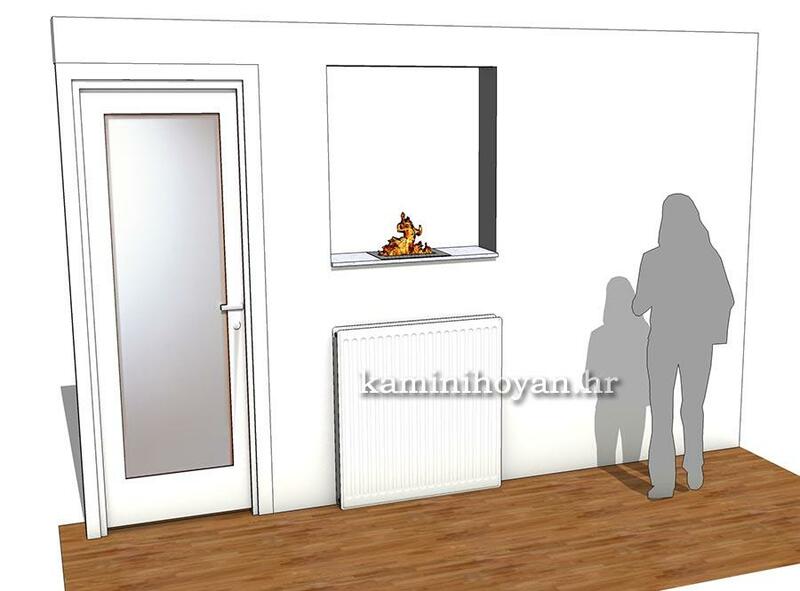 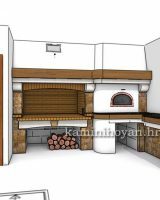 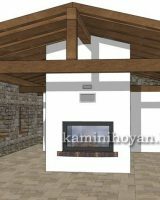 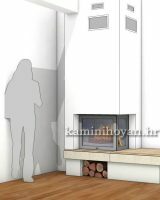 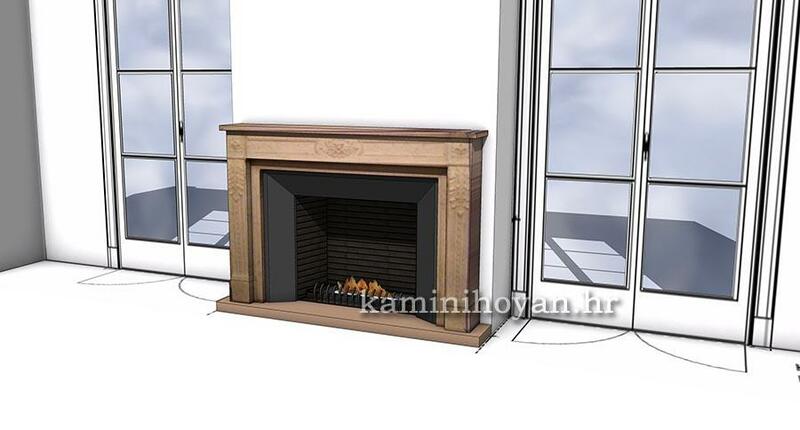 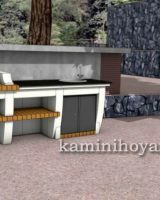 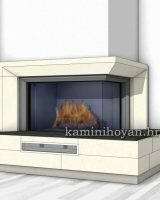 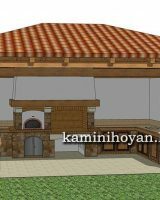 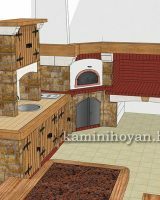 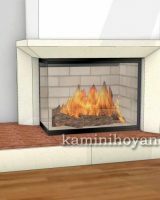 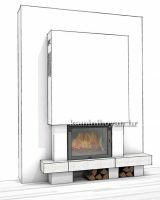 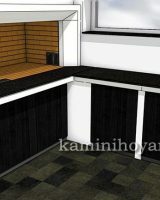 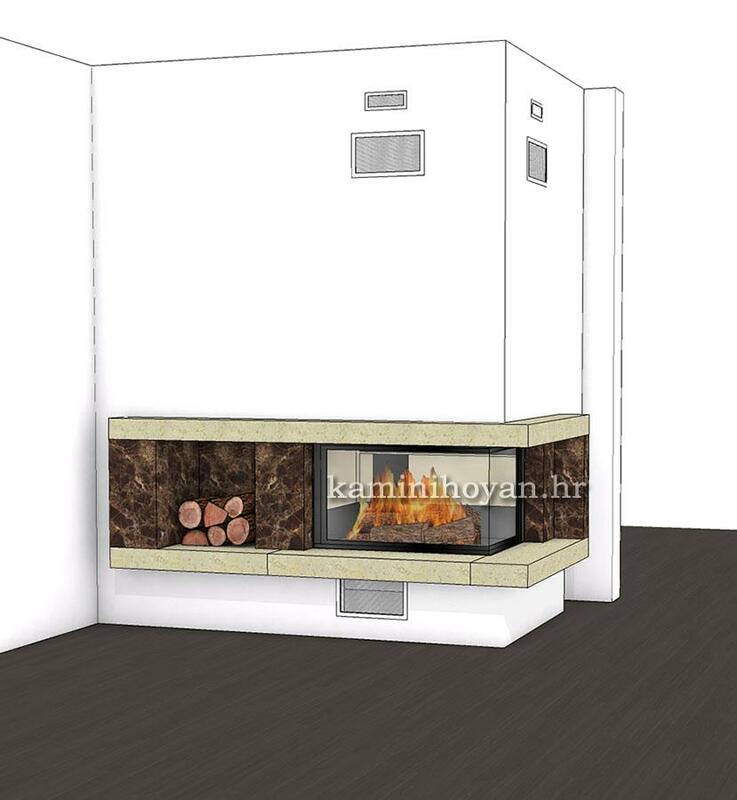 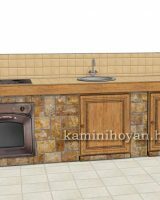 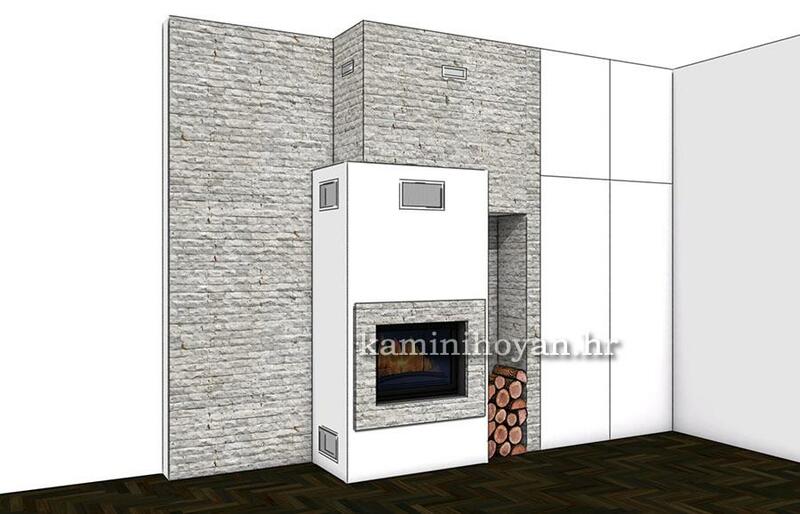 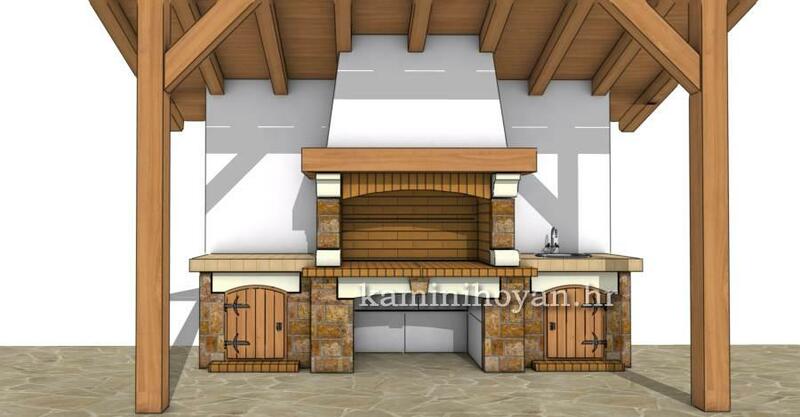 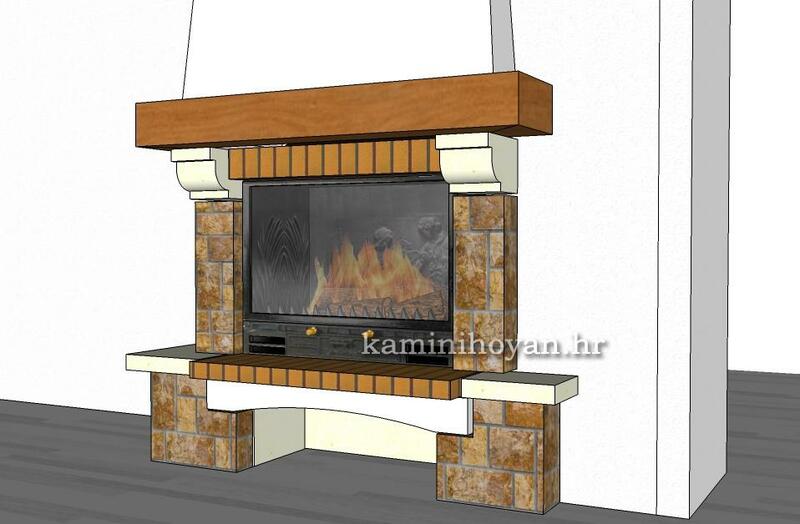 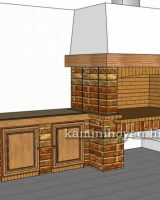 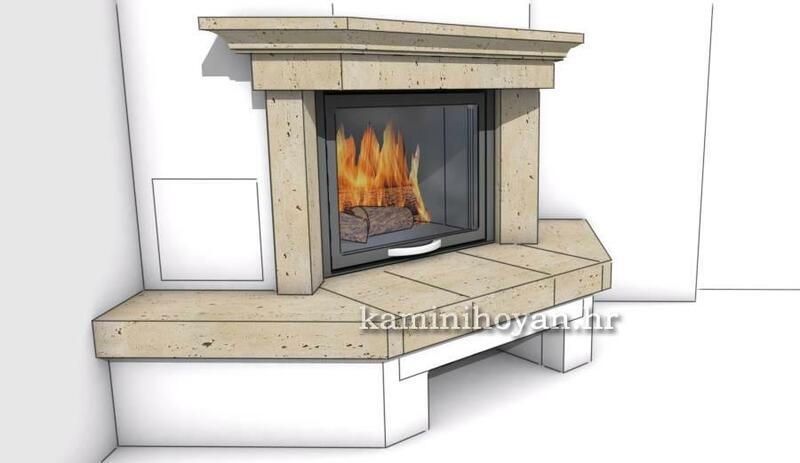 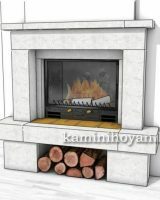 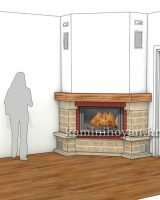 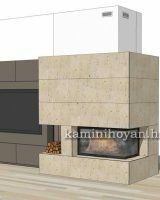 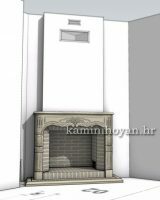 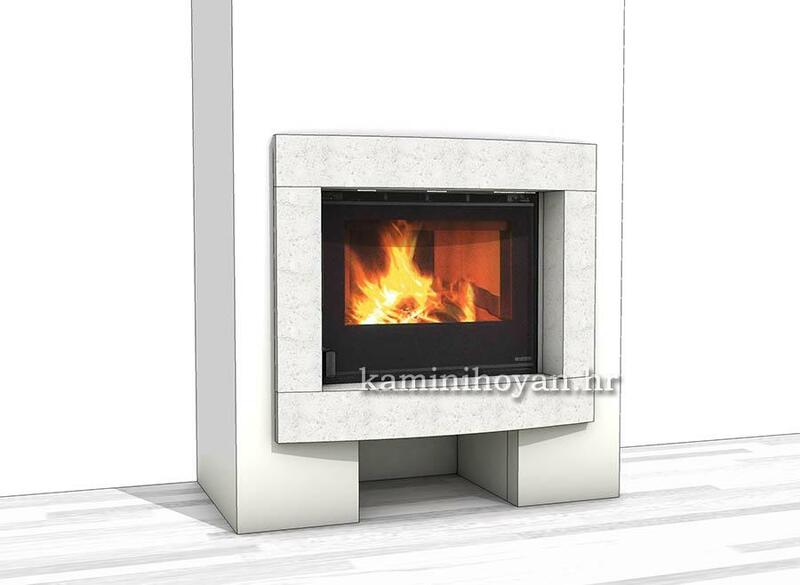 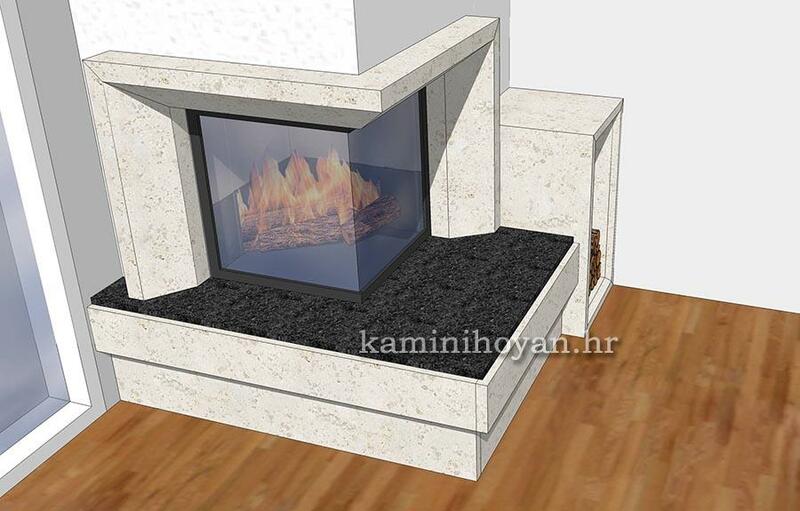 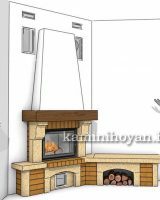 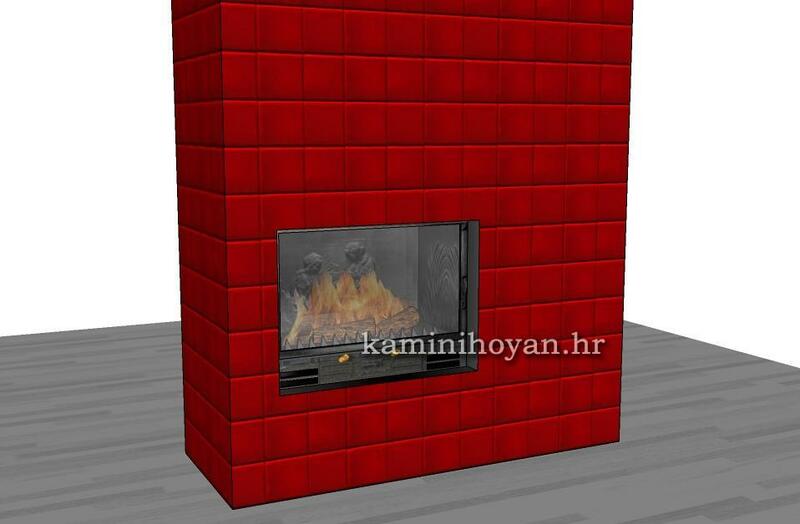 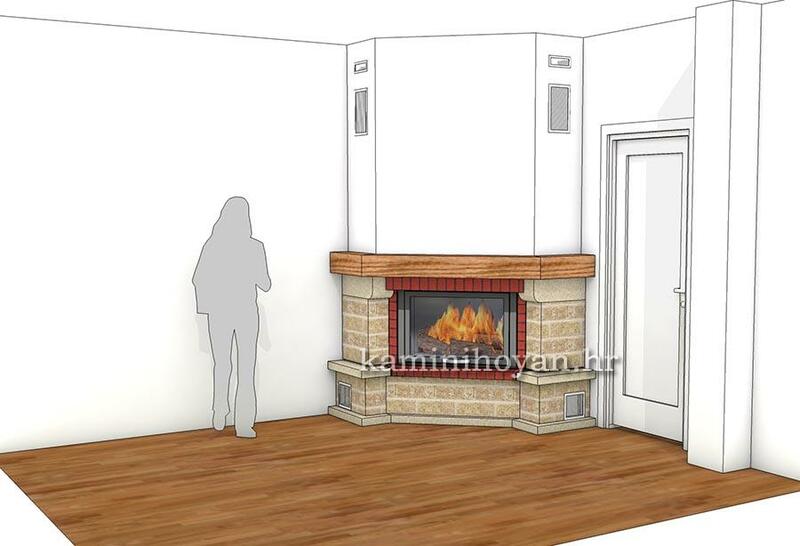 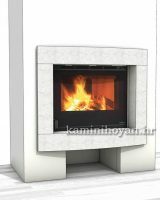 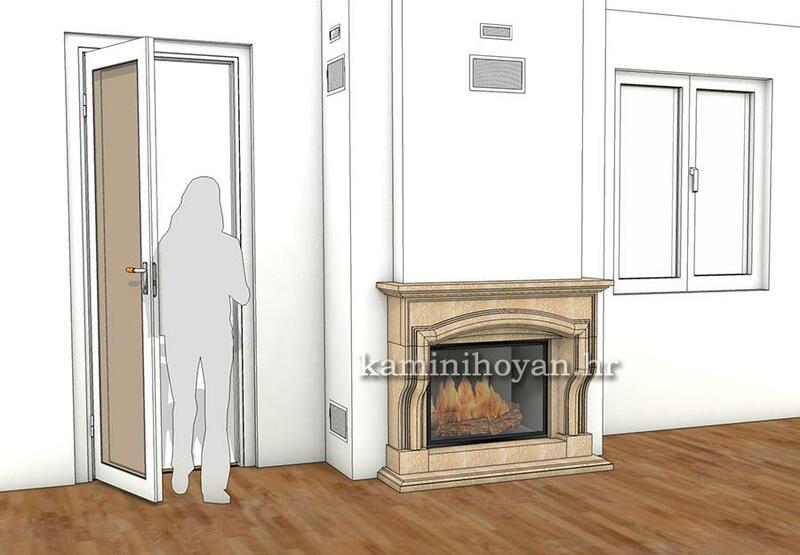 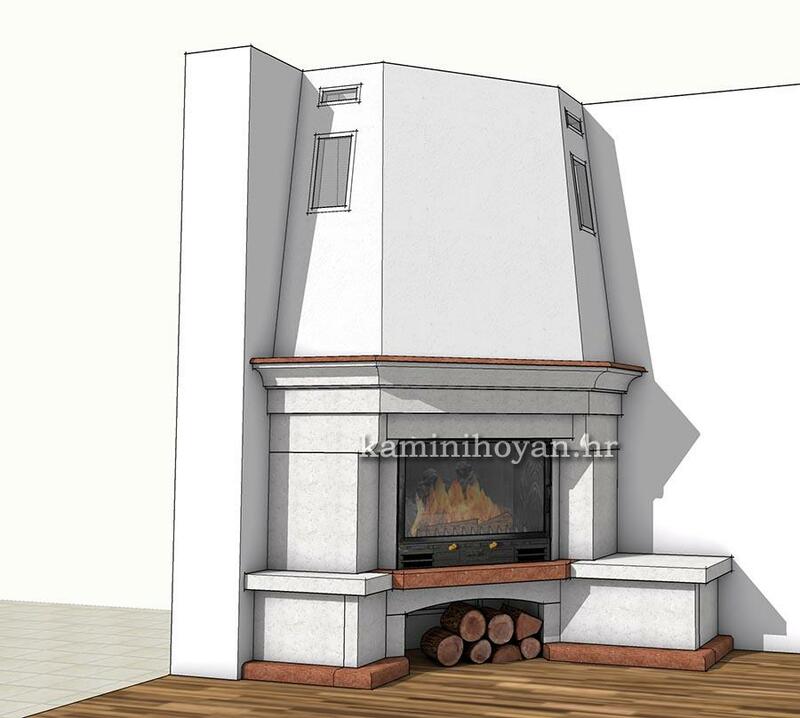 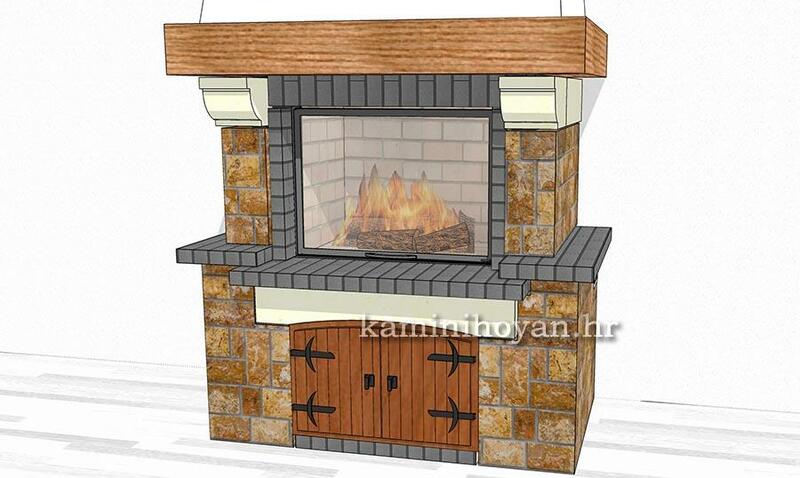 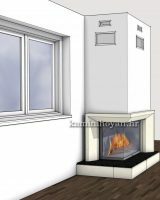 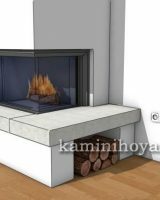 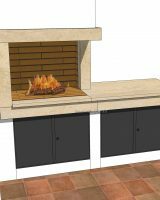 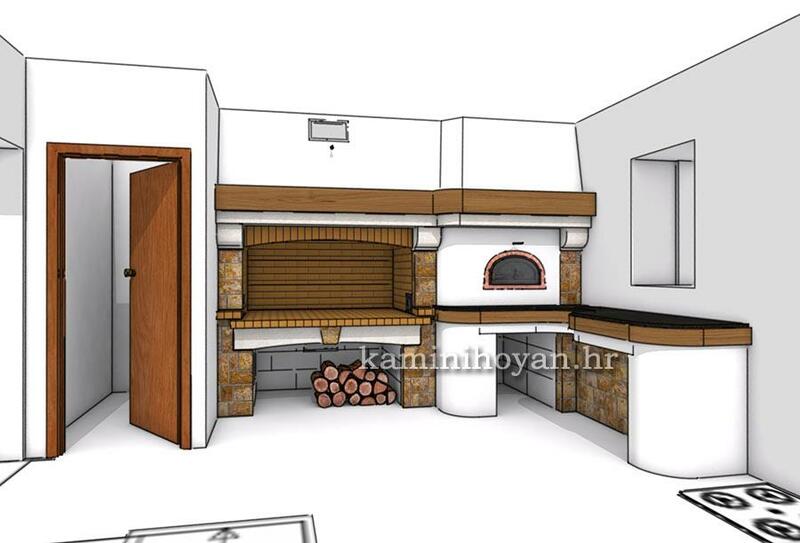 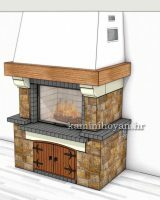 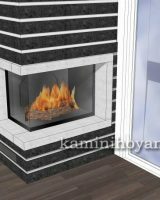 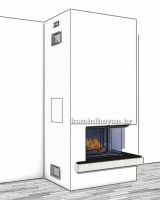 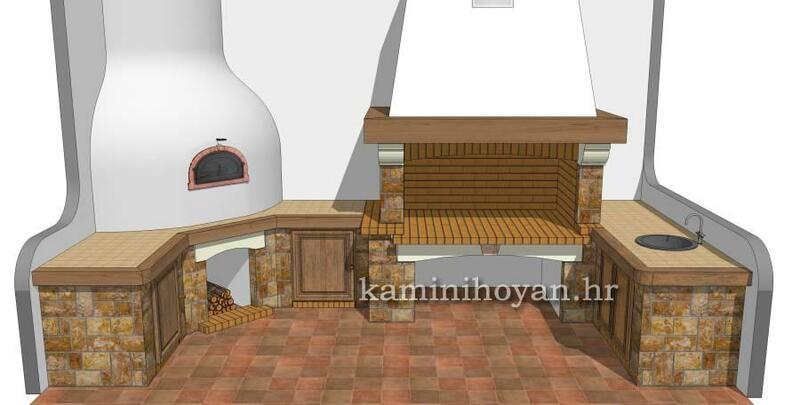 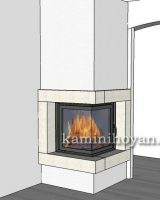 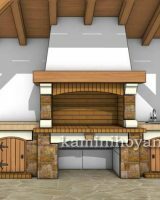 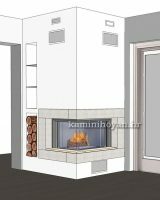 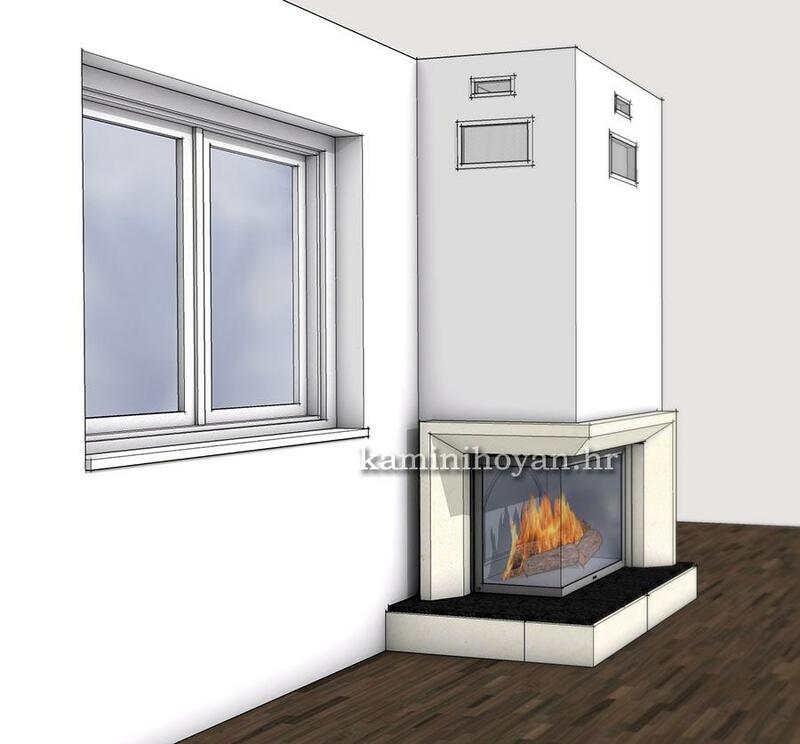 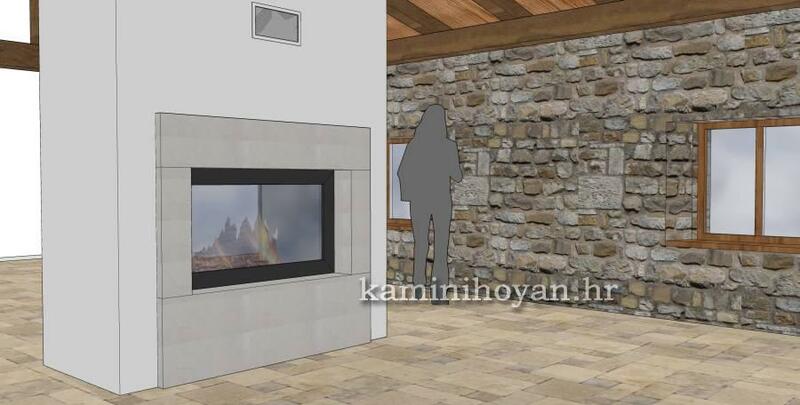 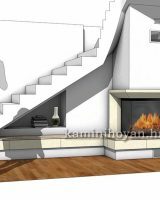 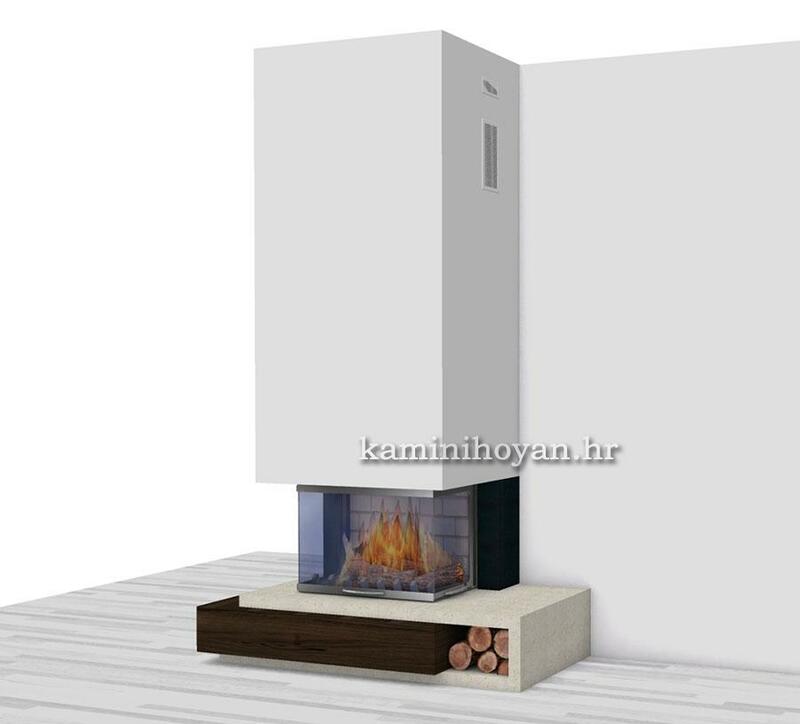 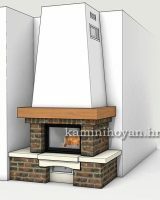 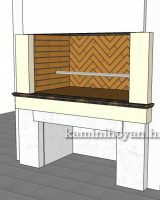 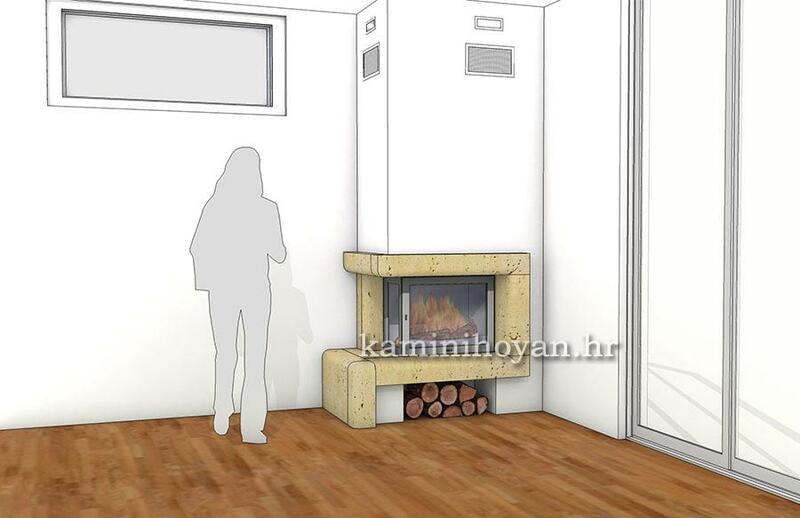 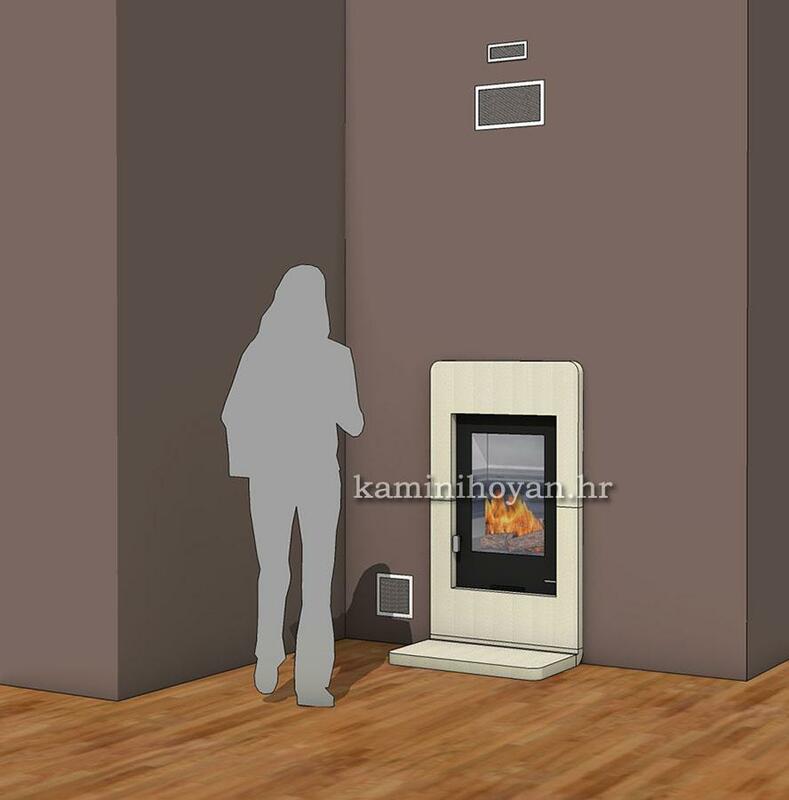 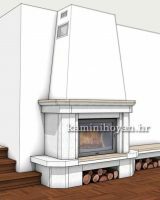 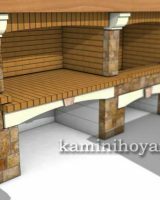 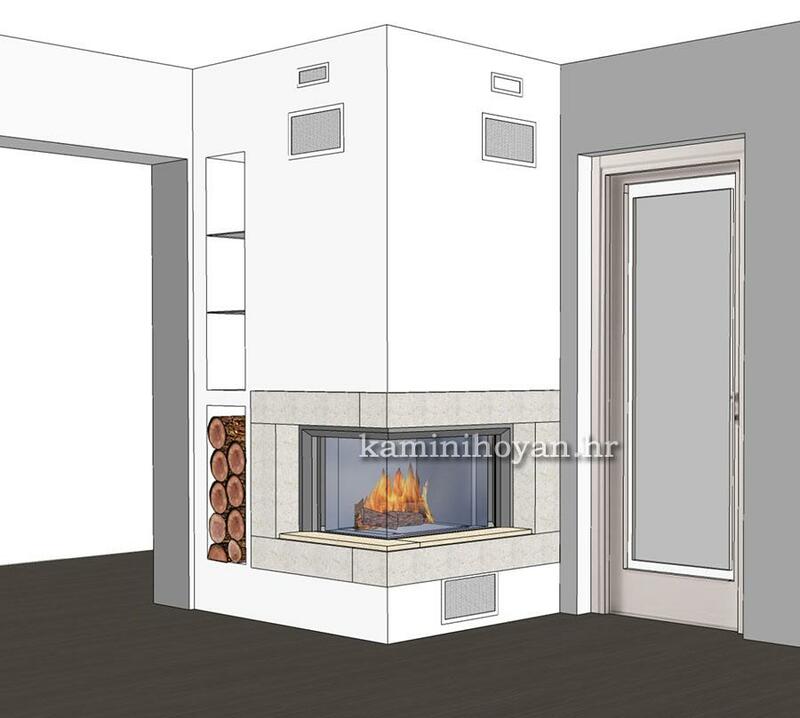 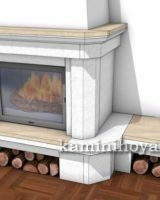 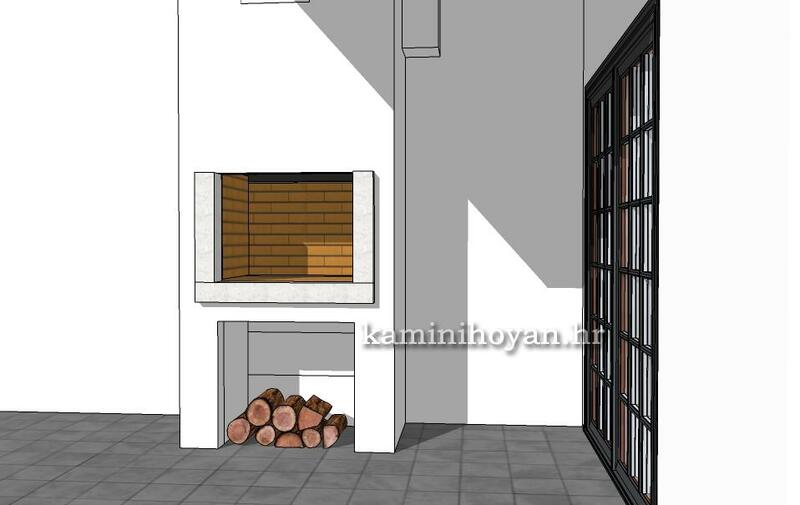 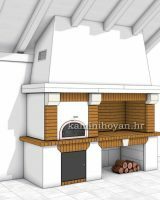 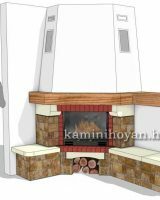 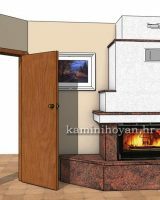 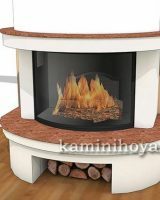 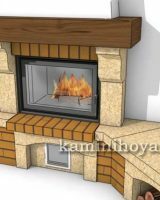 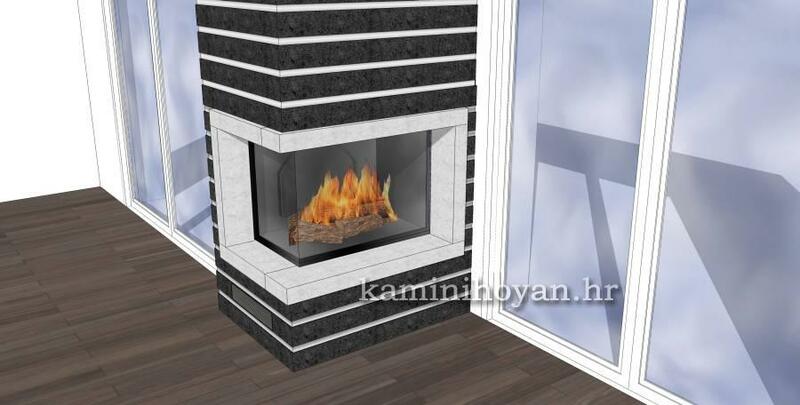 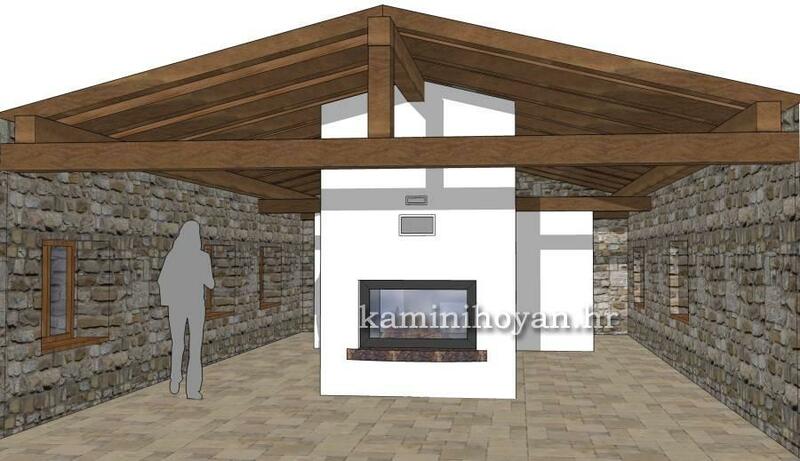 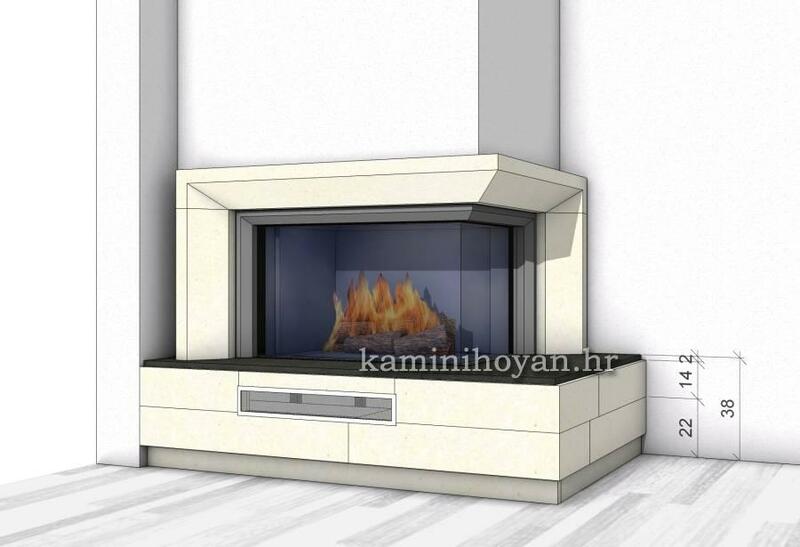 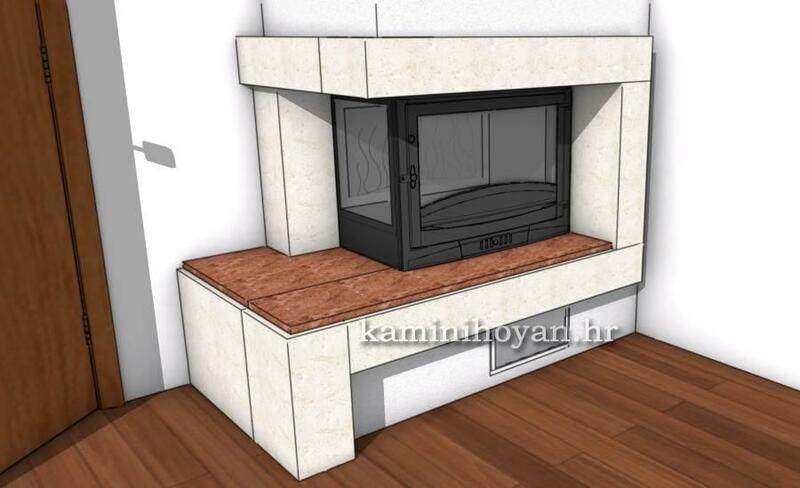 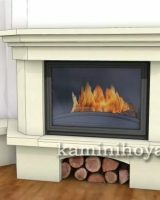 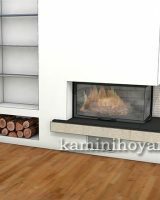 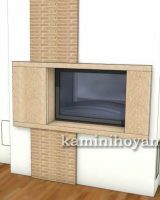 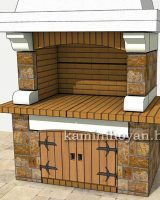 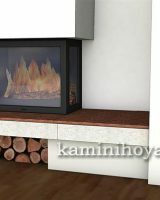 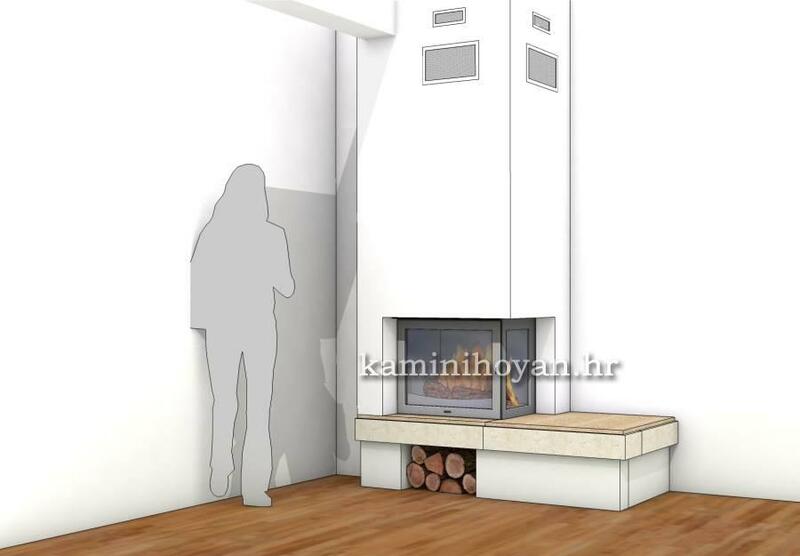 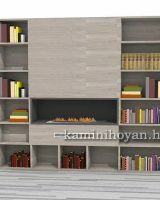 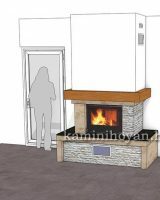 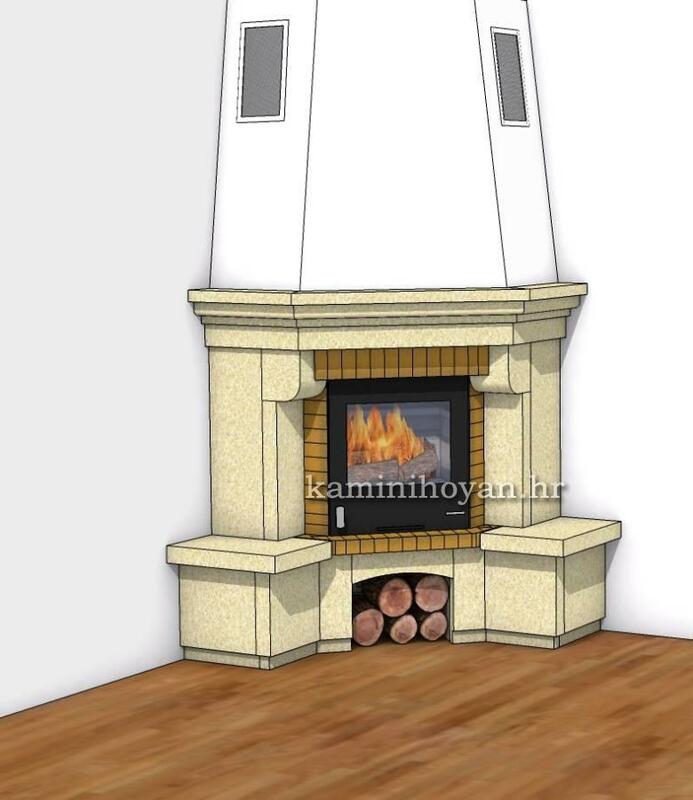 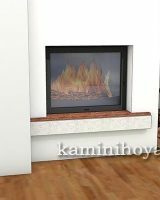 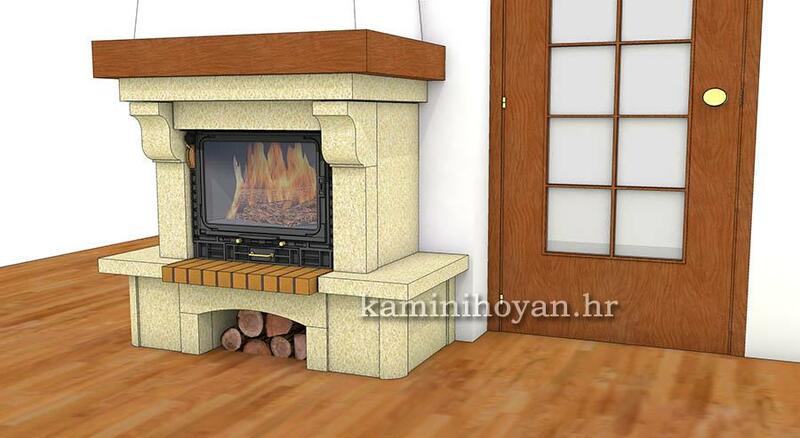 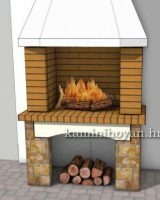 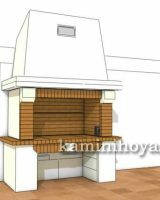 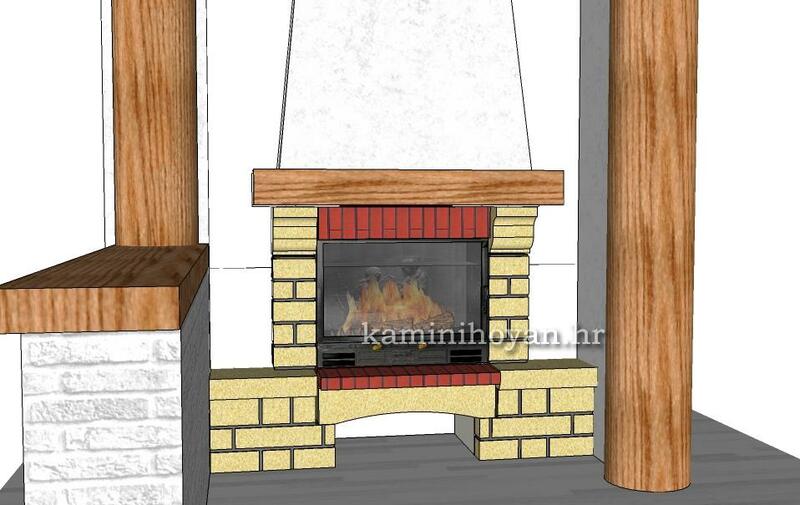 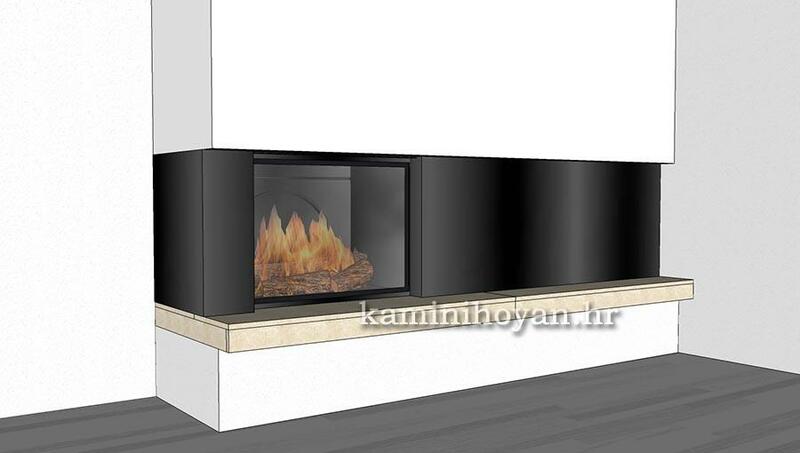 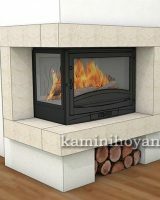 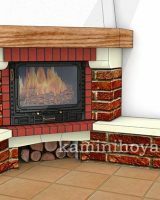 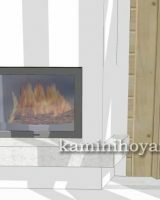 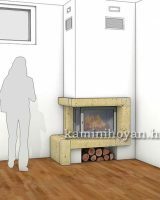 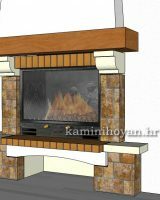 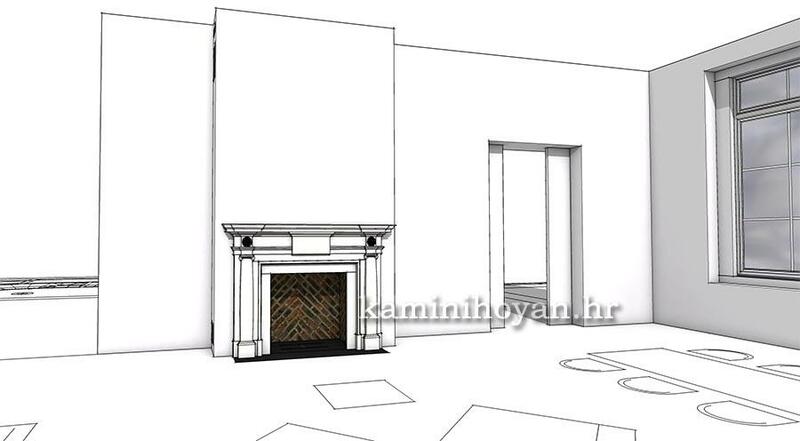 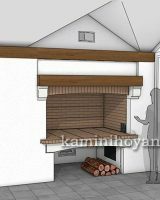 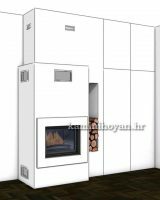 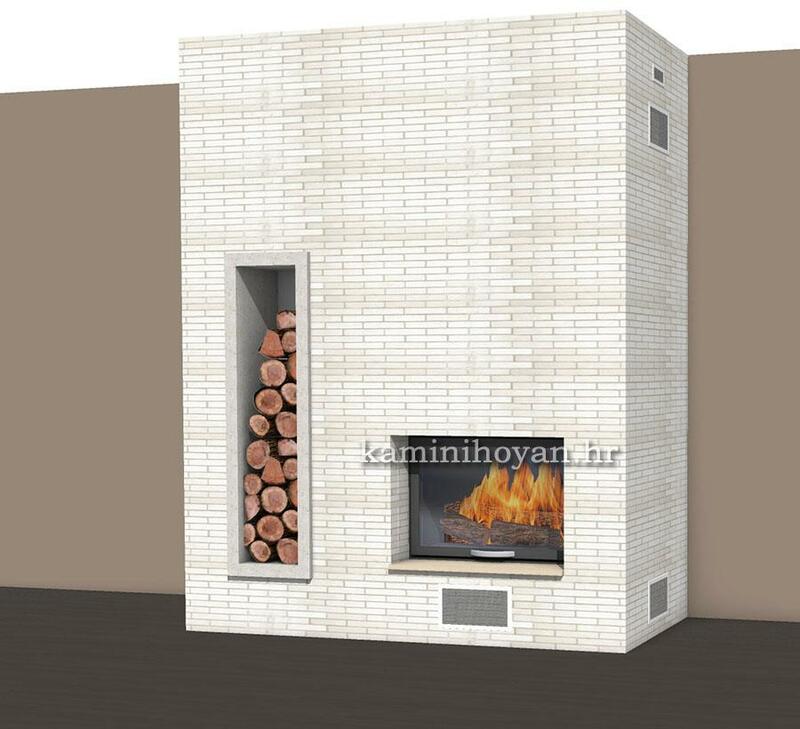 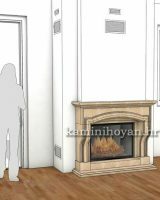 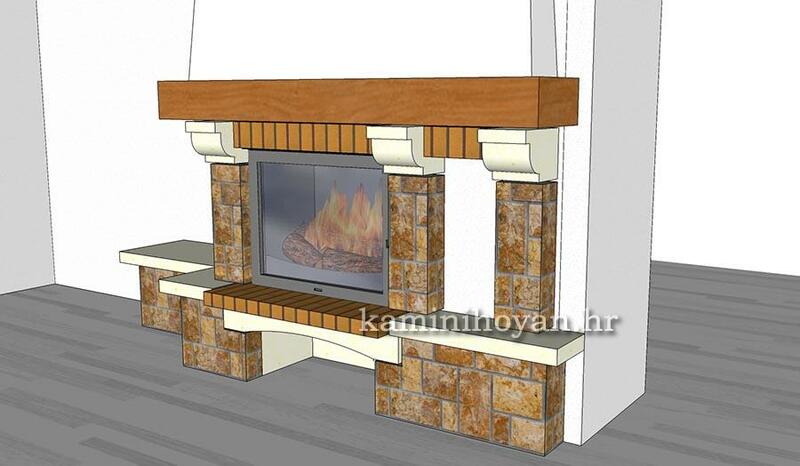 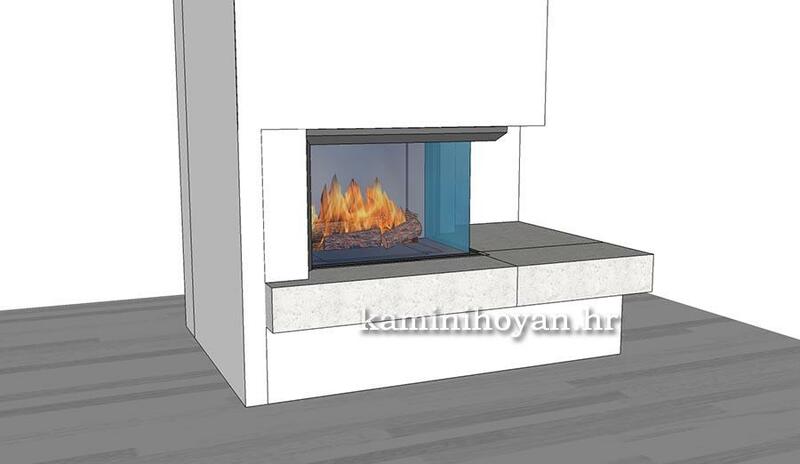 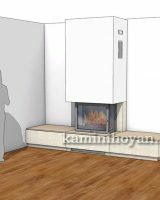 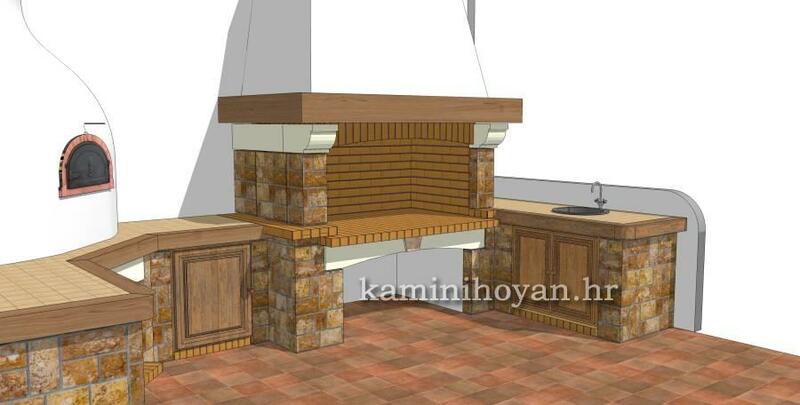 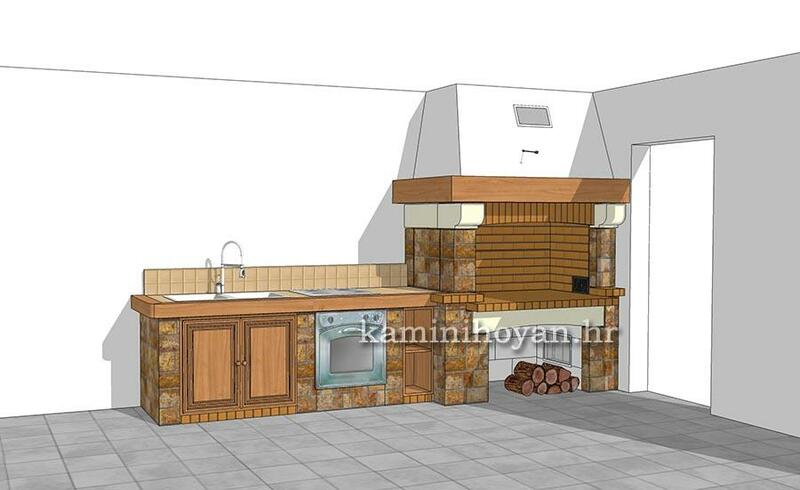 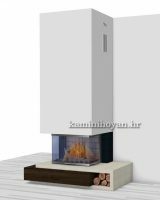 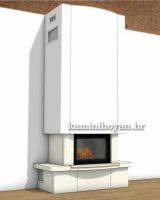 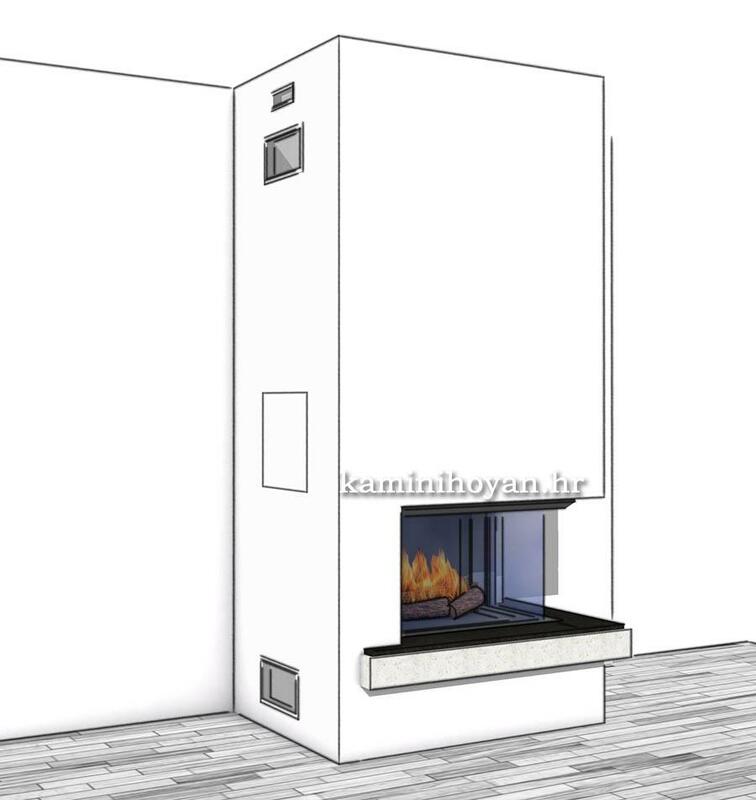 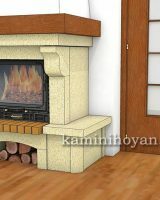 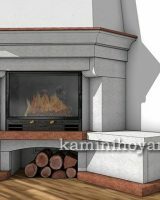 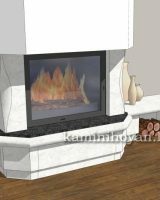 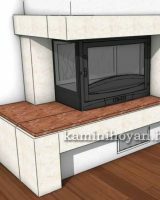 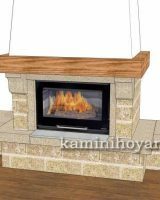 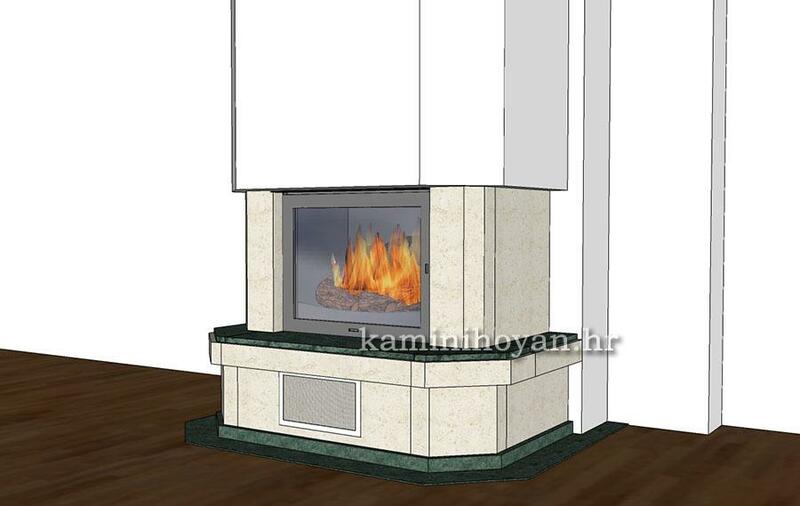 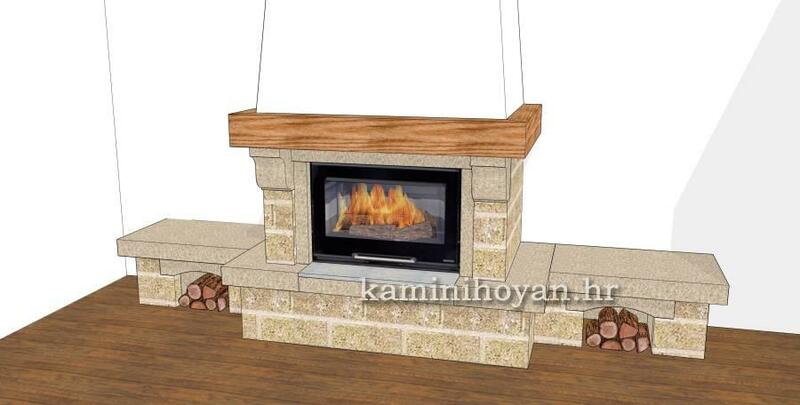 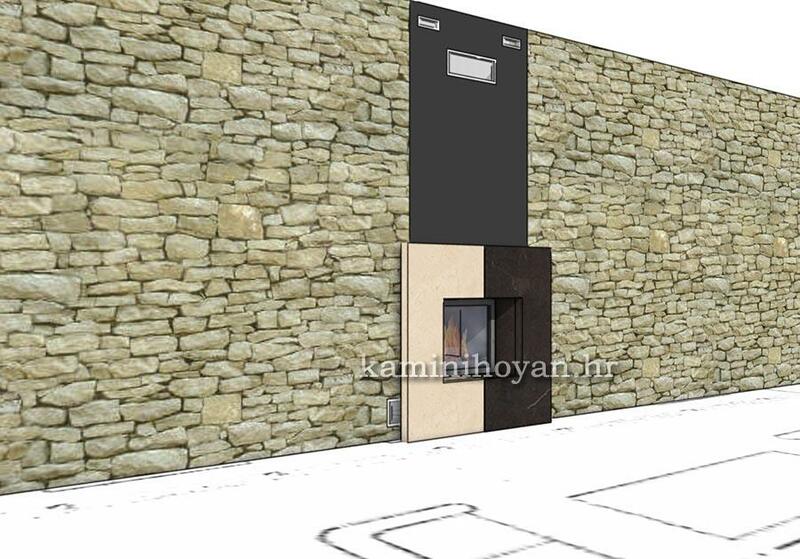 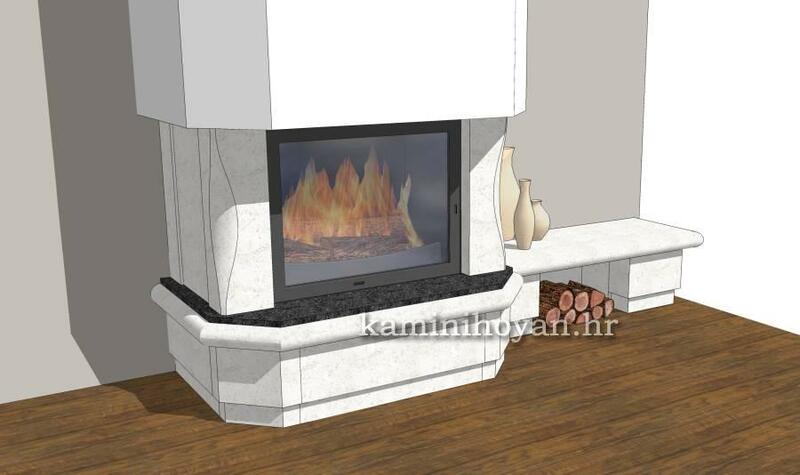 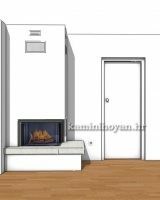 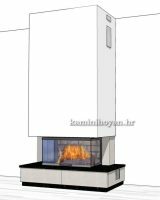 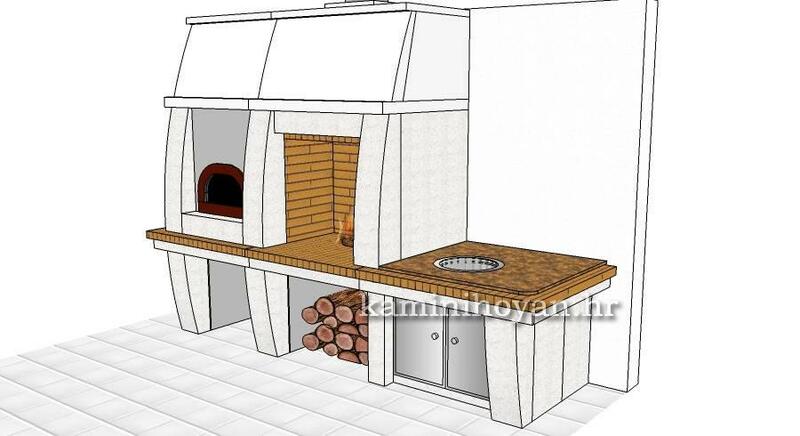 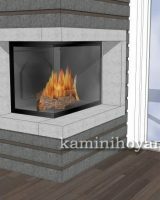 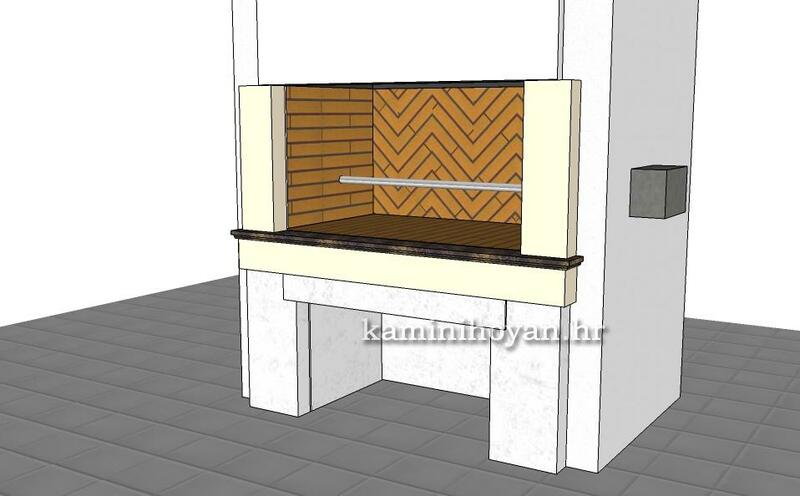 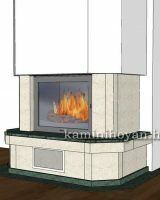 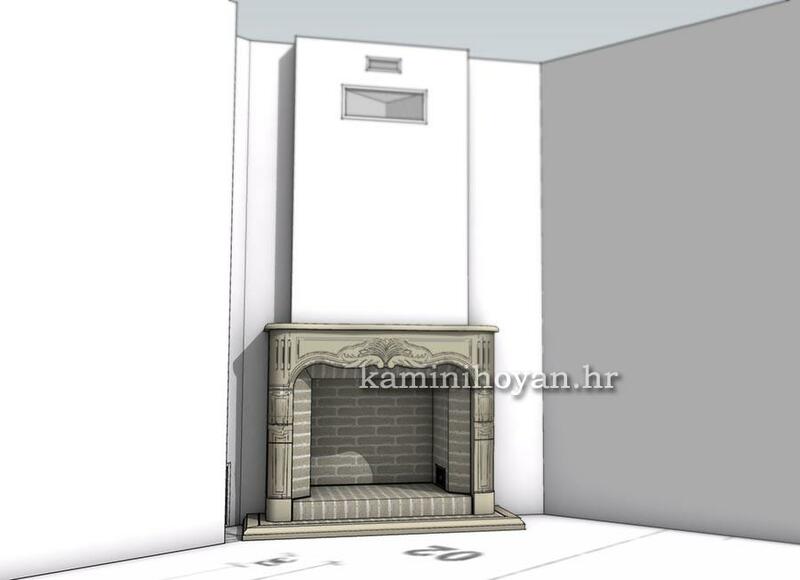 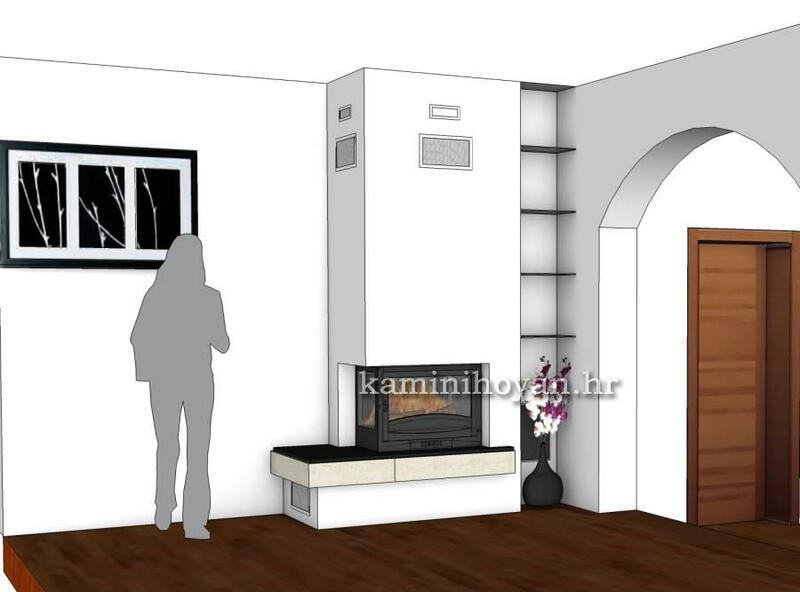 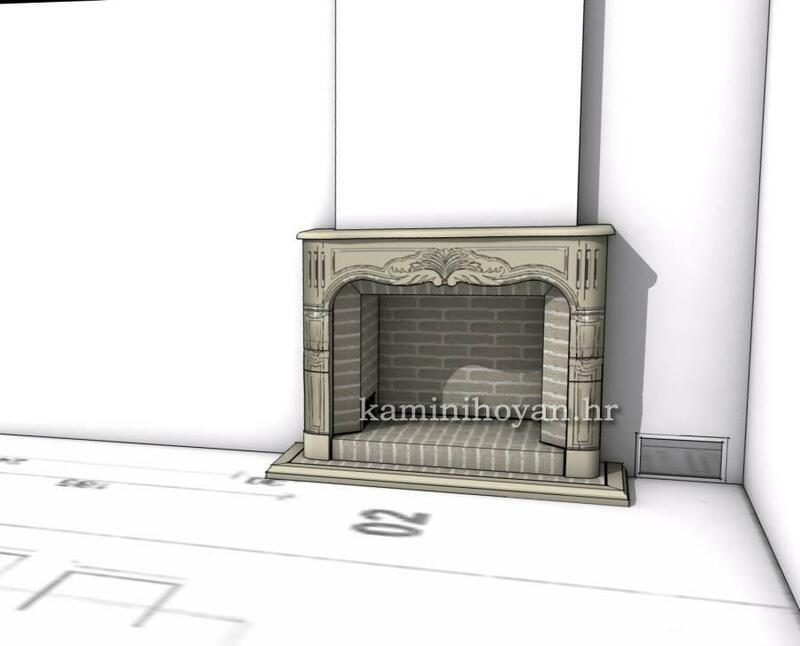 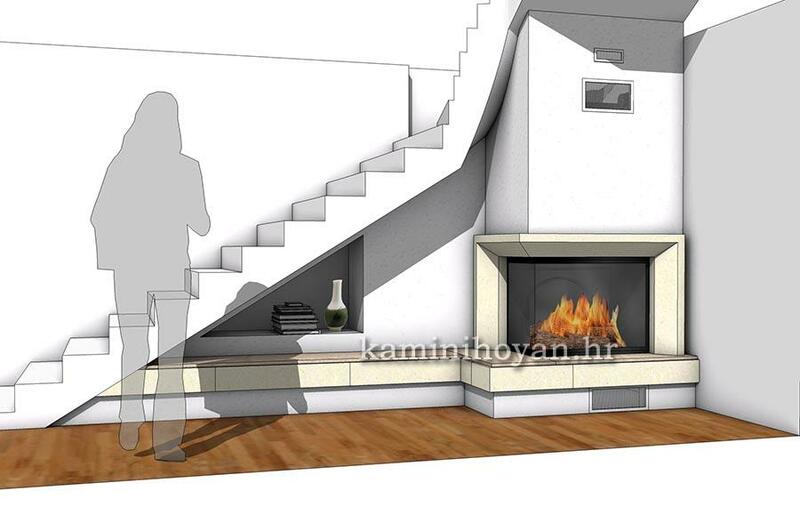 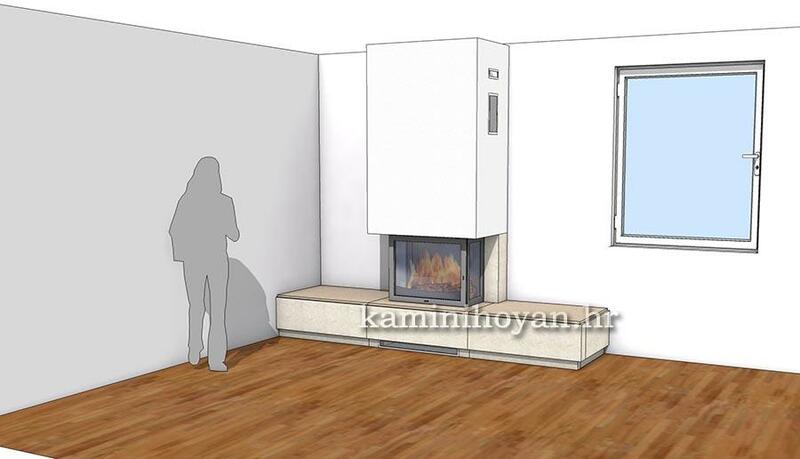 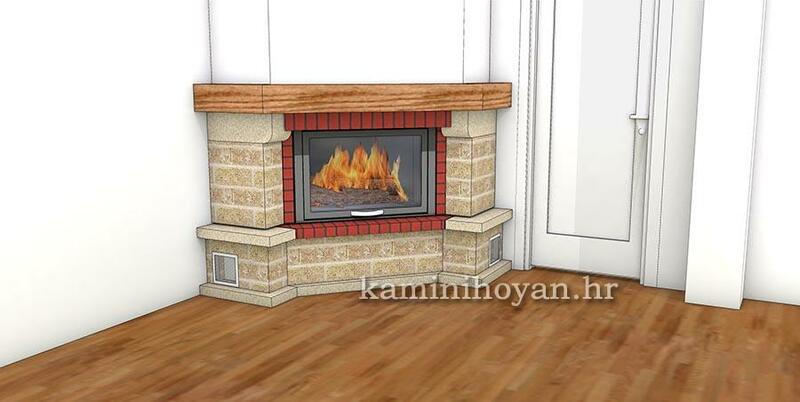 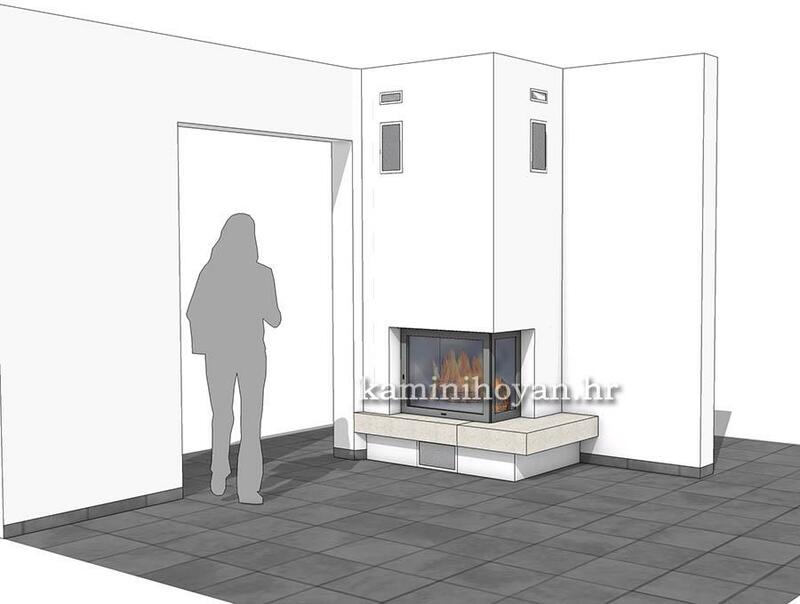 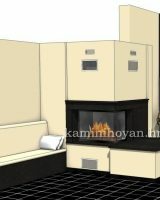 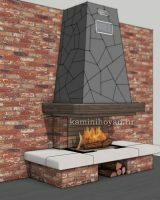 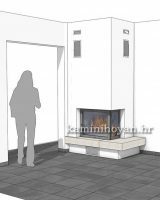 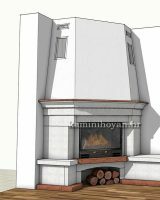 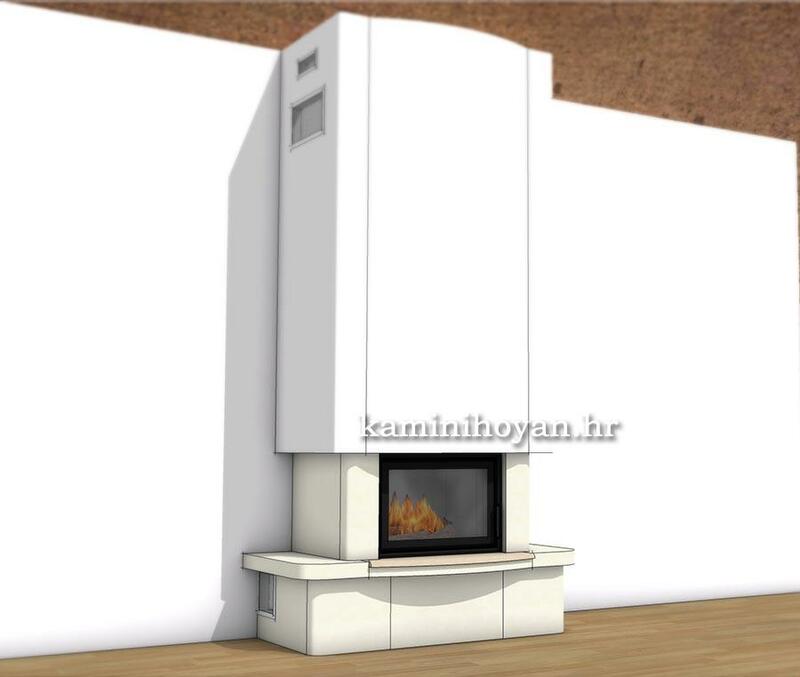 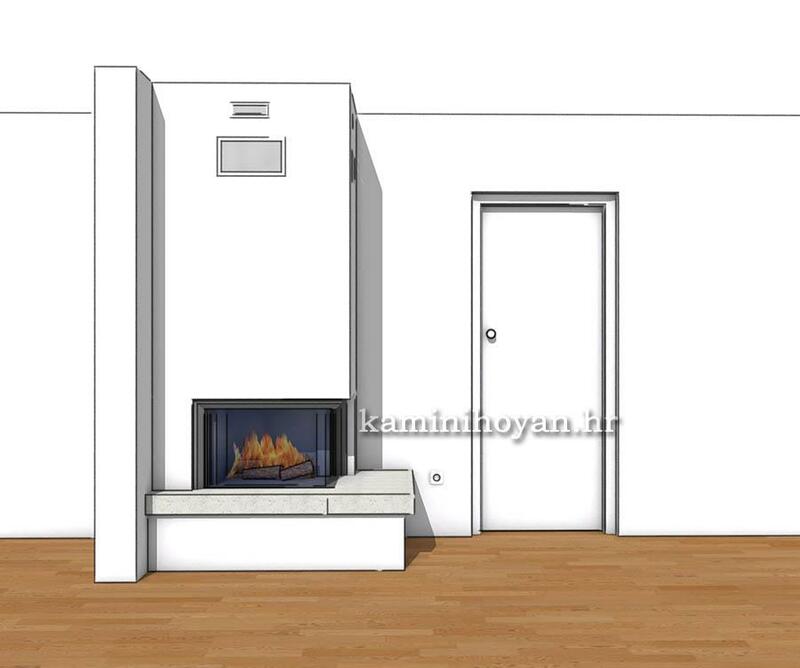 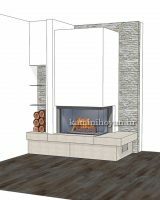 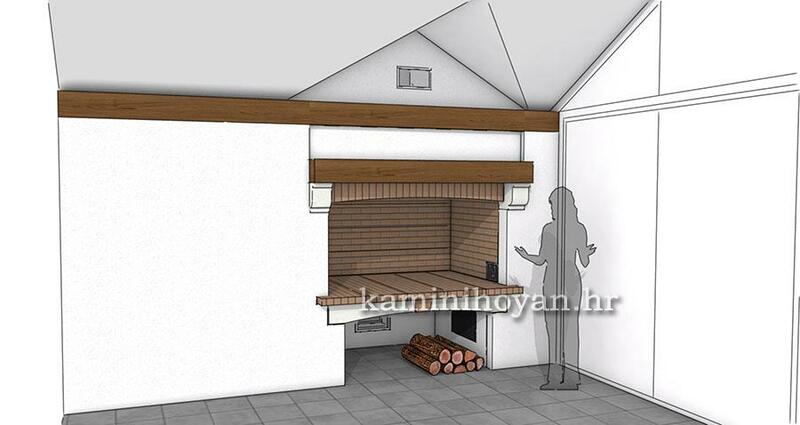 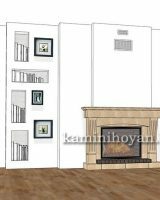 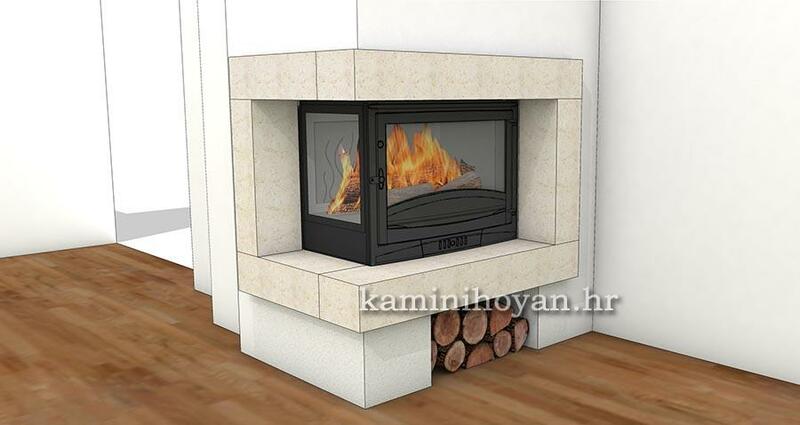 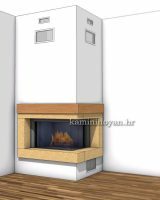 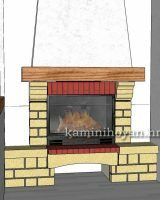 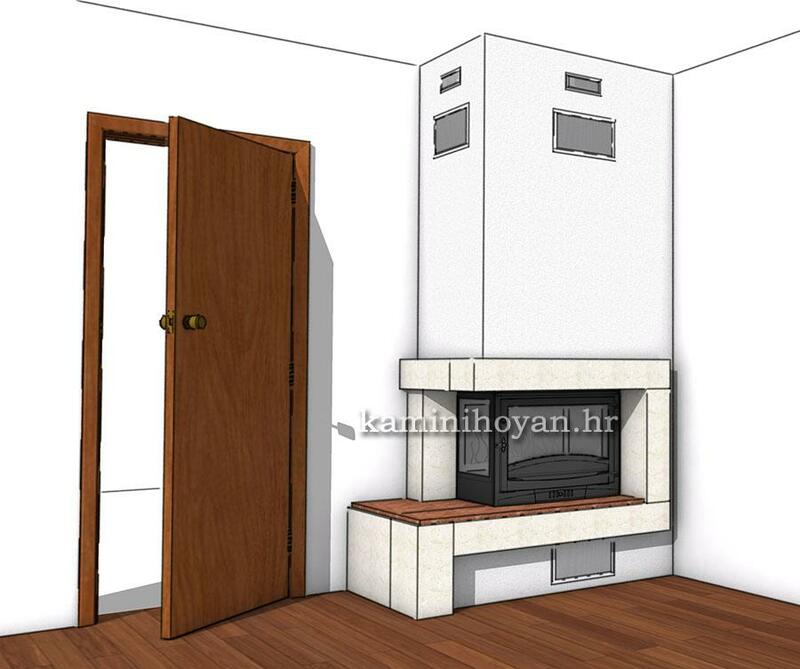 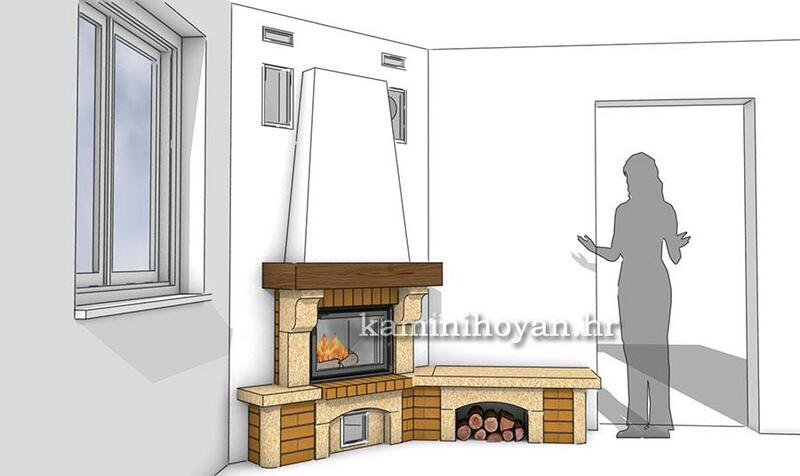 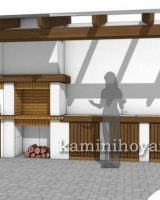 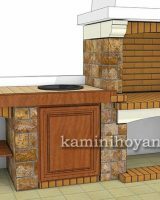 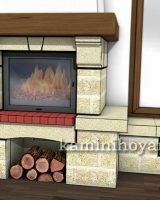 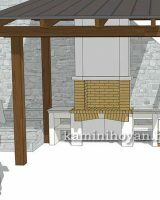 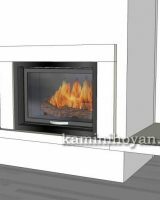 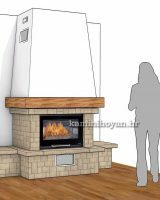 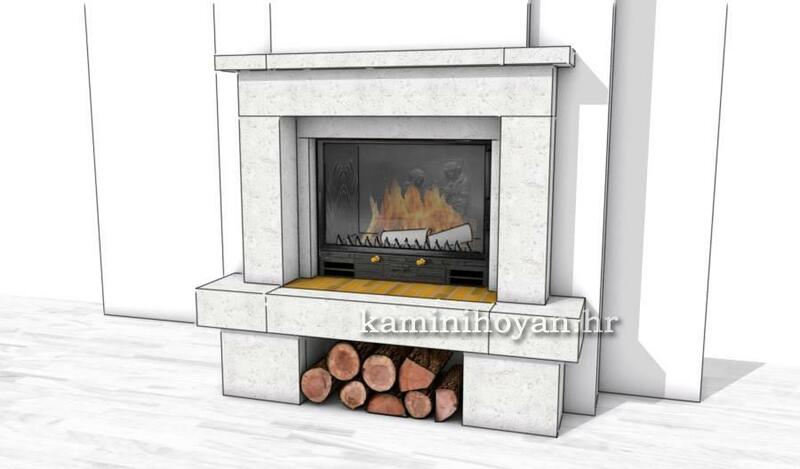 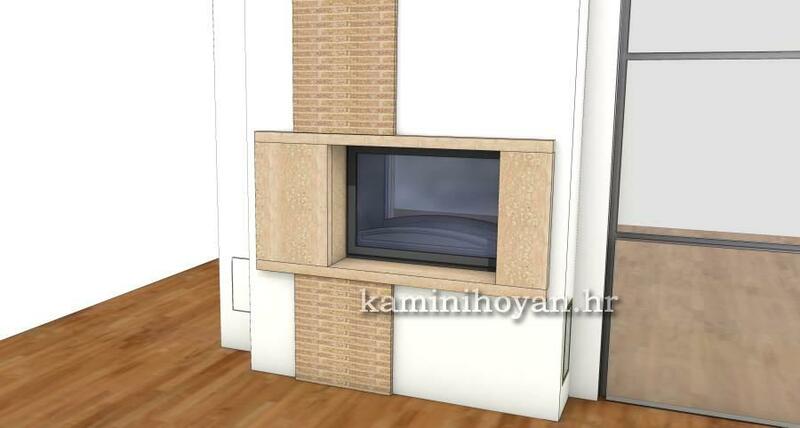 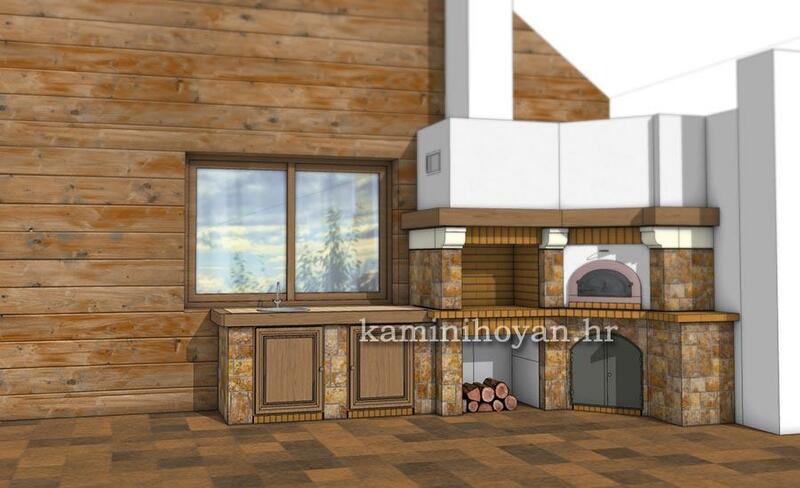 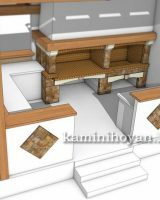 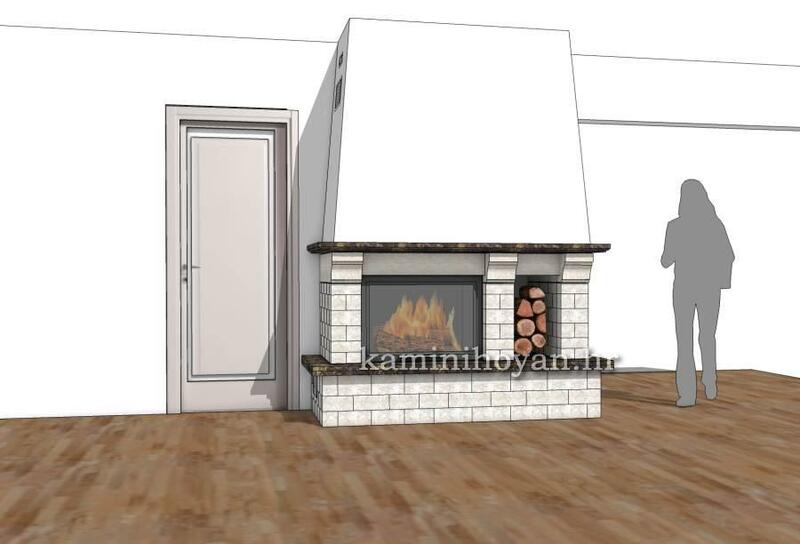 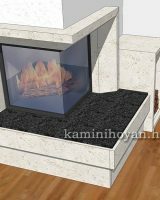 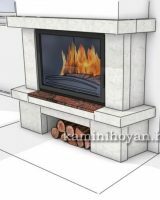 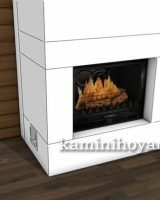 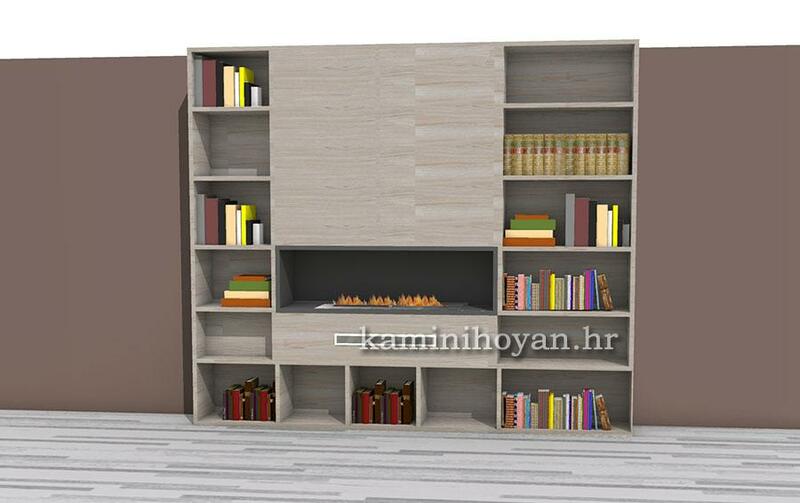 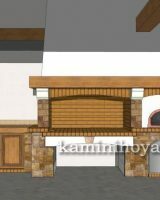 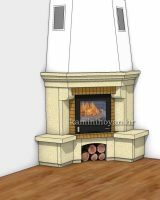 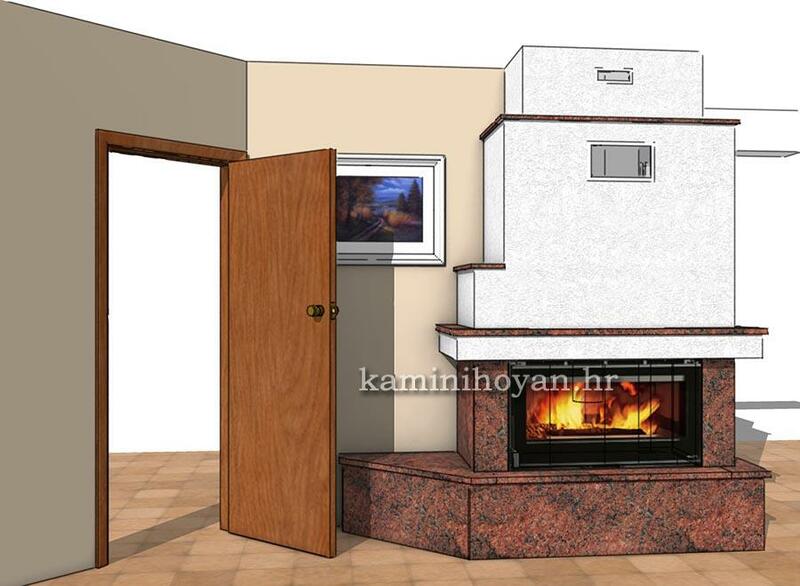 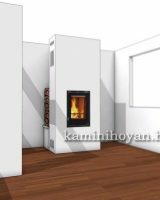 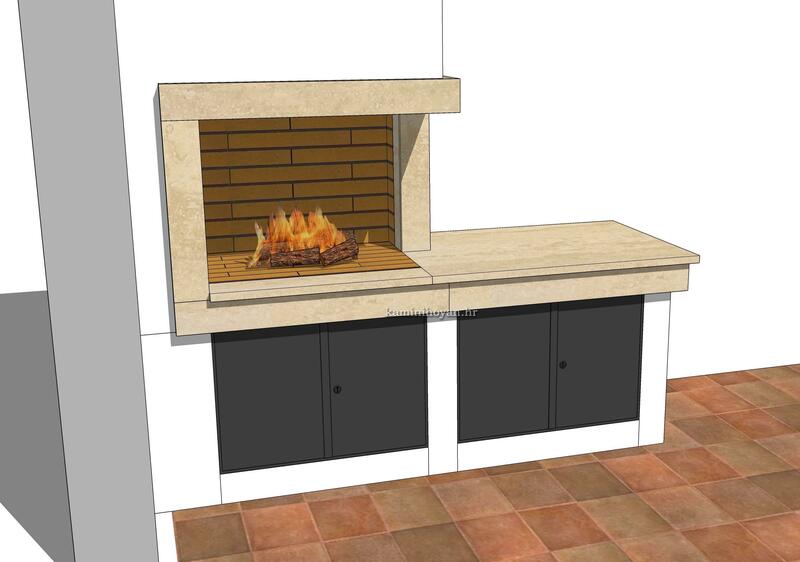 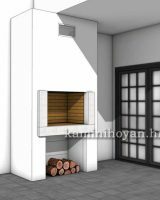 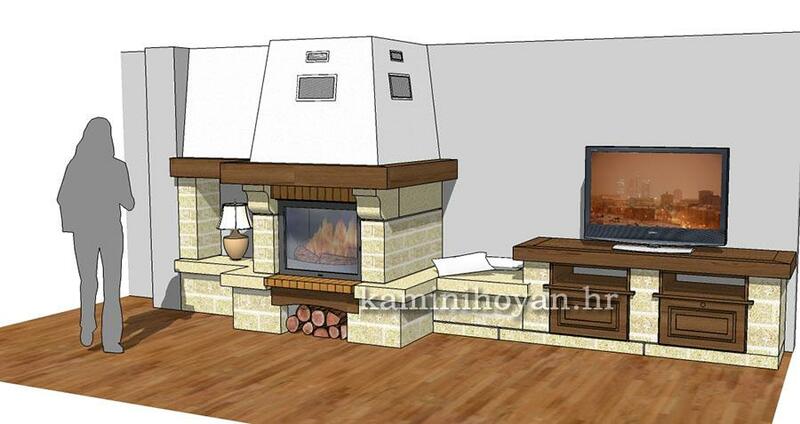 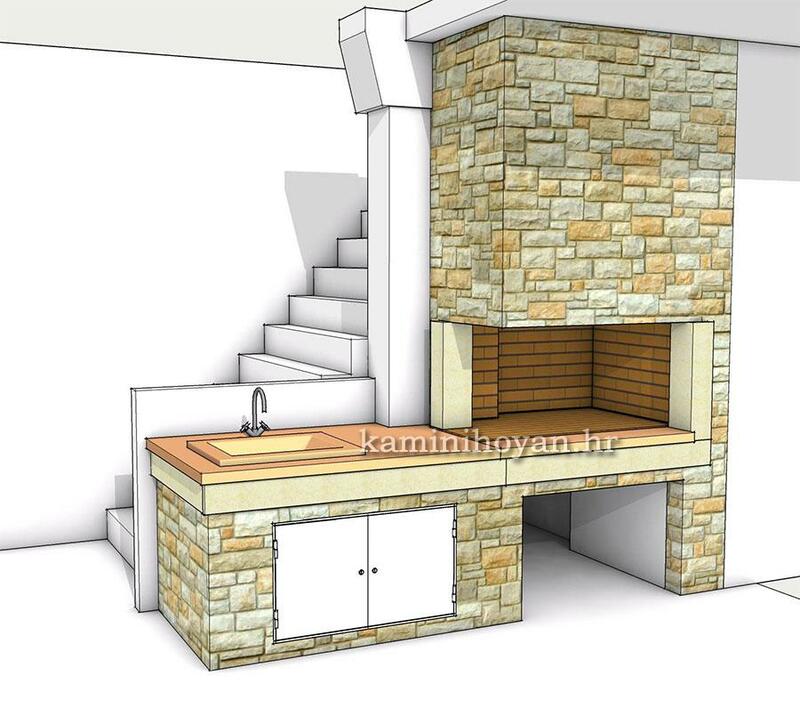 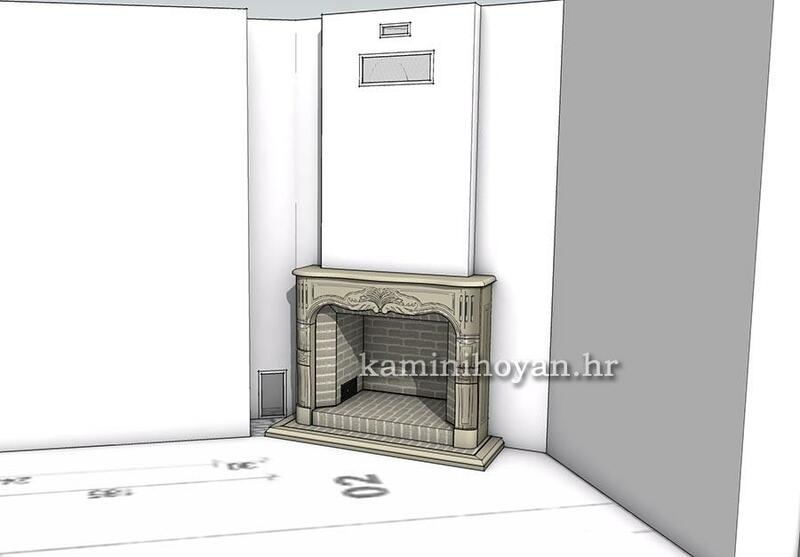 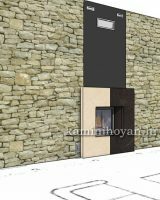 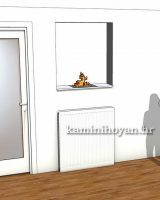 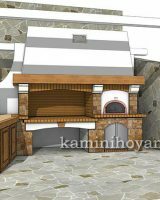 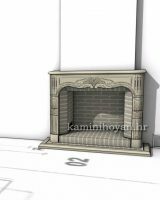 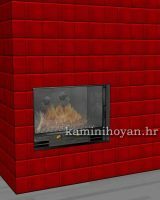 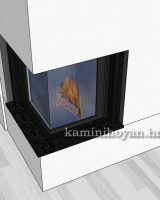 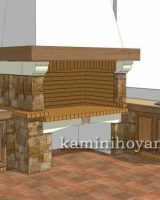 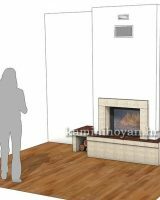 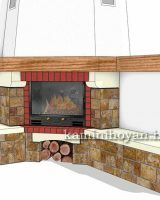 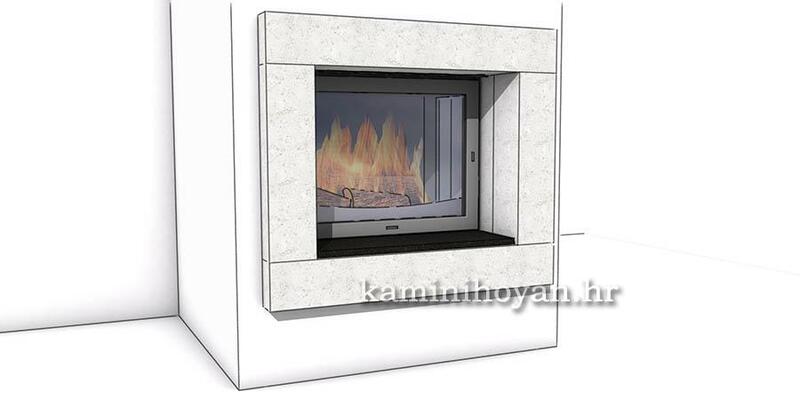 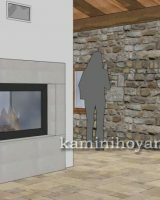 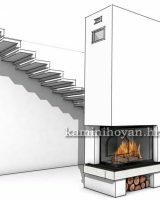 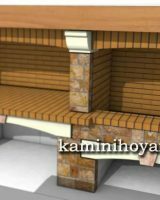 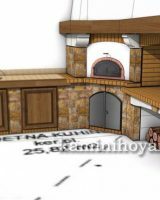 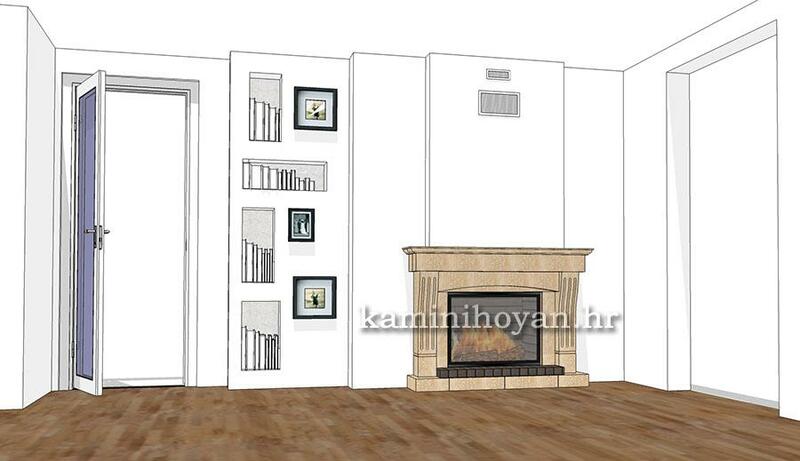 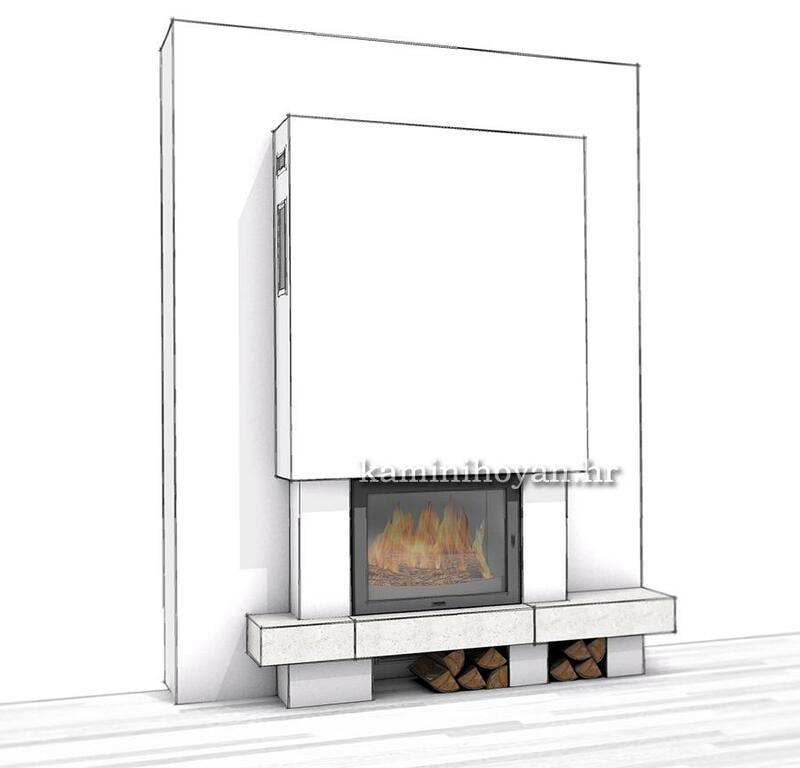 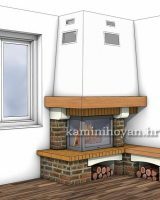 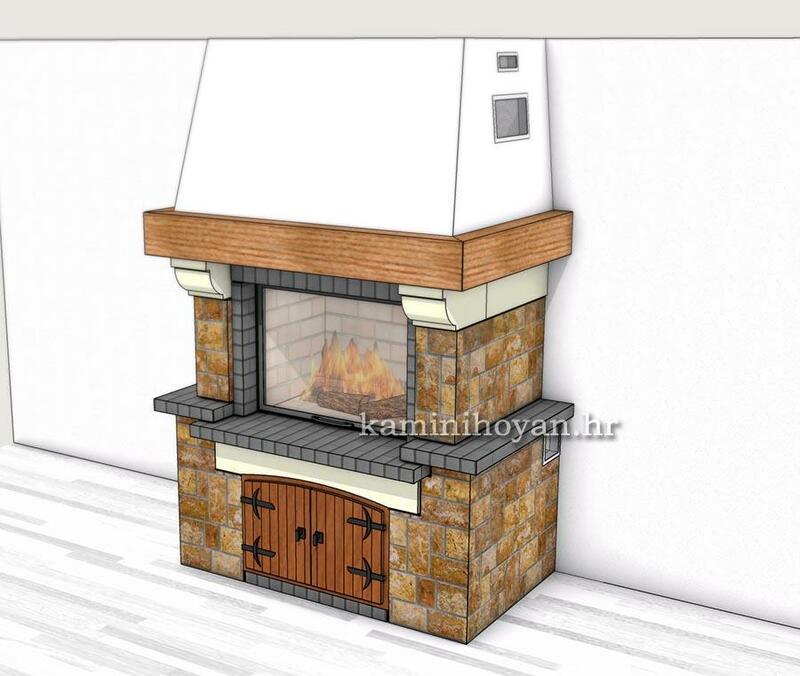 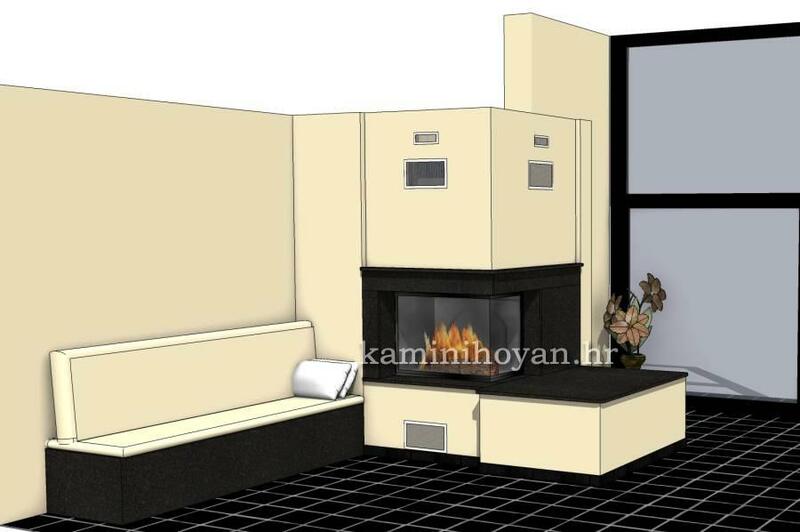 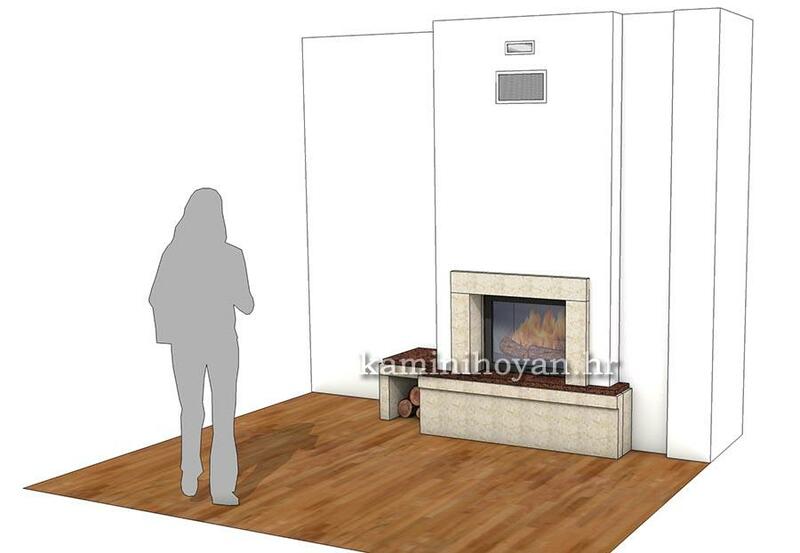 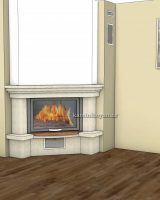 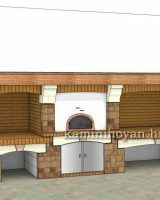 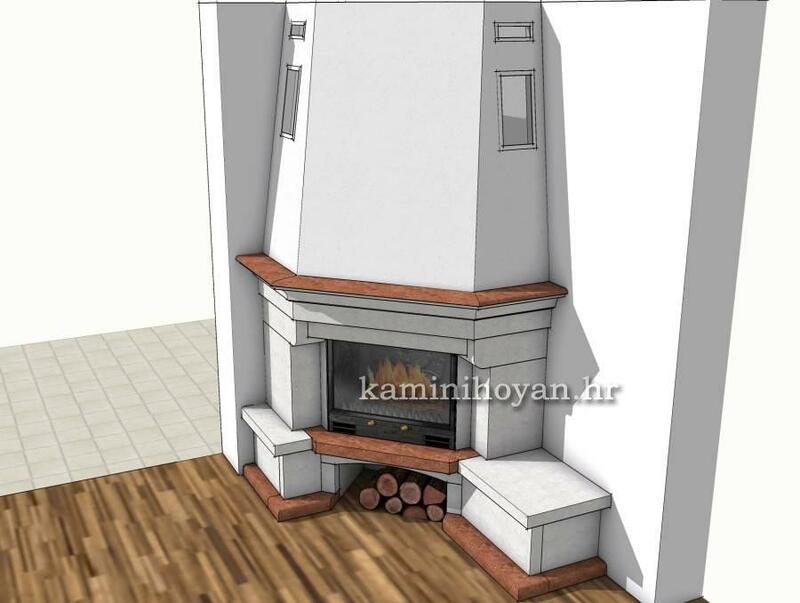 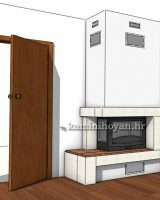 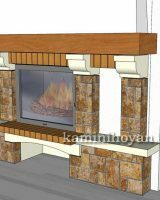 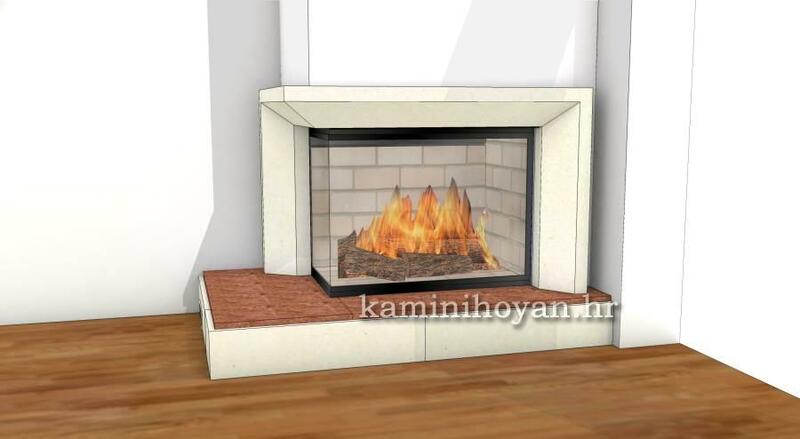 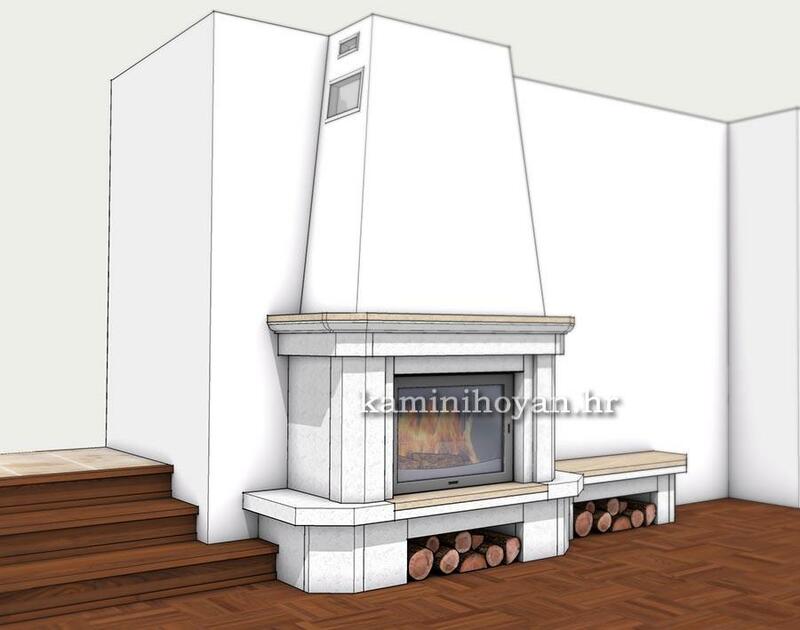 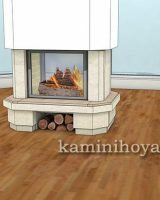 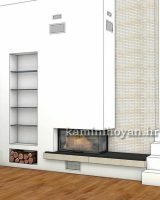 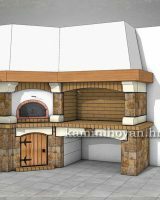 3D design we have start using in our project office since 2003 since we have realized that clients have difficulties to visual the appearance of the fireplace in the form of 2D drawing. 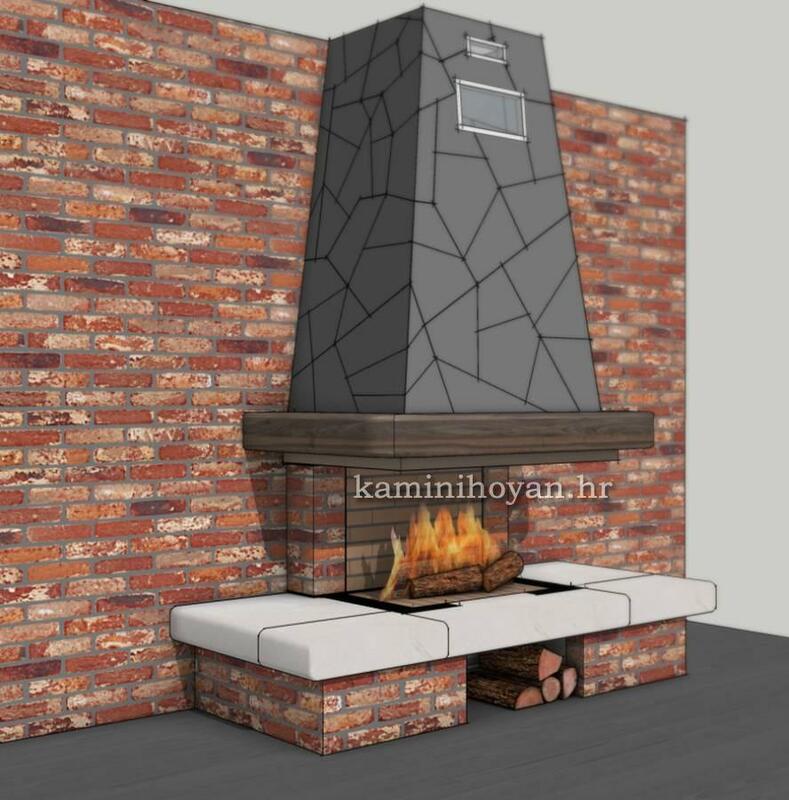 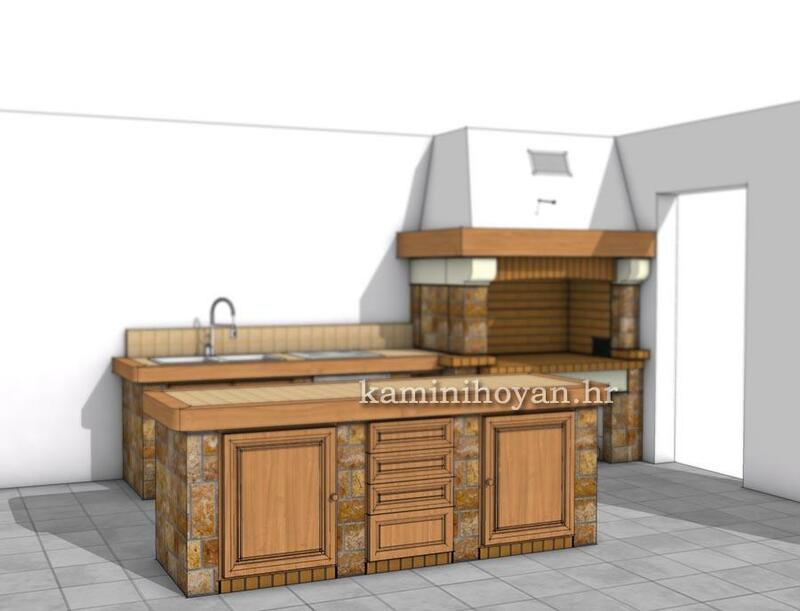 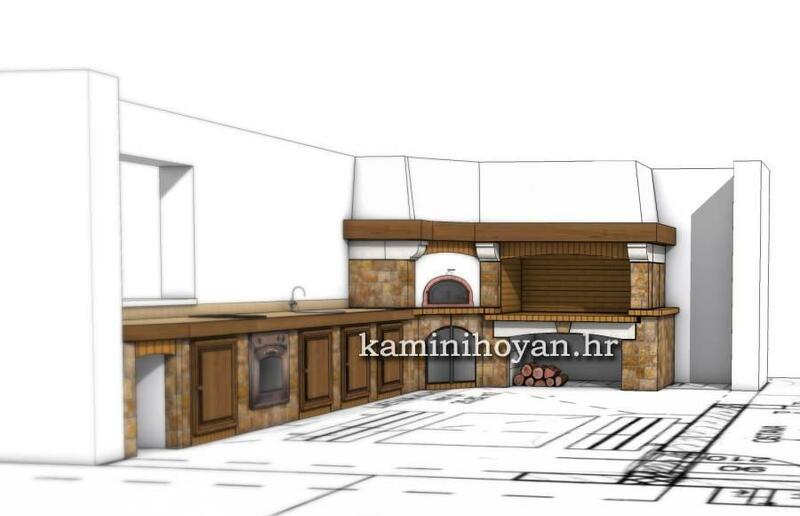 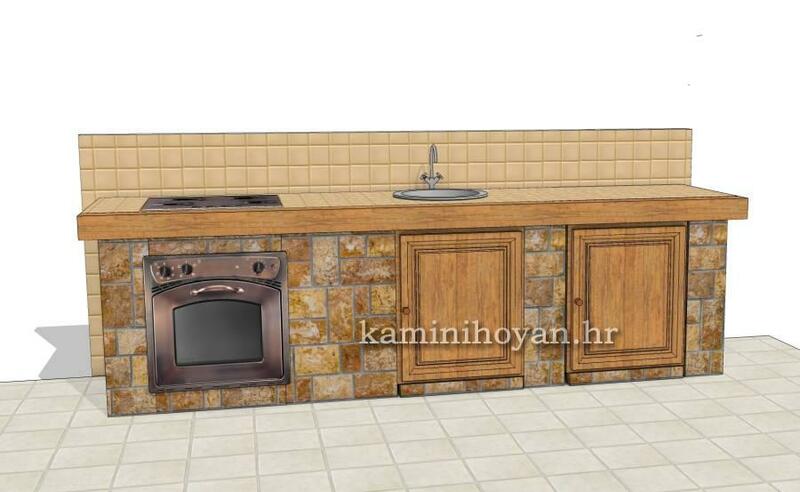 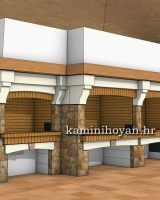 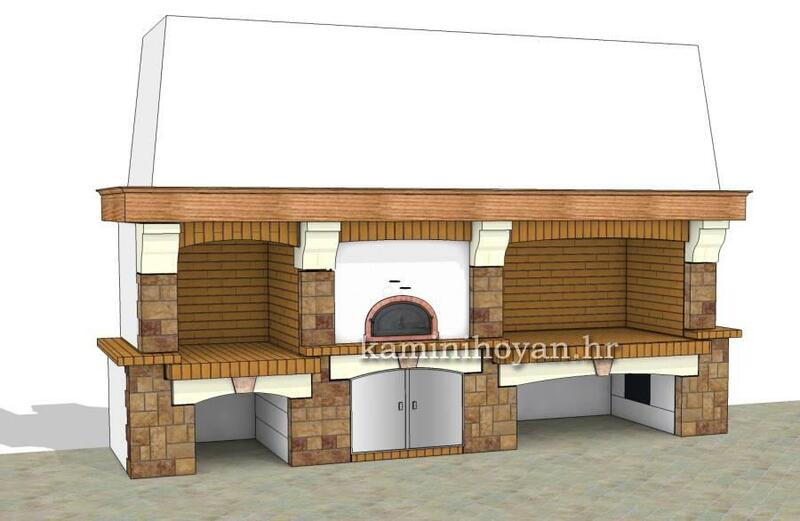 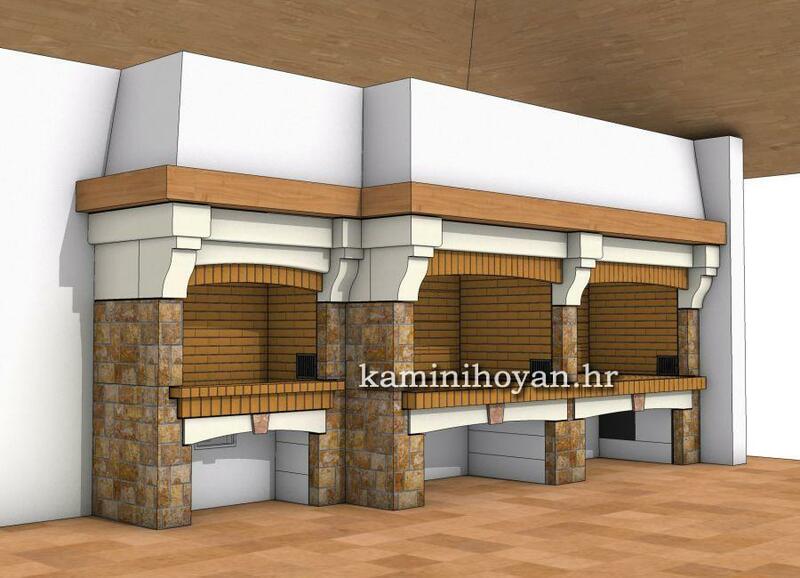 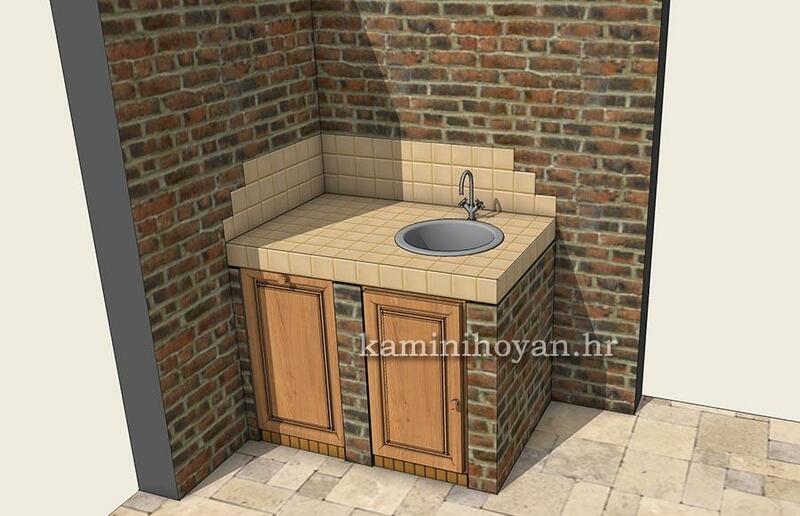 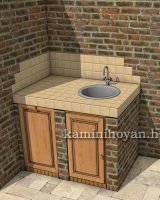 Office manager Nermin Lipovac- construction engineer has discovered interesting and then new 3D program SketchUp which in time became very spread. 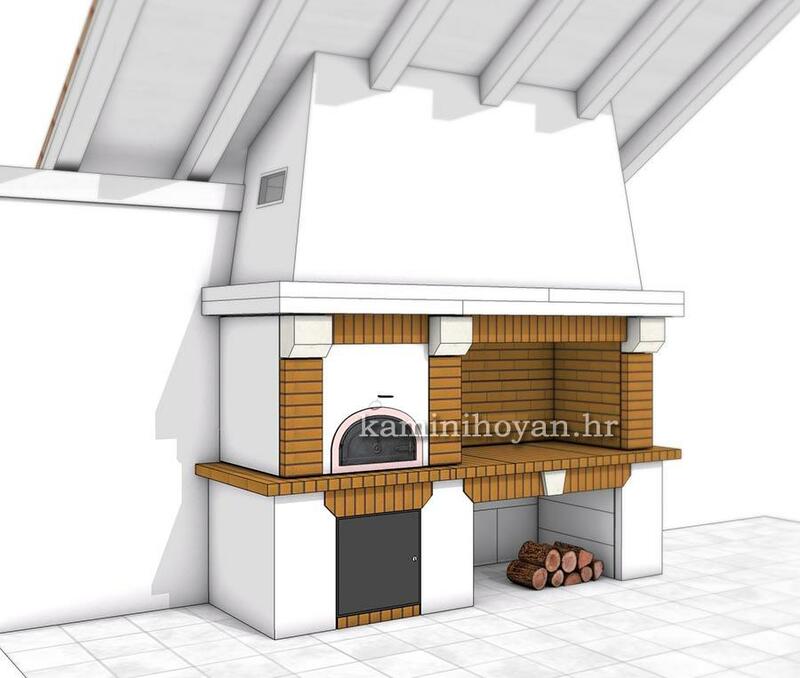 From those early works till today’s presentation, we’ve made significant progress and achieved a level of detail necessary for implementing the project, and now our production plans we also prepare in the form of 3D models. 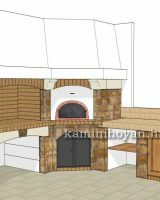 Presented preliminary sketches have been partly implemented, partly remained just pretty pictures of the unrealized project, and some we used to see on the pages of competition in the form of a done work. 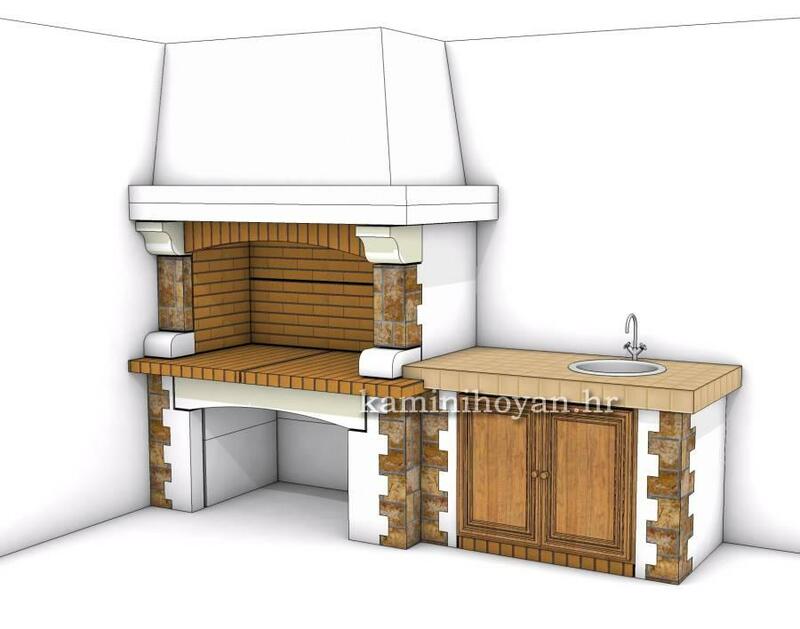 Therefore, we decided to show you part of our design activities and introduce you to our experience in 3D design, love towards work that we do and commitment to client demands. 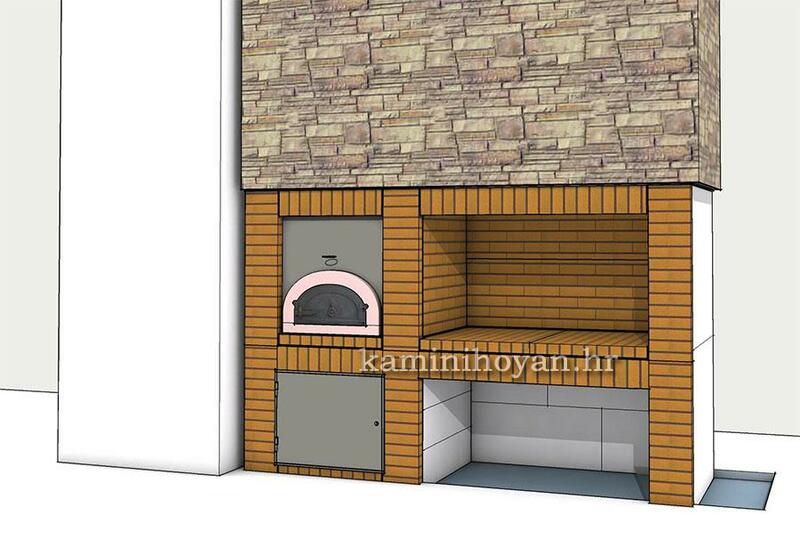 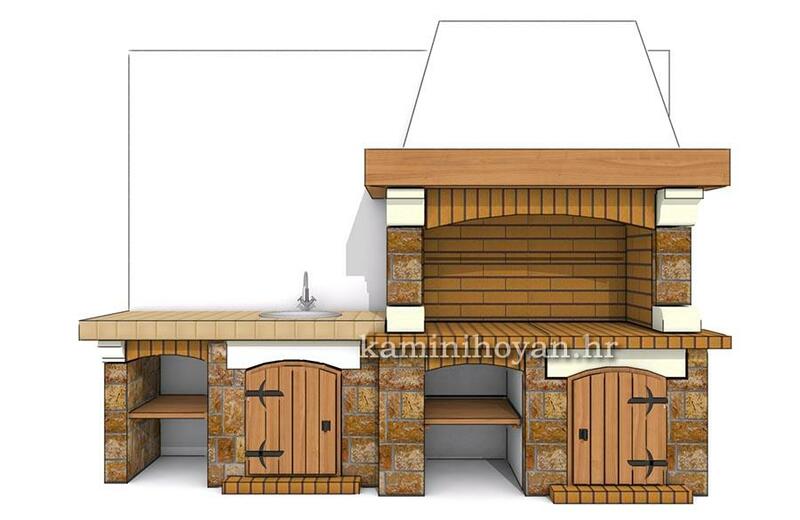 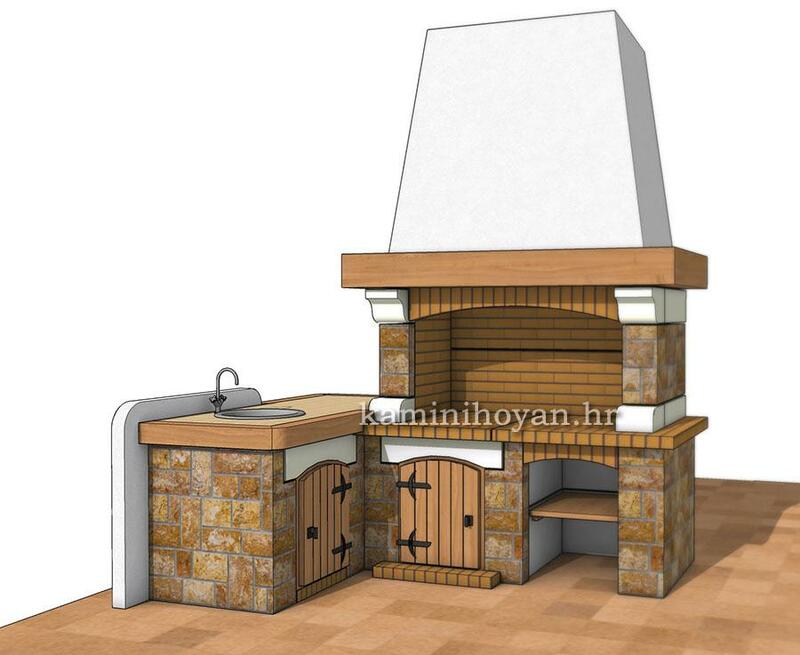 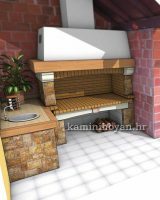 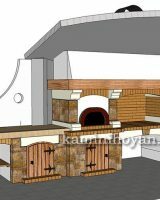 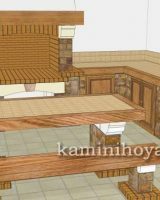 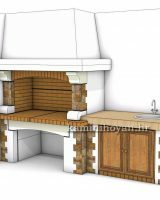 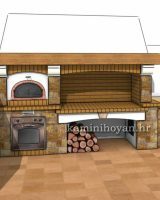 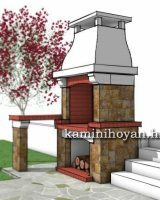 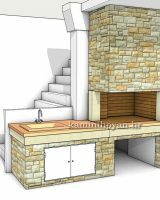 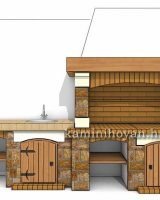 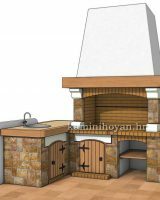 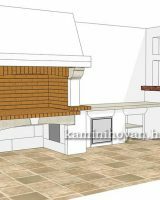 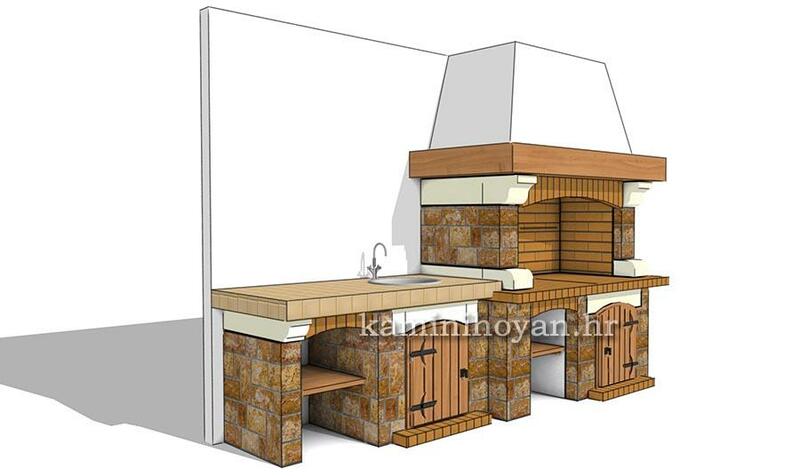 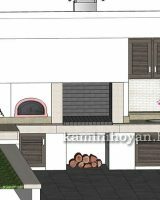 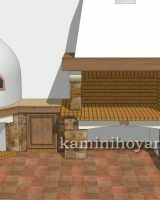 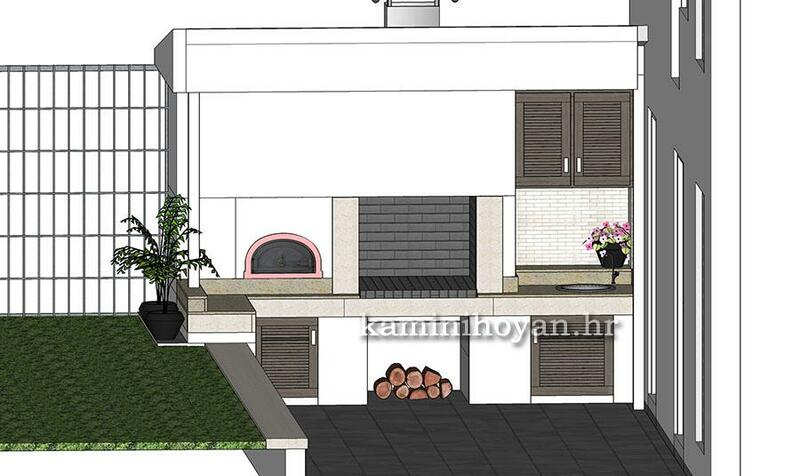 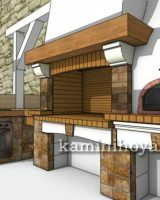 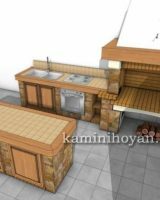 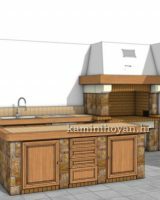 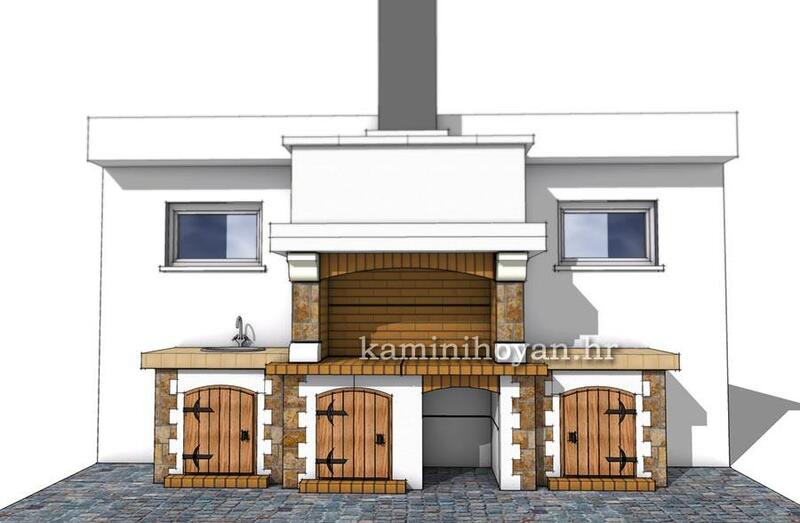 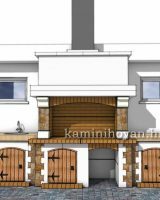 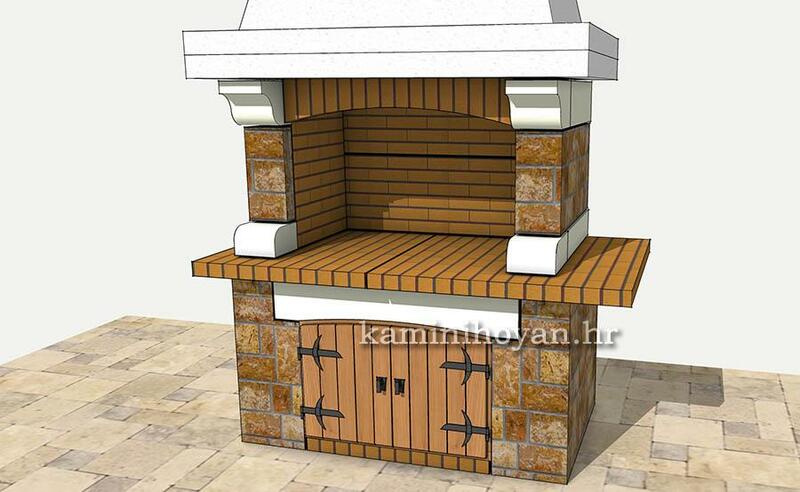 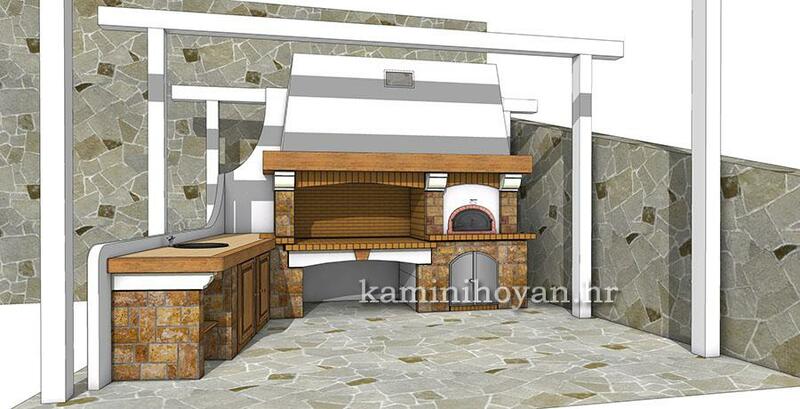 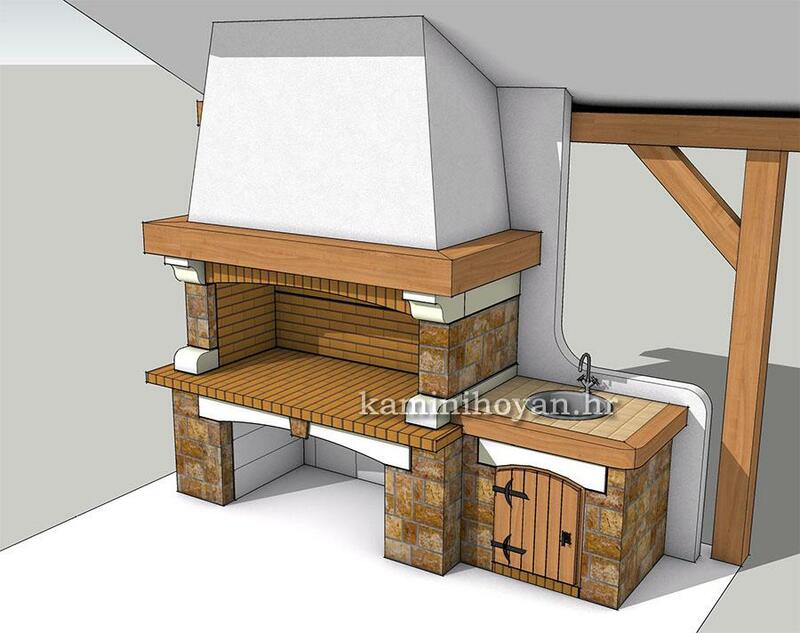 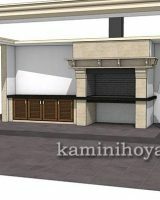 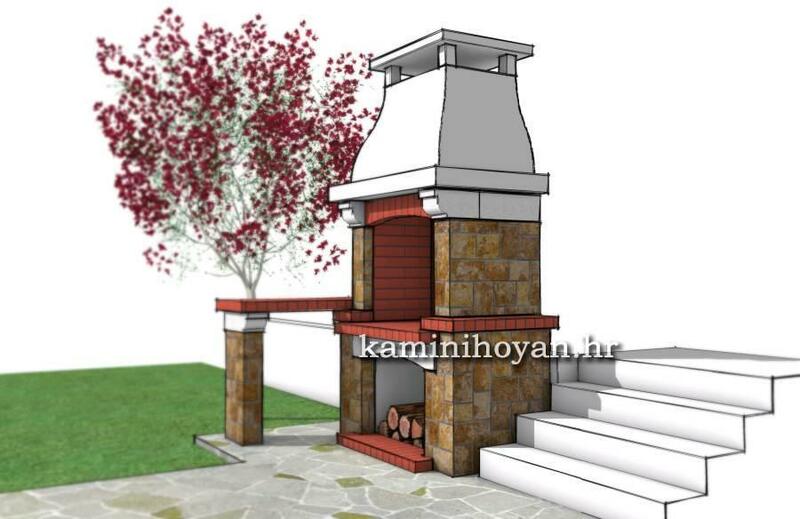 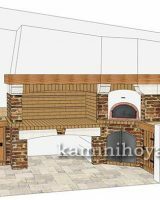 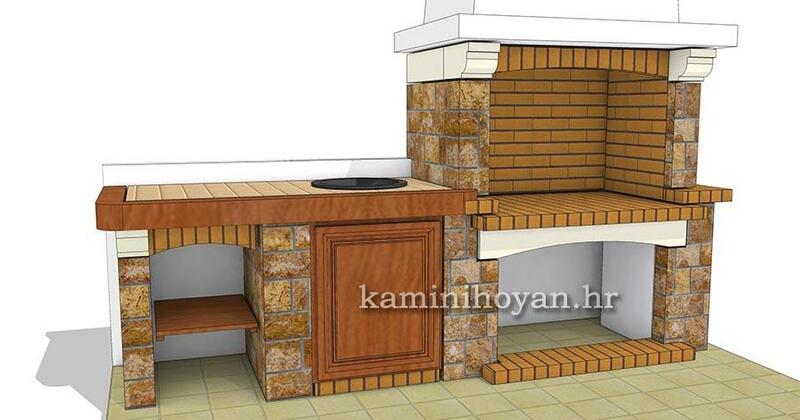 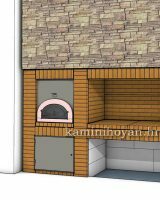 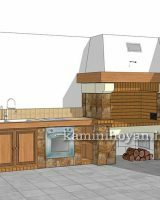 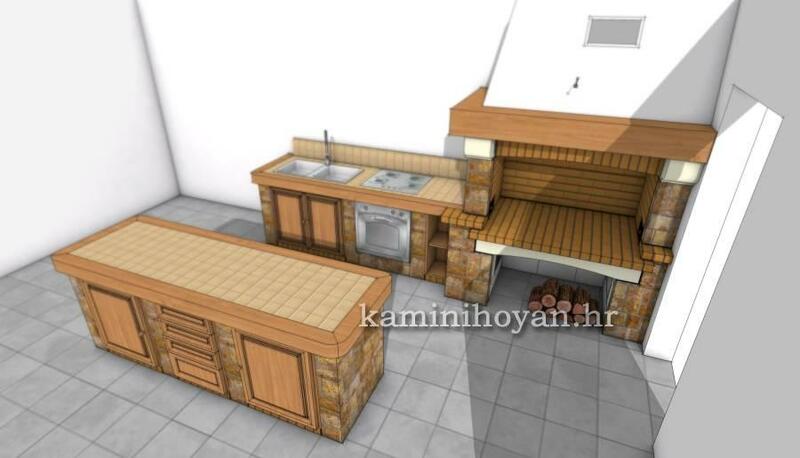 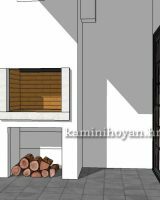 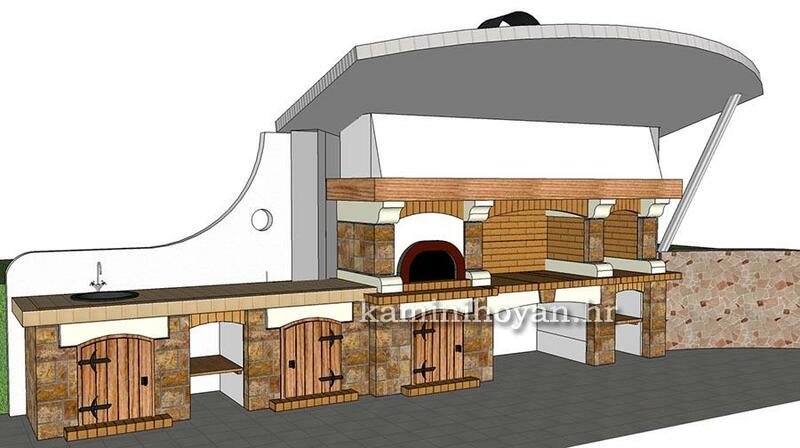 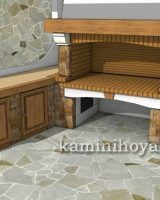 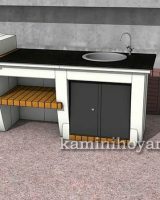 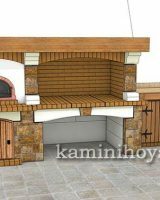 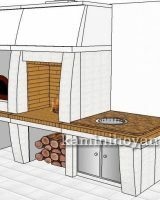 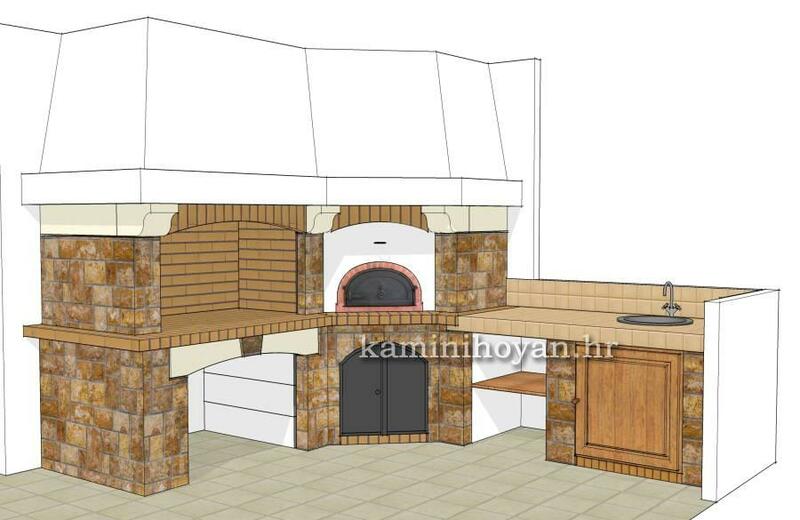 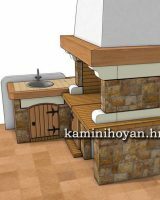 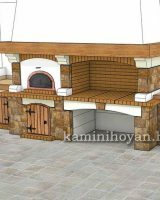 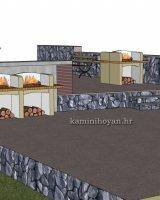 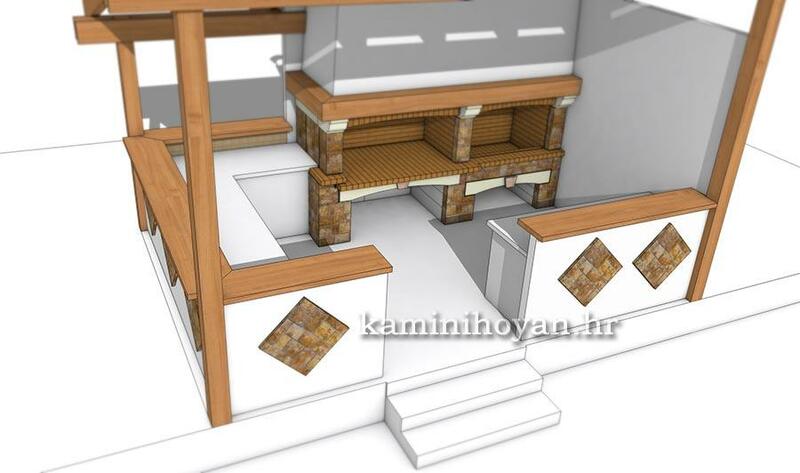 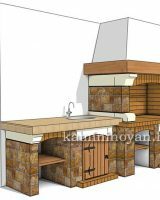 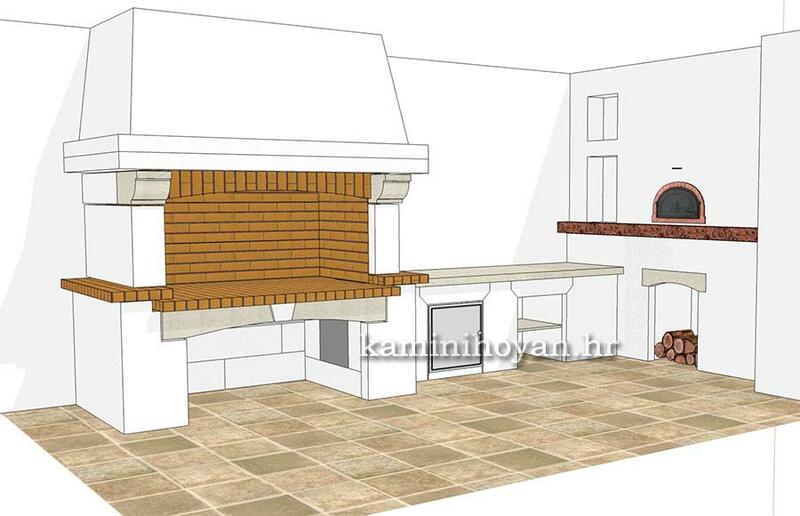 In the selection of these works, a part of them is our idea (especially barbecues), part of them is designed by the architect, and the part is designed according to the ideas of clients. 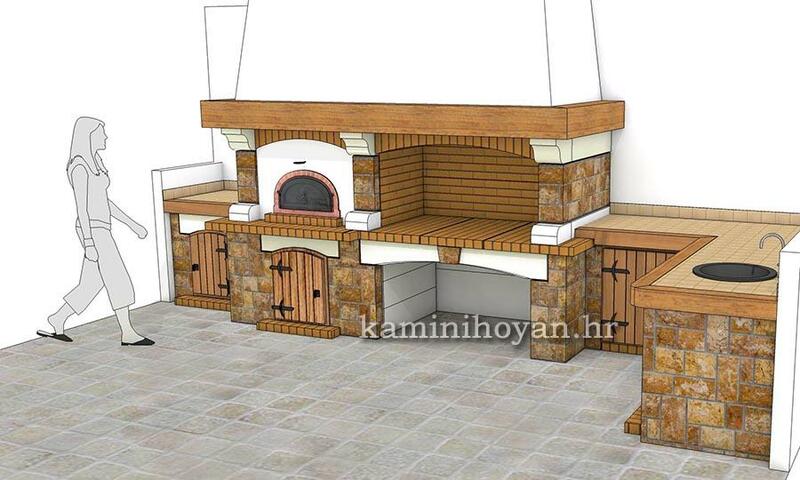 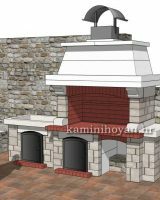 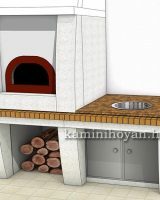 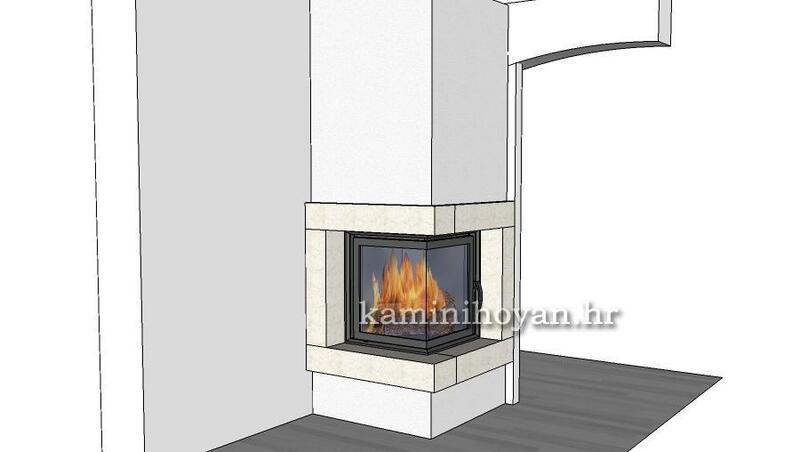 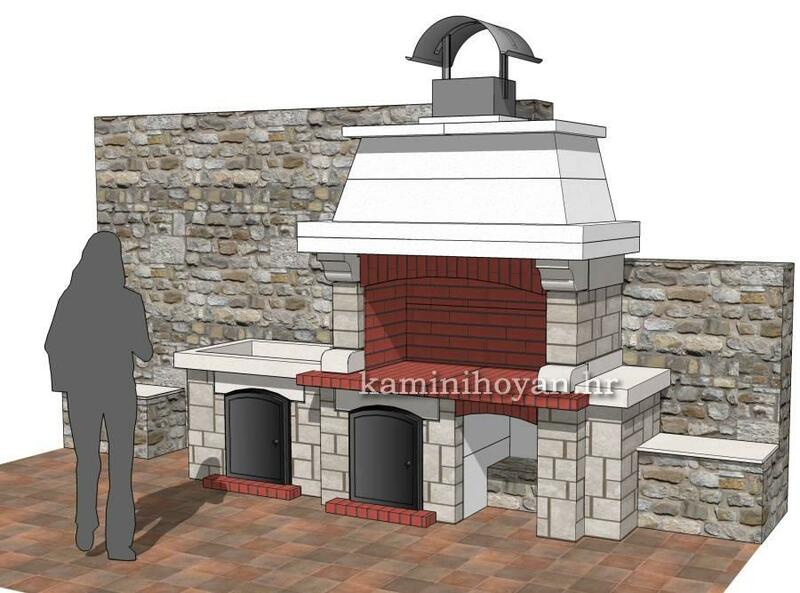 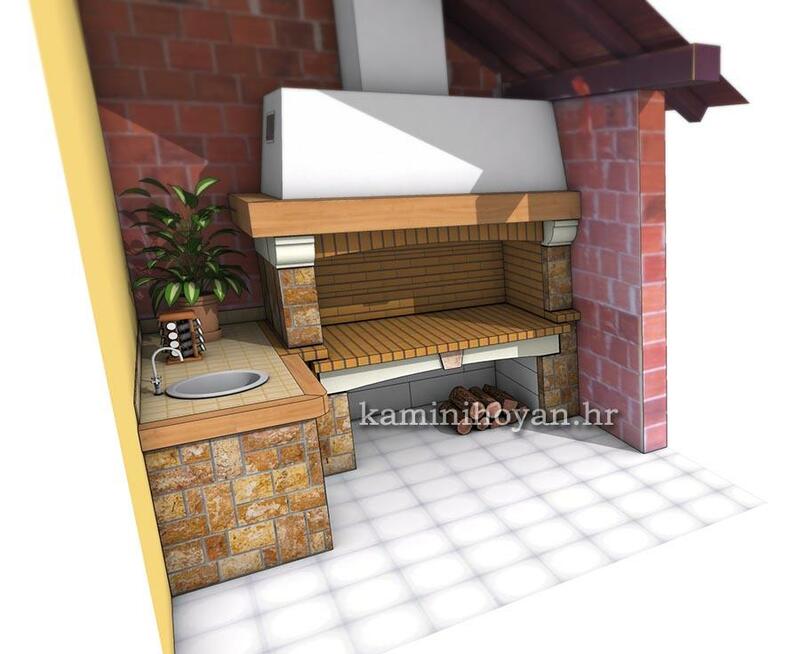 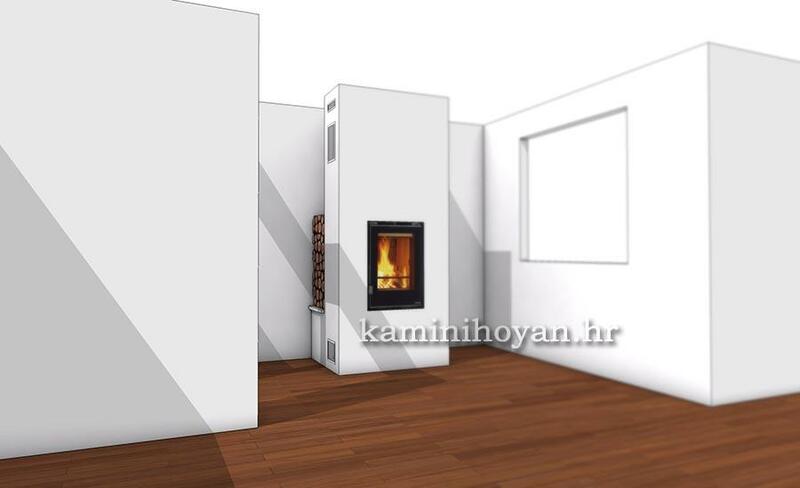 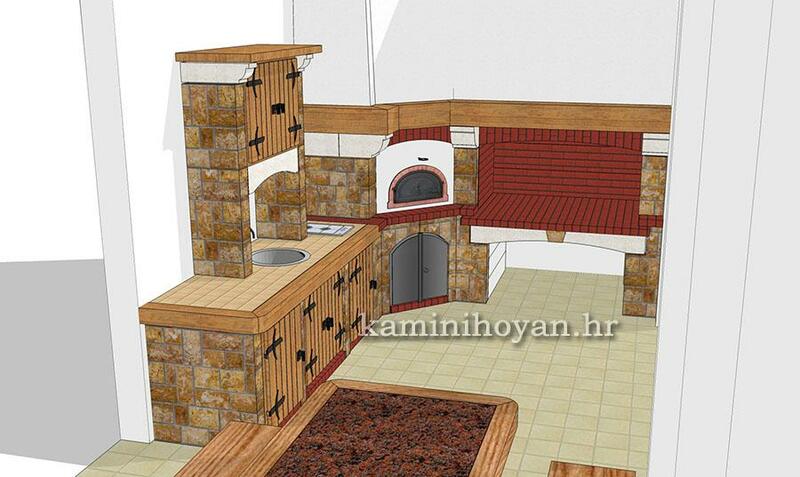 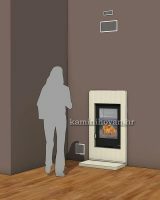 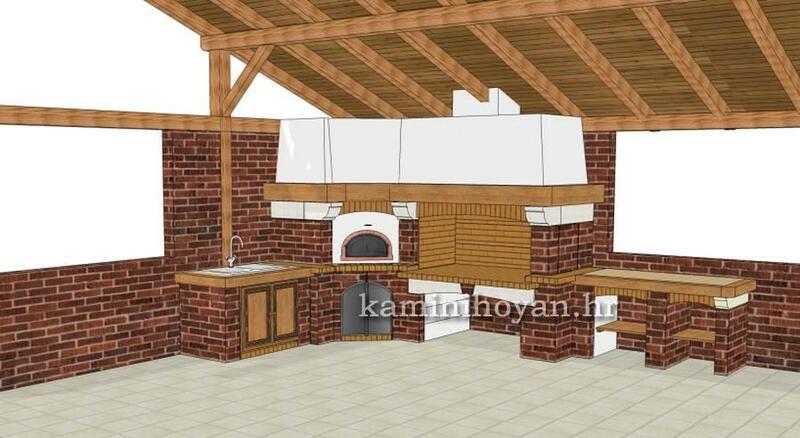 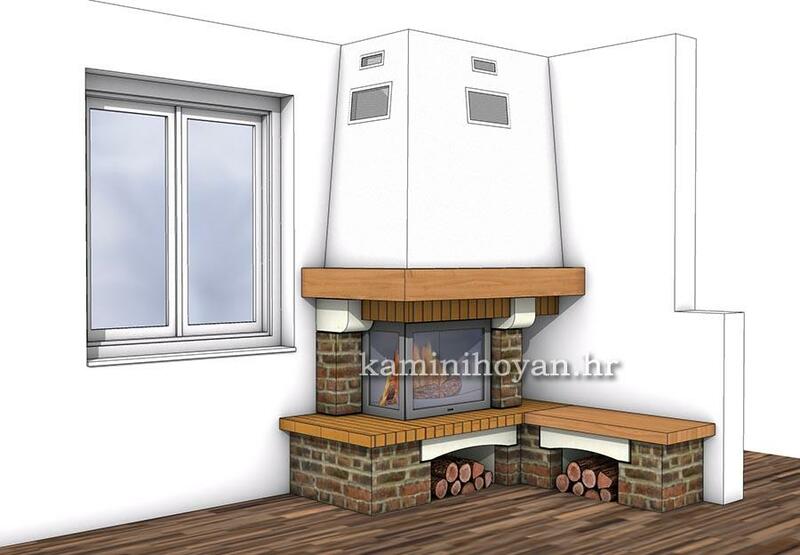 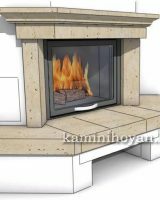 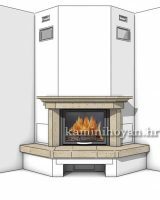 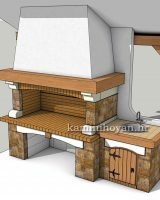 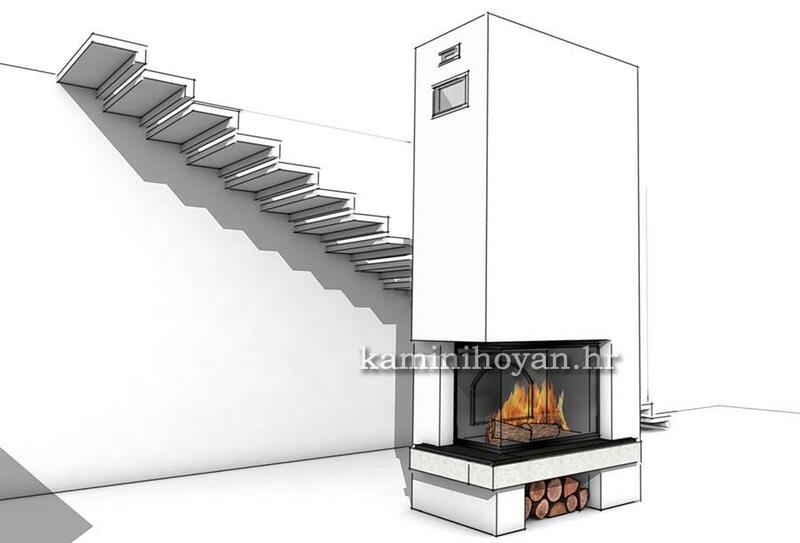 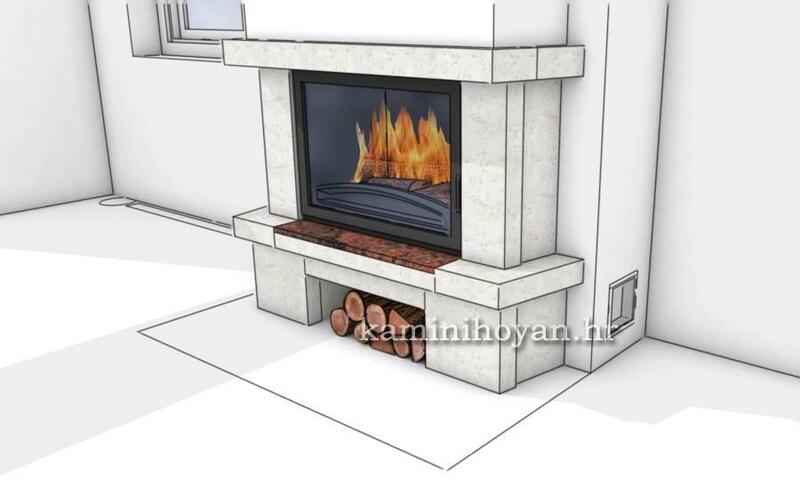 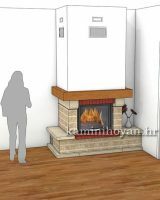 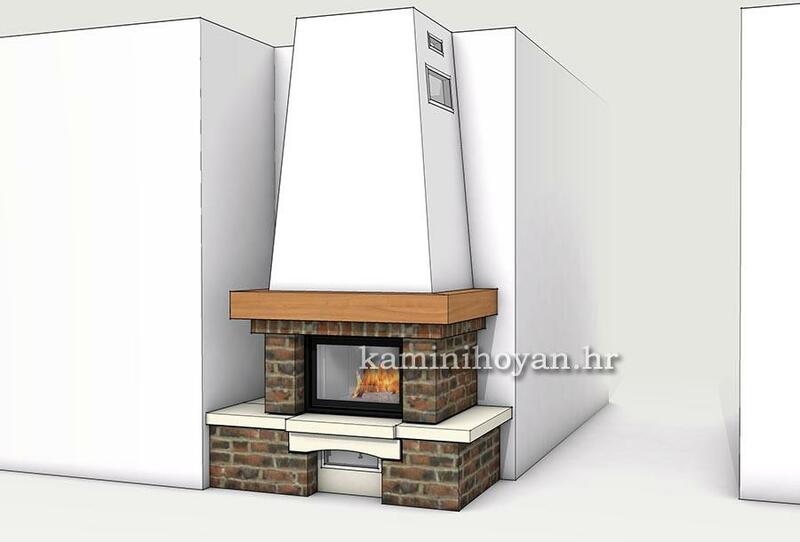 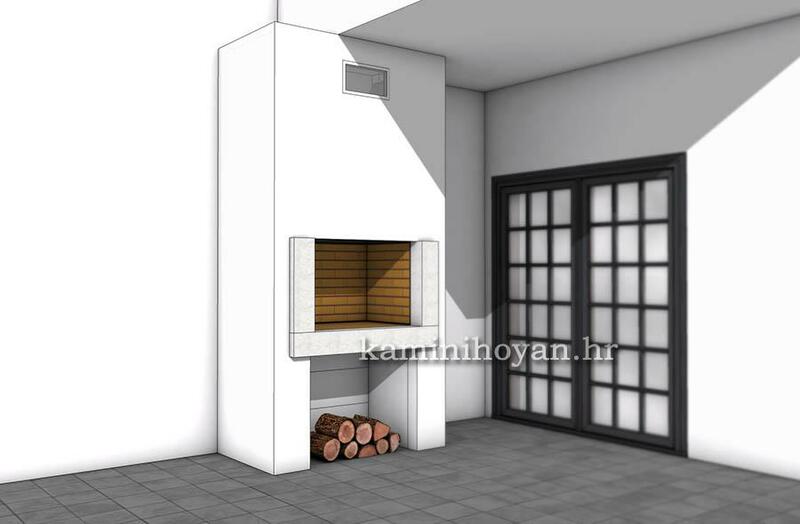 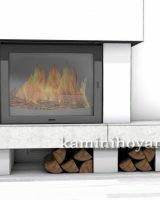 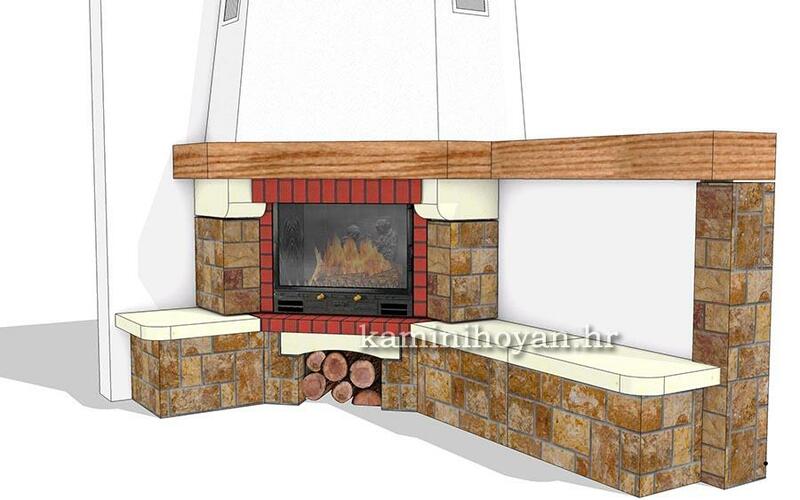 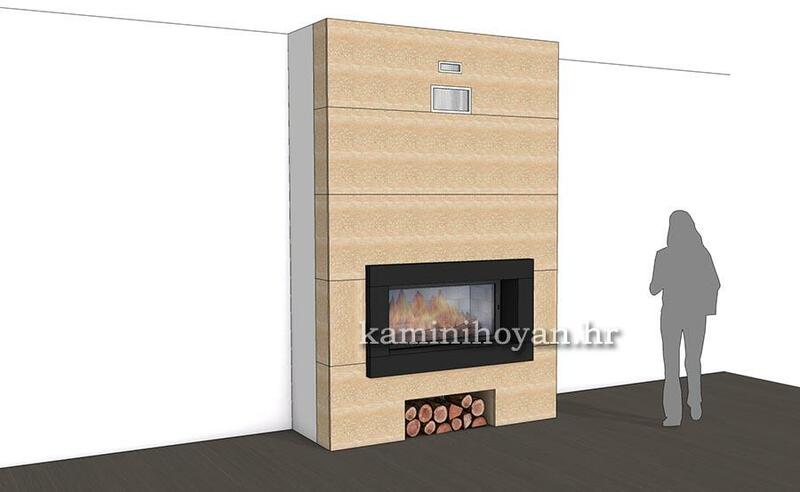 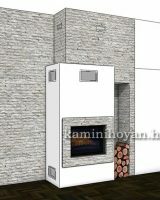 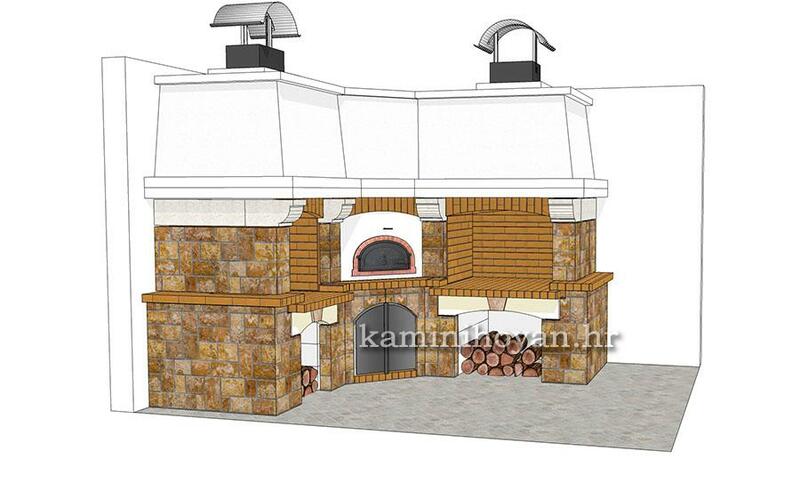 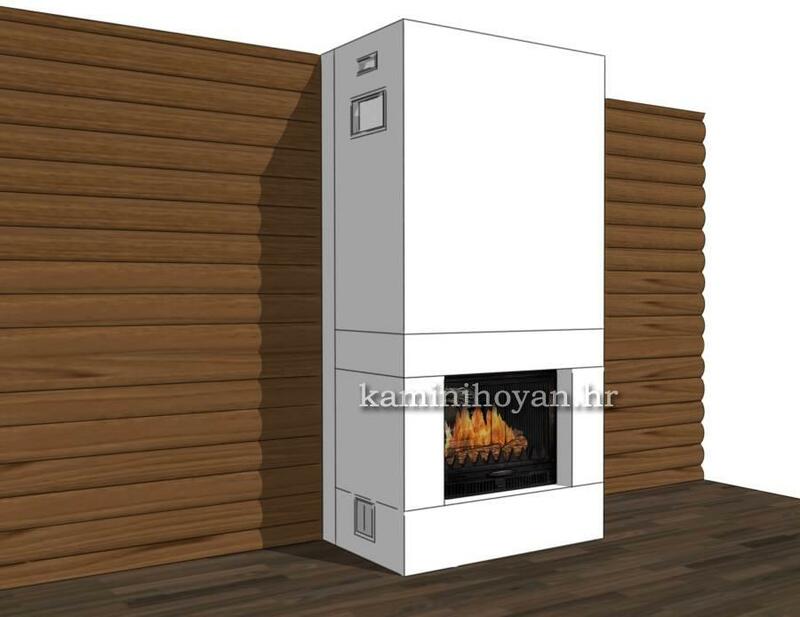 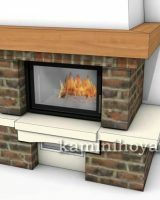 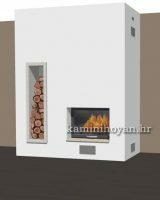 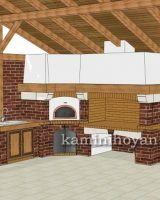 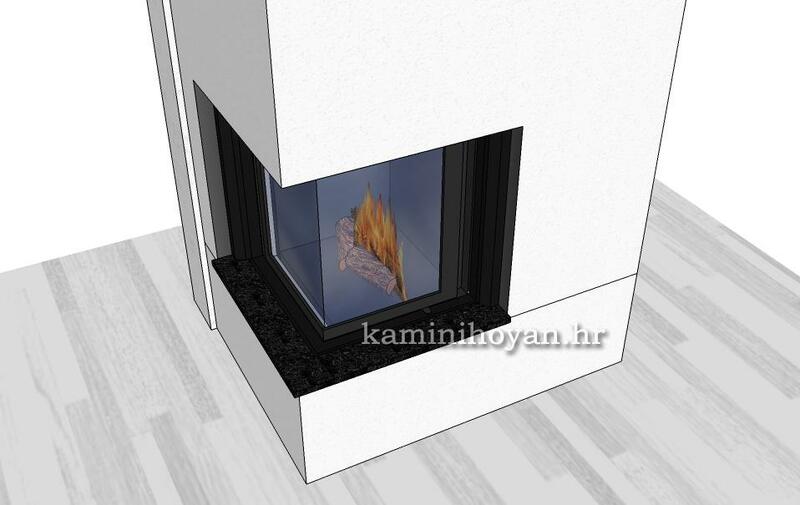 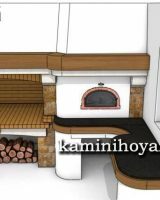 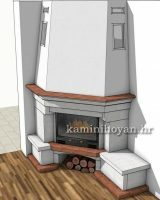 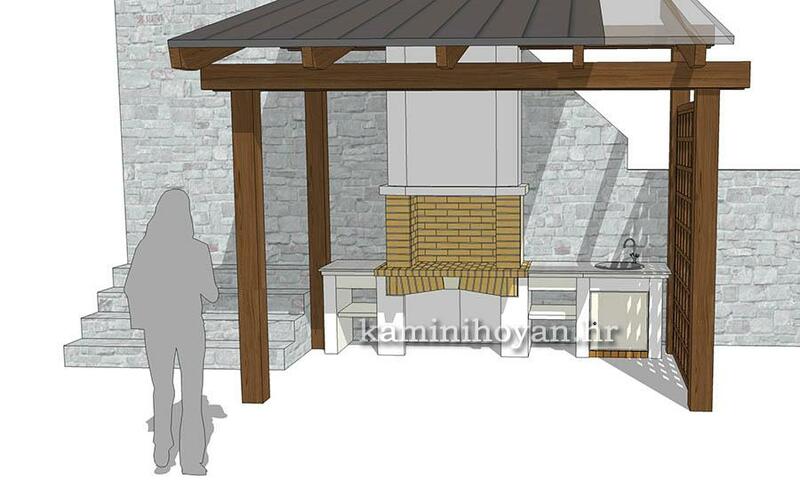 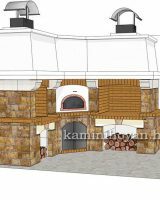 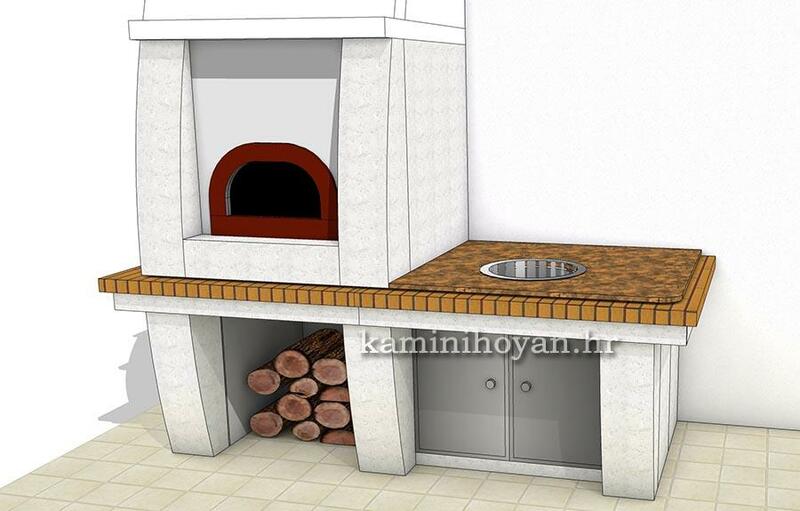 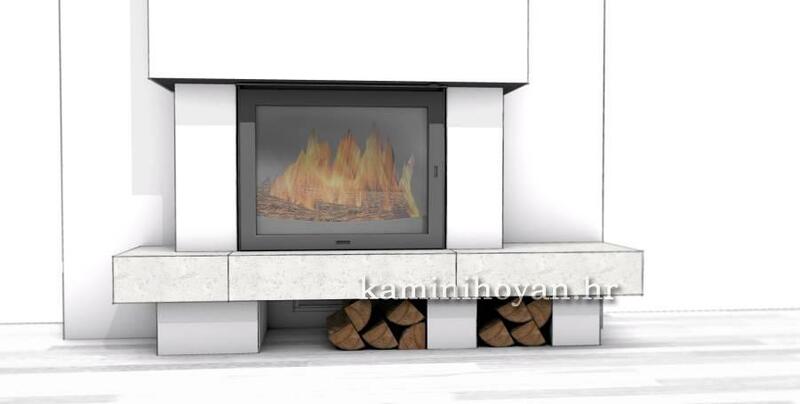 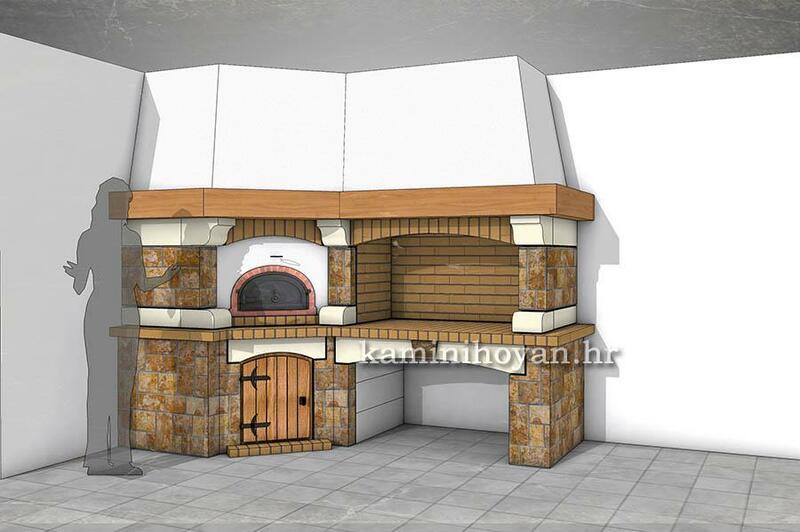 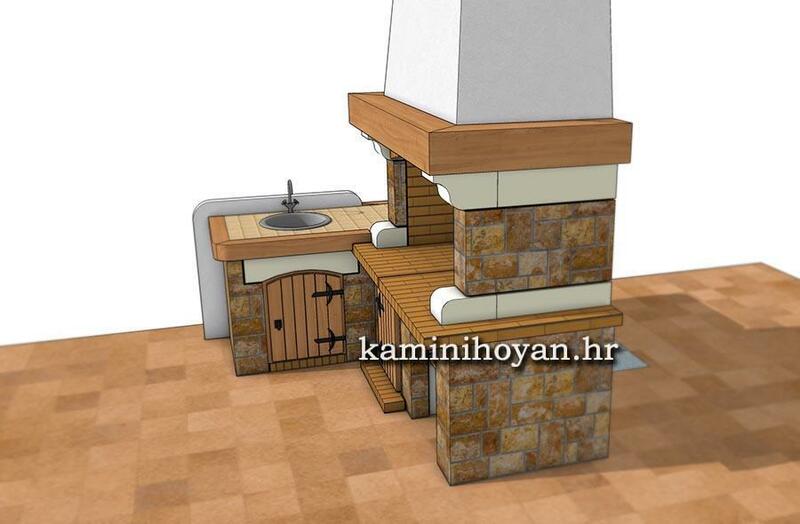 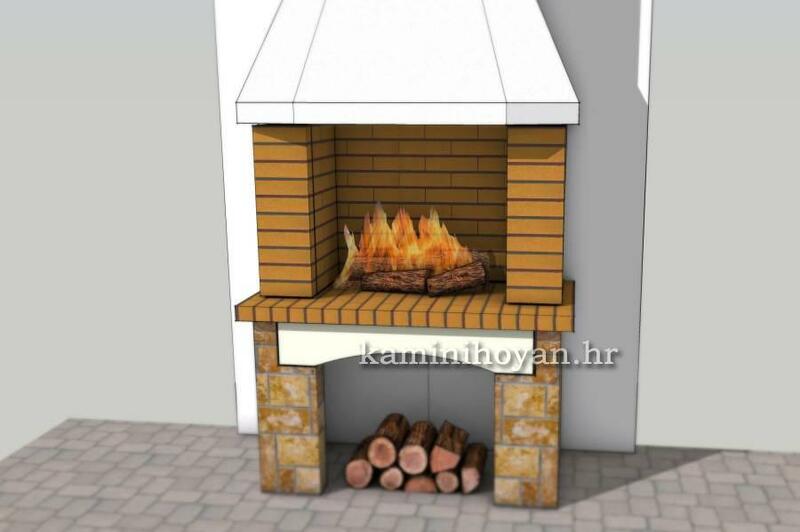 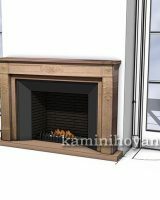 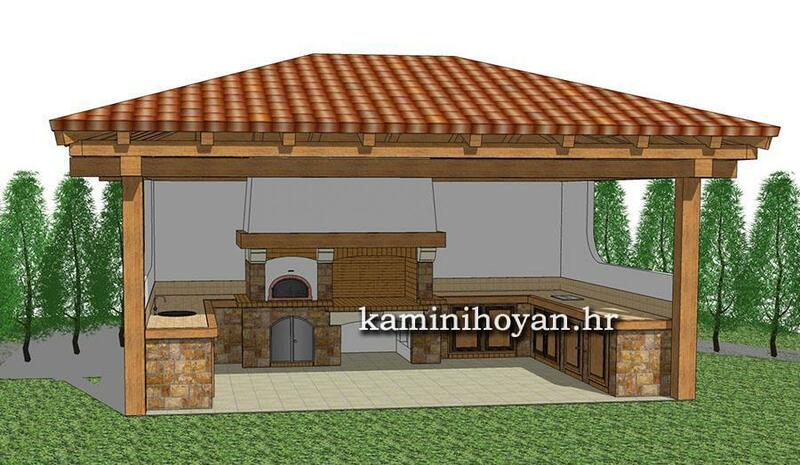 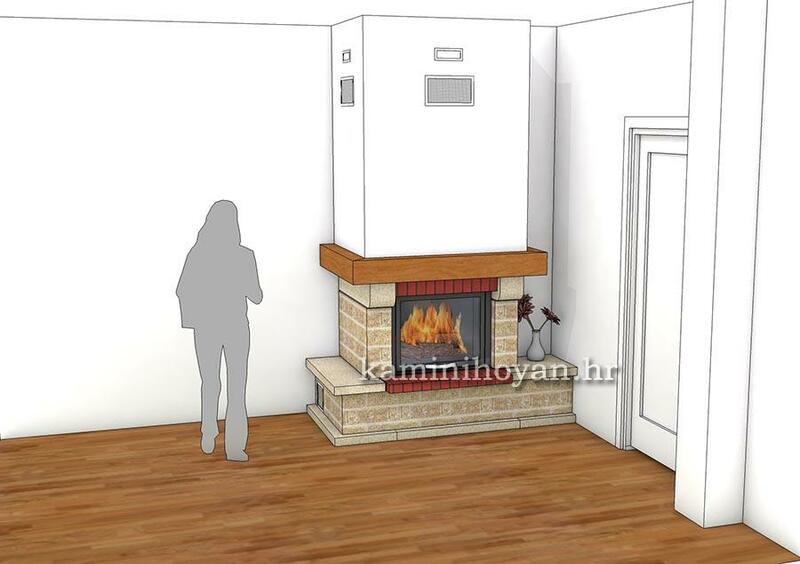 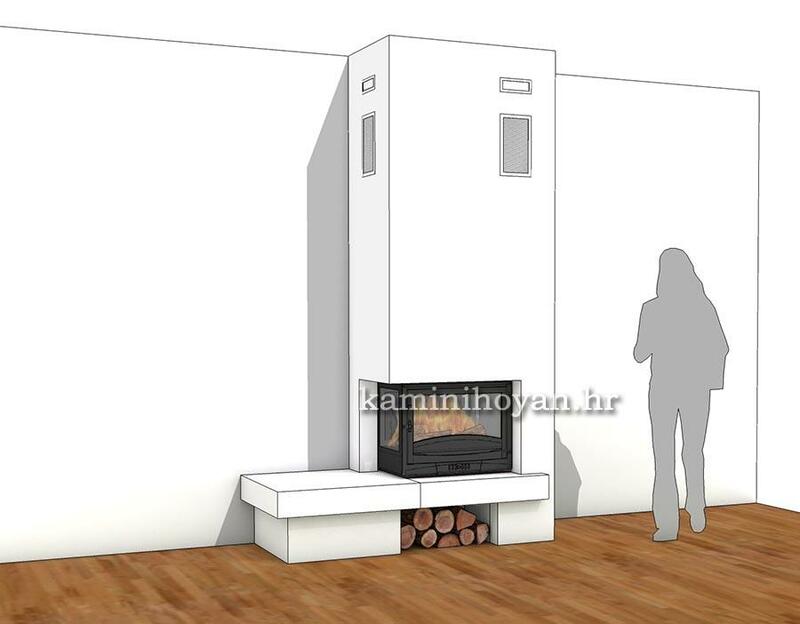 We wish to emphasize that accept aesthetics, the most important element which we have in mind is the feasibility of the project, because at times it is not possible to know if you can carry out the connection to the chimney if it is not properly displayed, as well as other necessary requirements.